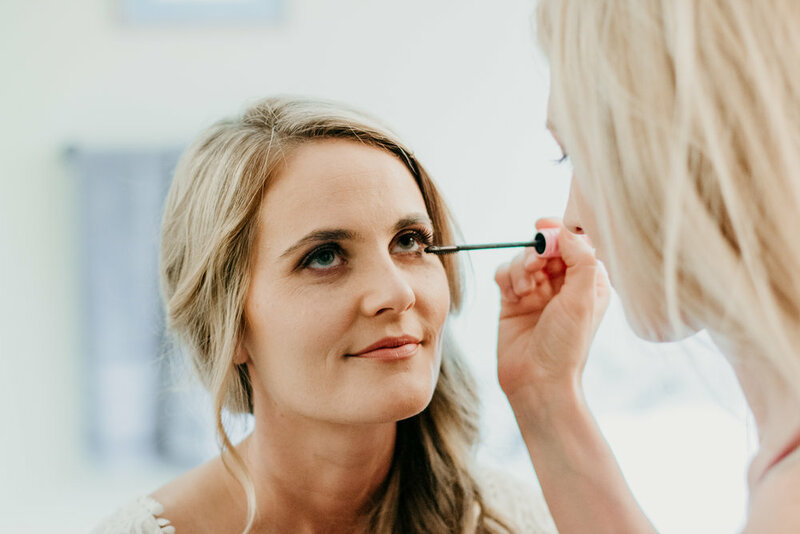 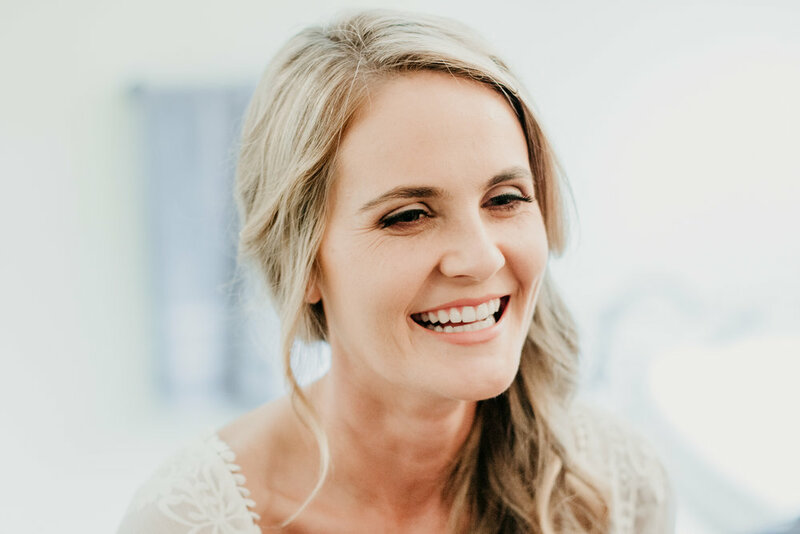 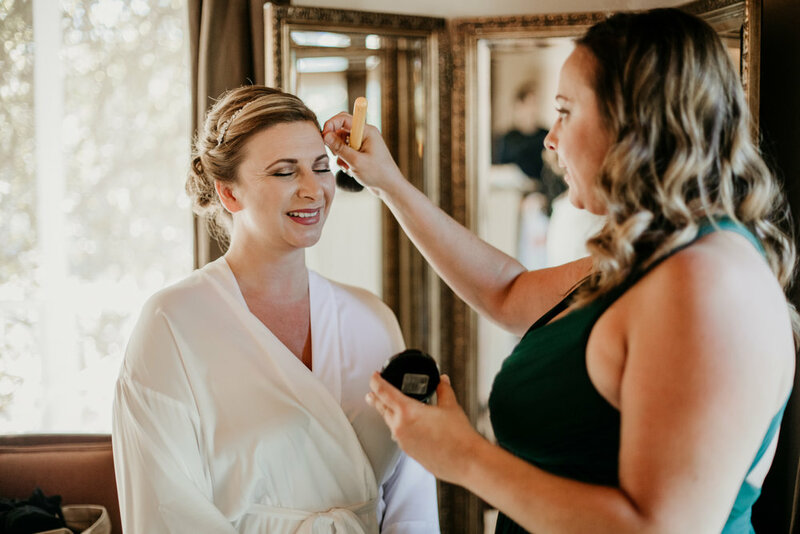 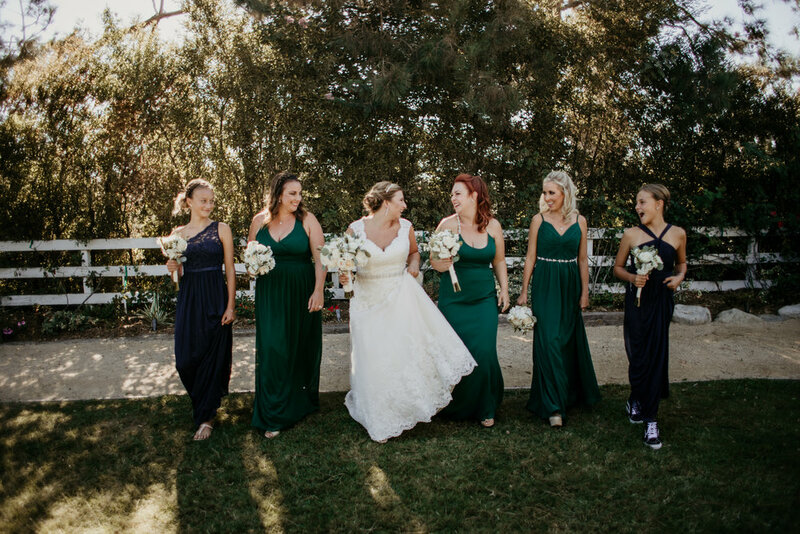 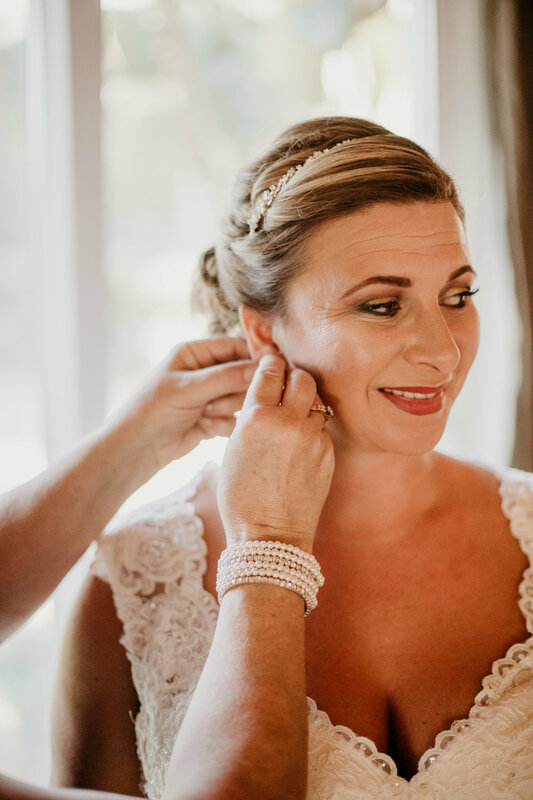 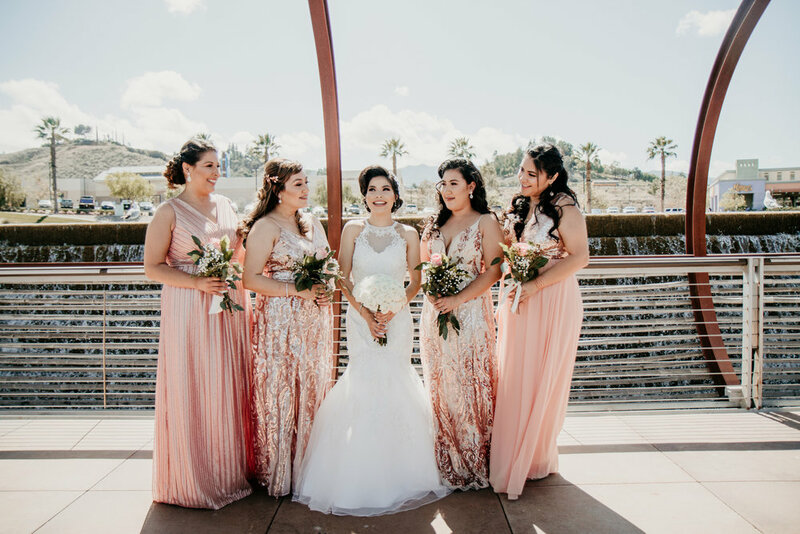 Our bride got ready at her family home where we captured her and her bridesmaids having a blast getting ready for her big day. 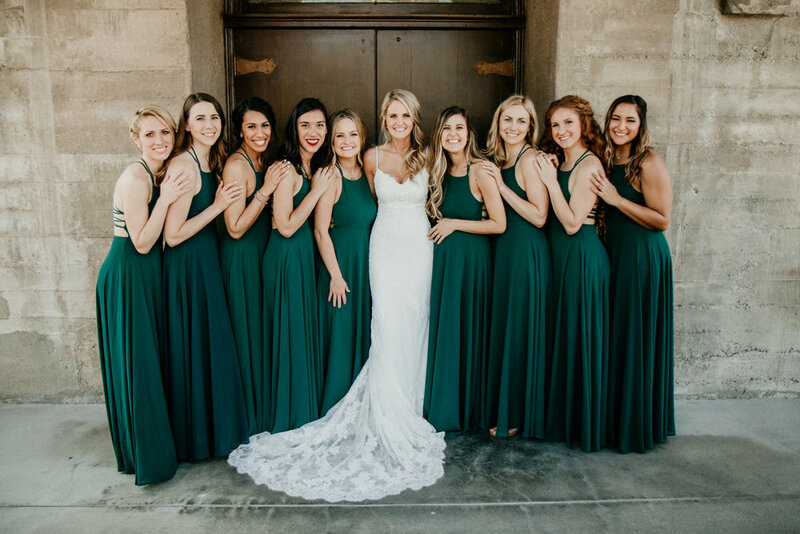 We loved capturing these girls in their matching outfits! 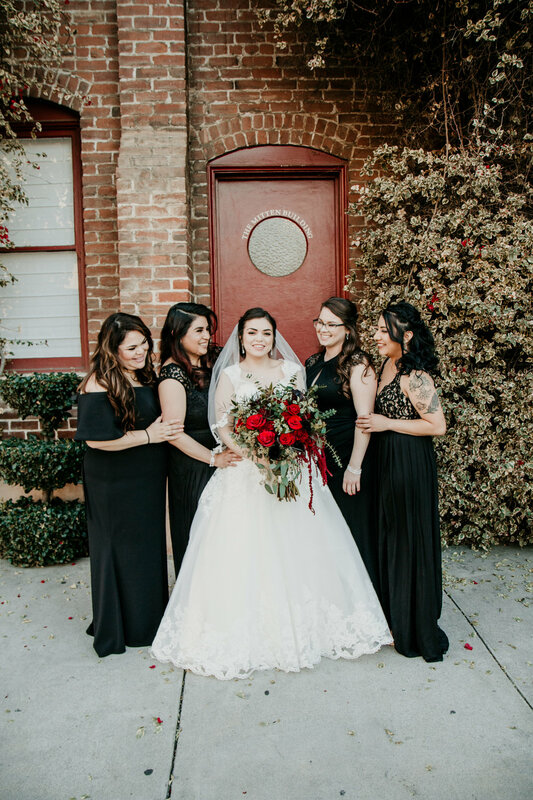 After photographing these lovely ladies we headed over to photograph some awesome moments with the guys. 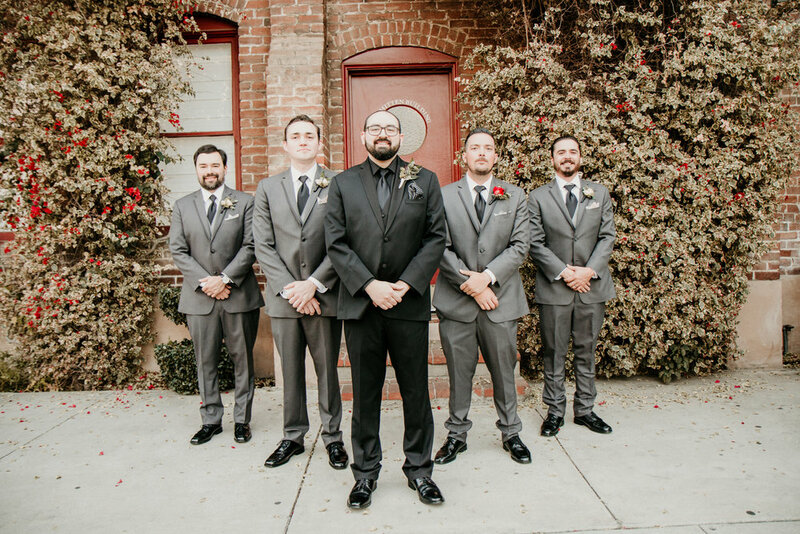 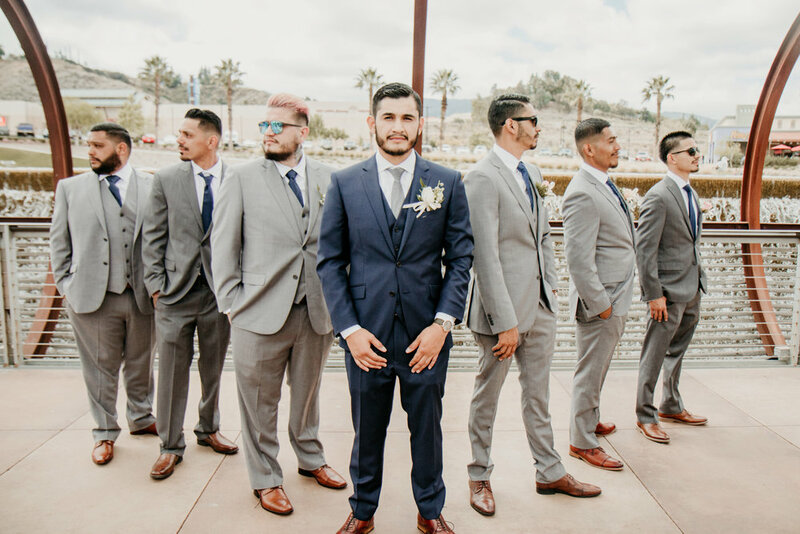 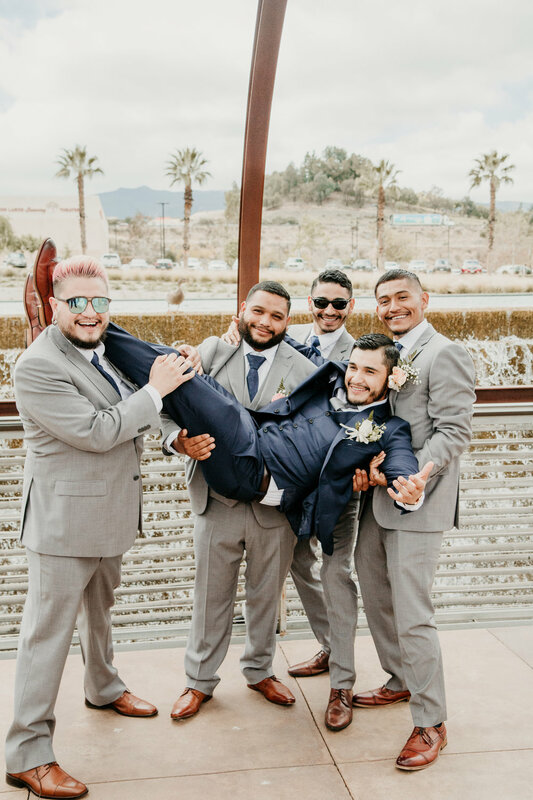 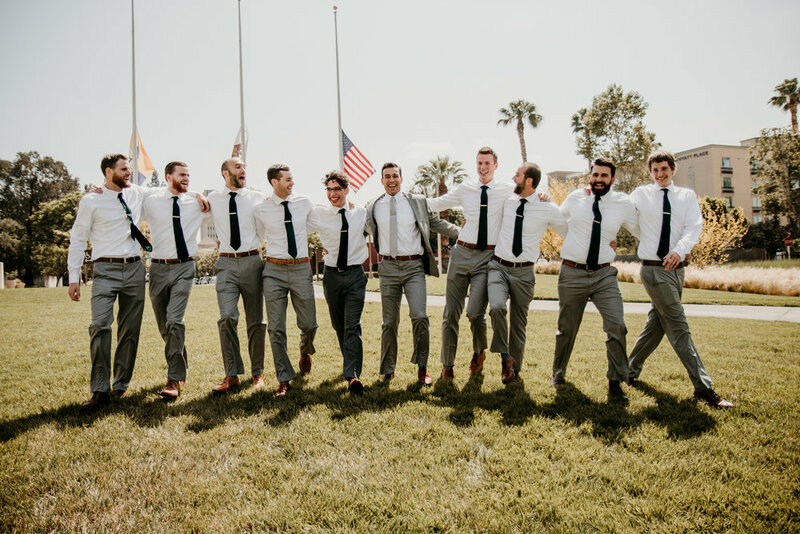 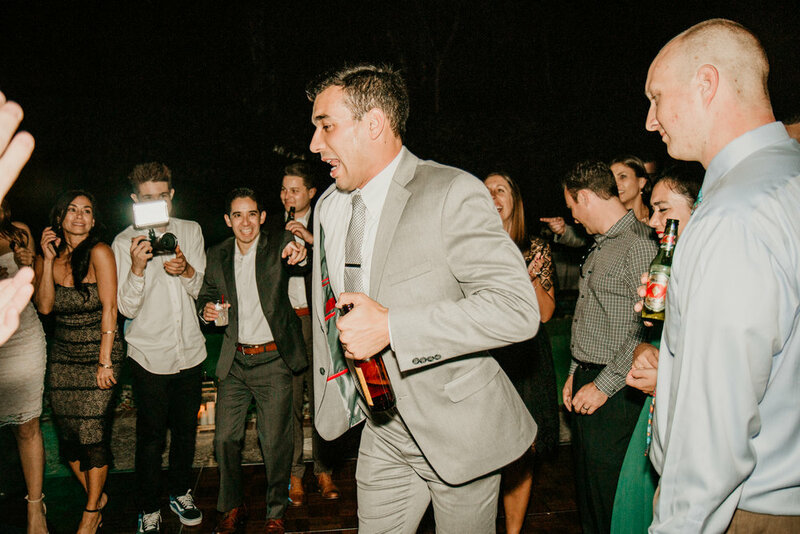 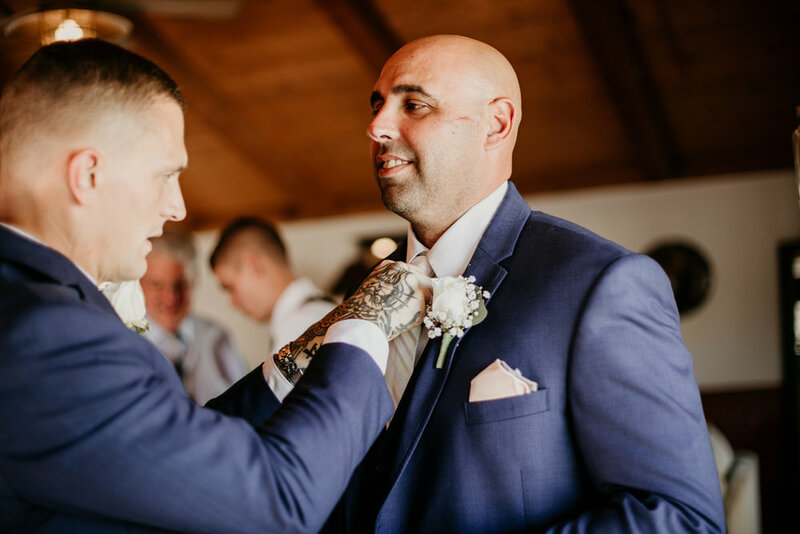 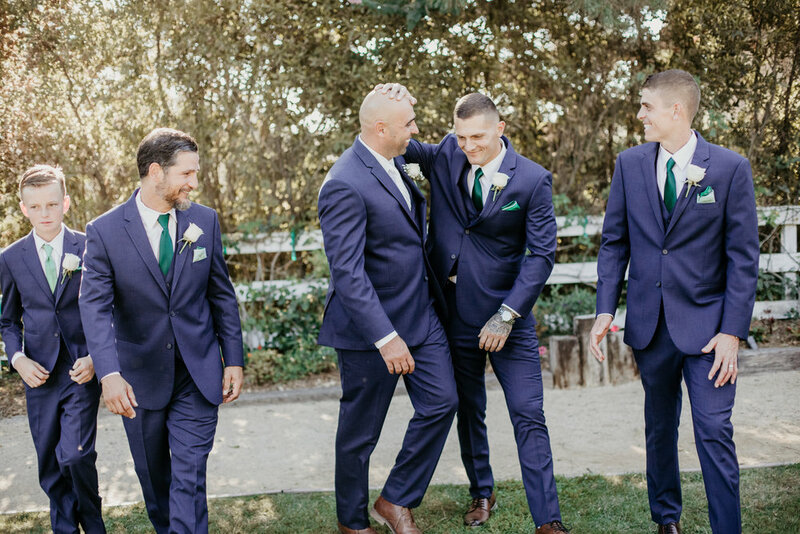 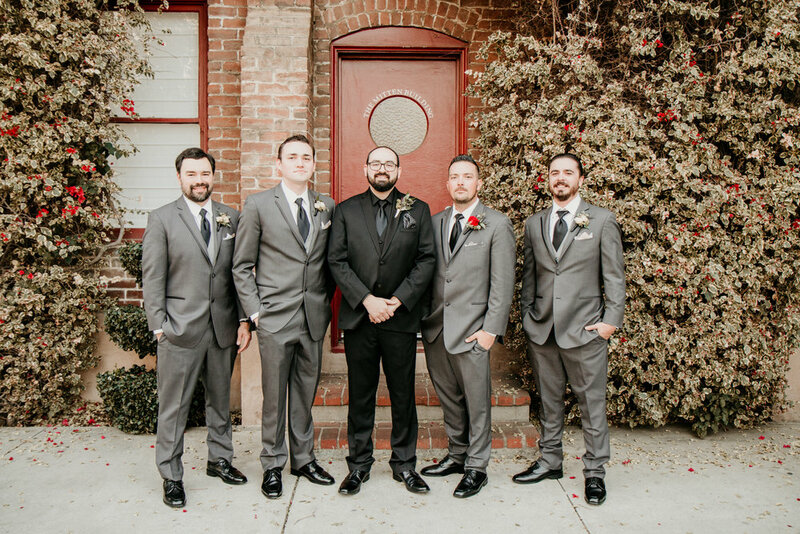 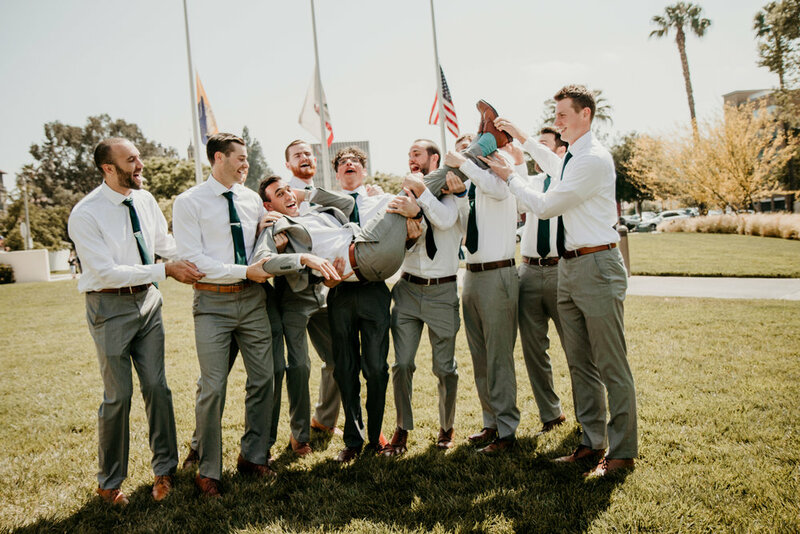 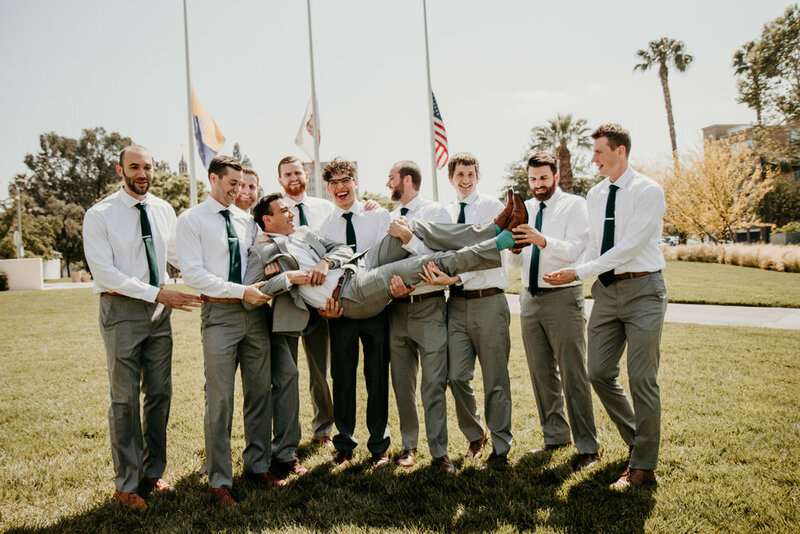 This groom and his groomsmen were nothing but jokes and laughs. 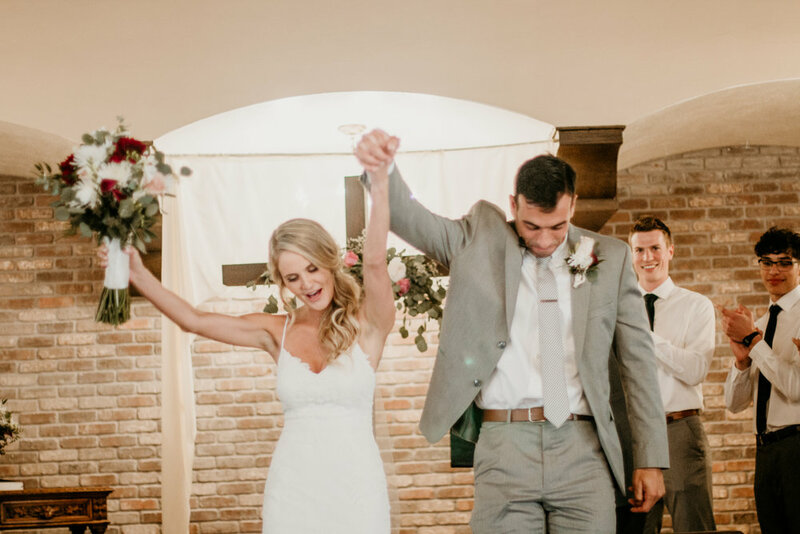 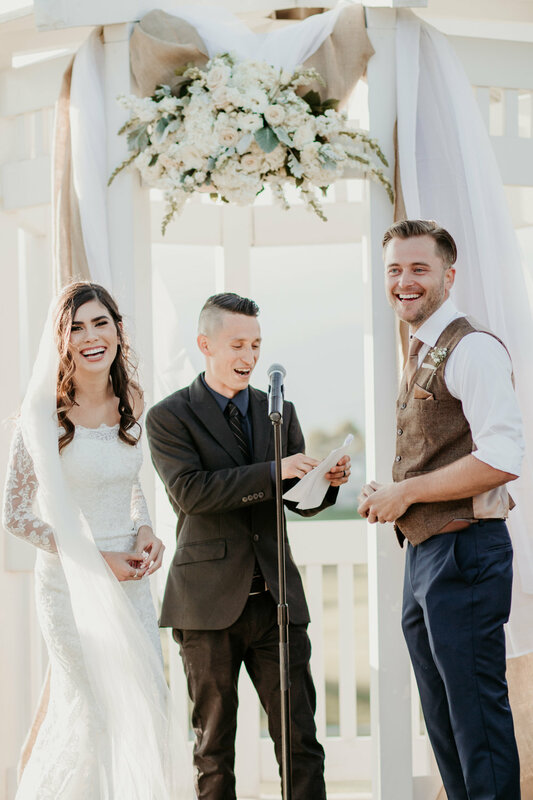 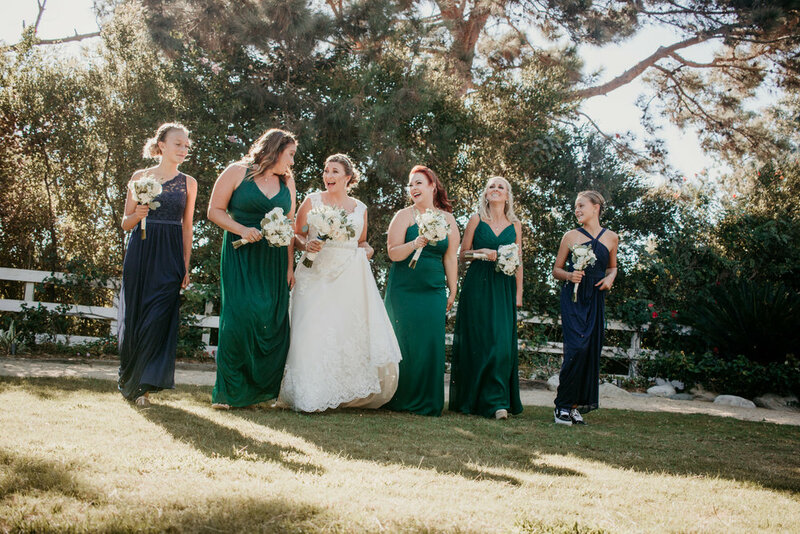 Good friends are hard to come by but it’s clear this bride and groom found them. 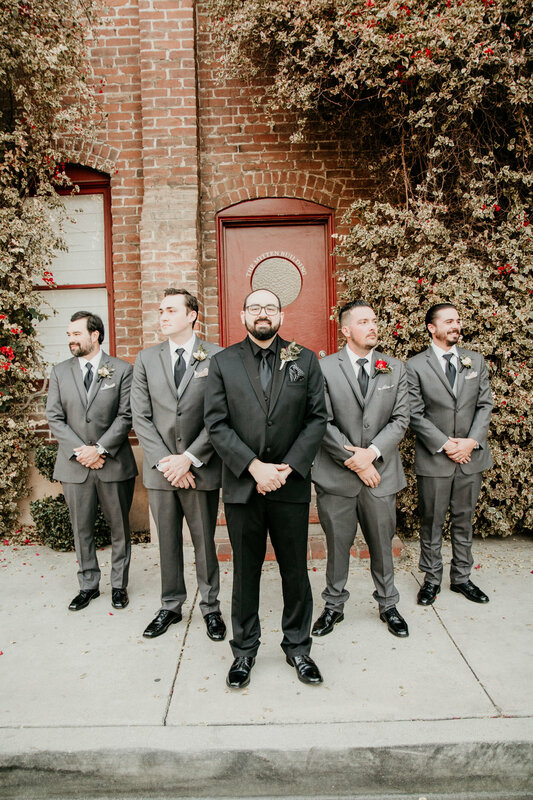 :) After photographing some fun moments of this groom with his guys, it was time to head the to the chapel. 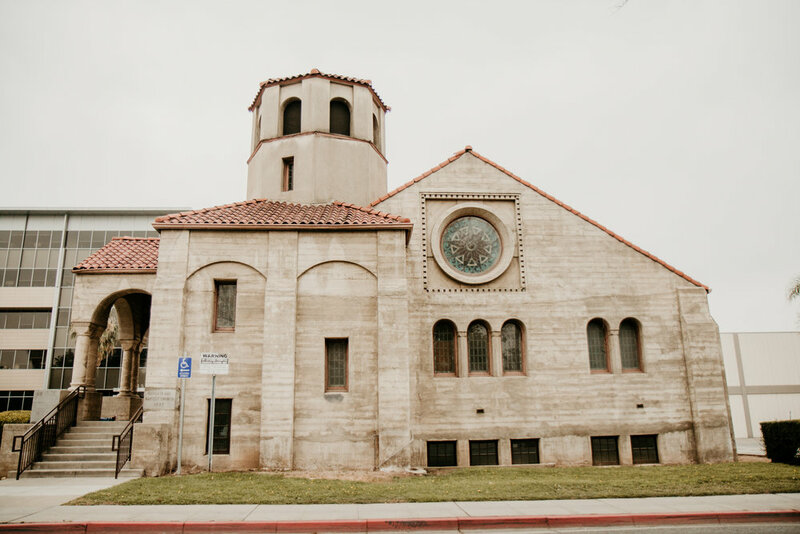 If you're in search of an old world enchanting chapel, check out Thee Olde Chapel in Riverside, California. 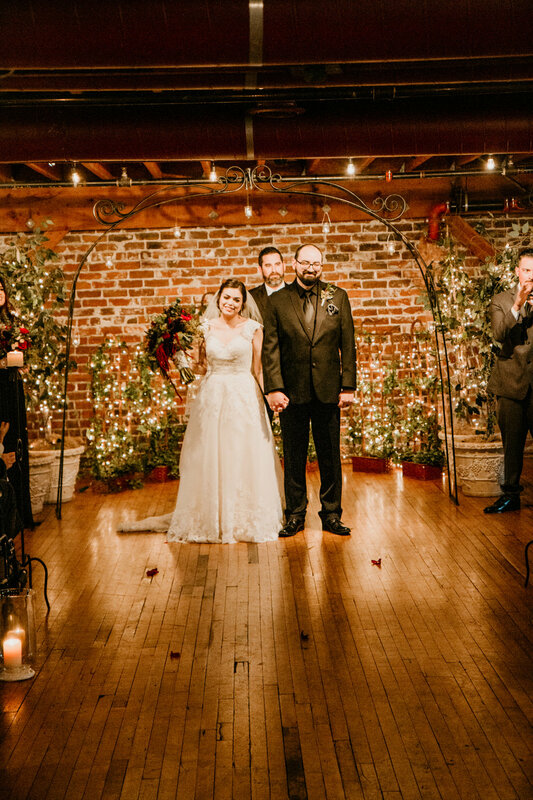 This chapel gives off such a romantic warm feel that’s absolutely perfect for a wedding. 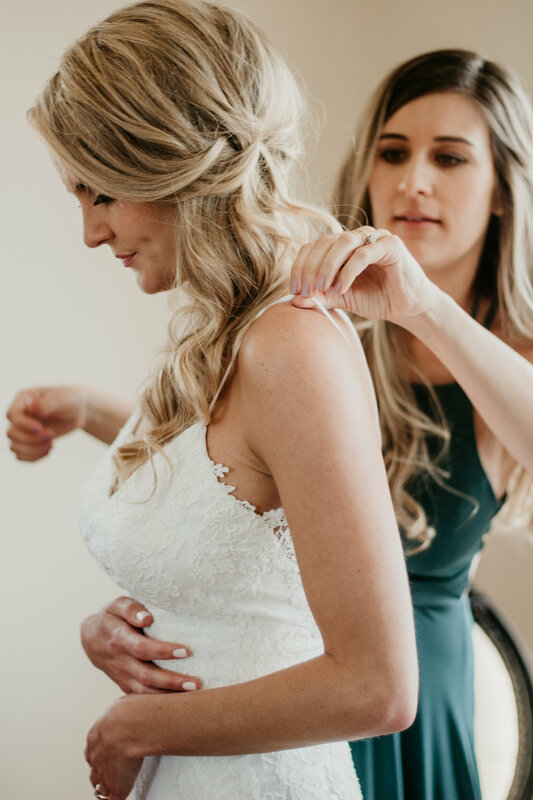 While it’s just moments before the wedding it’s time for this gorgeous bride to put on her wedding dress. 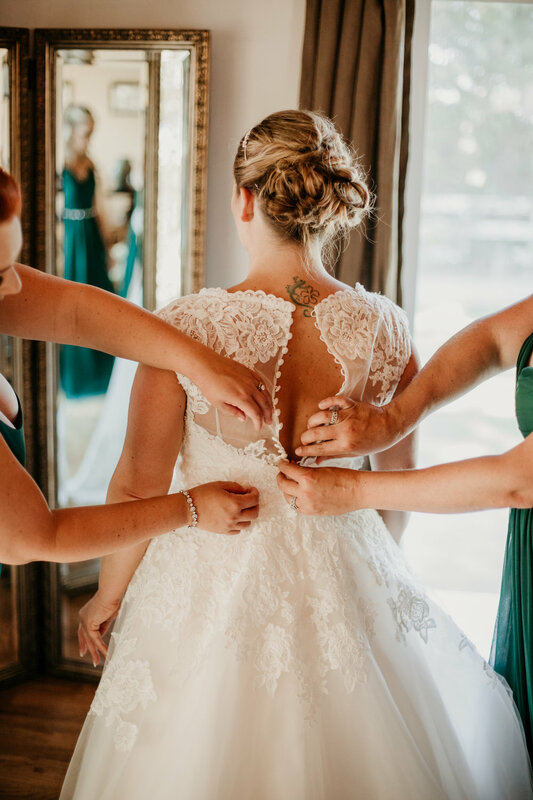 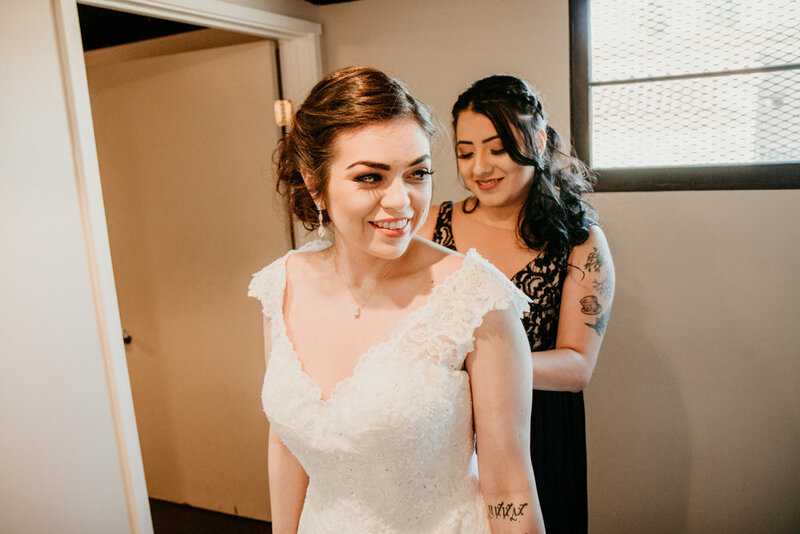 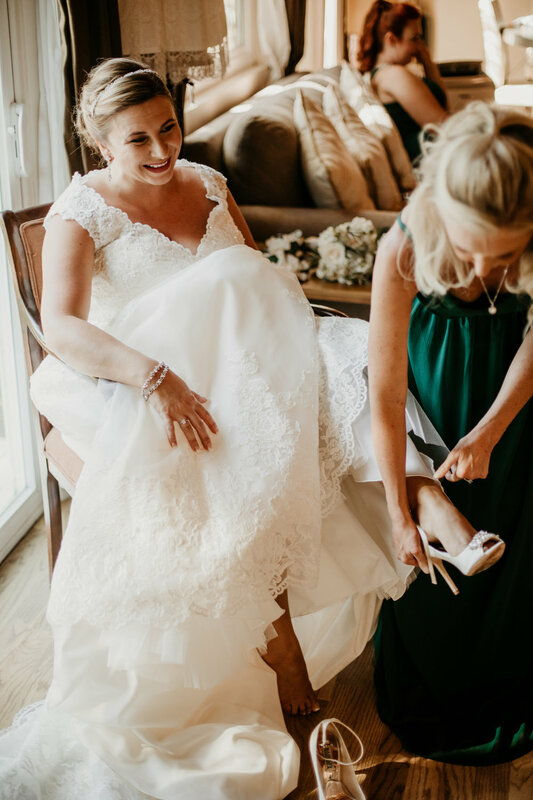 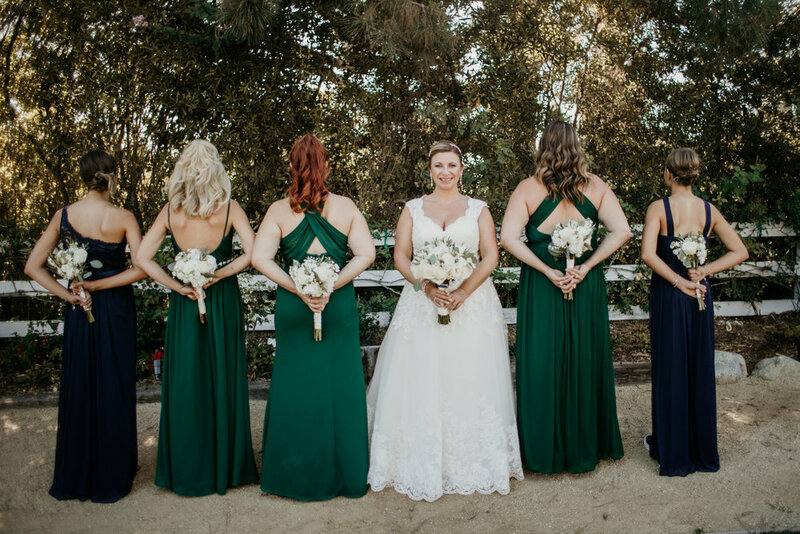 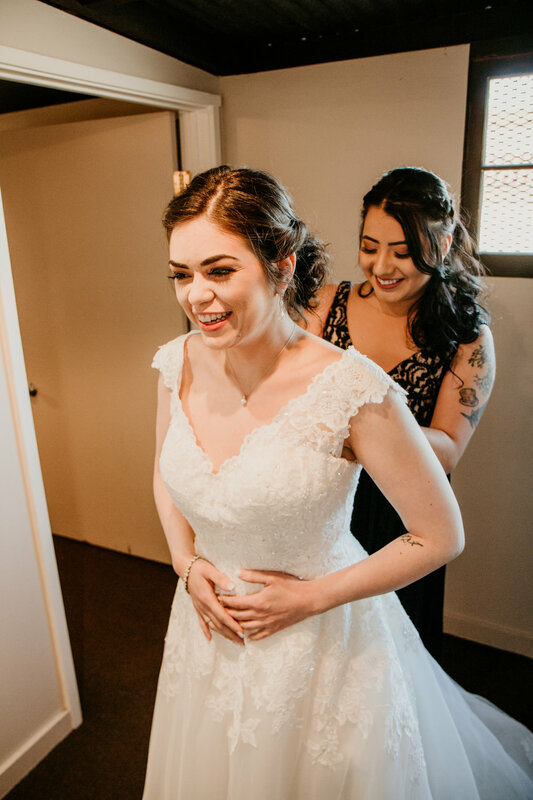 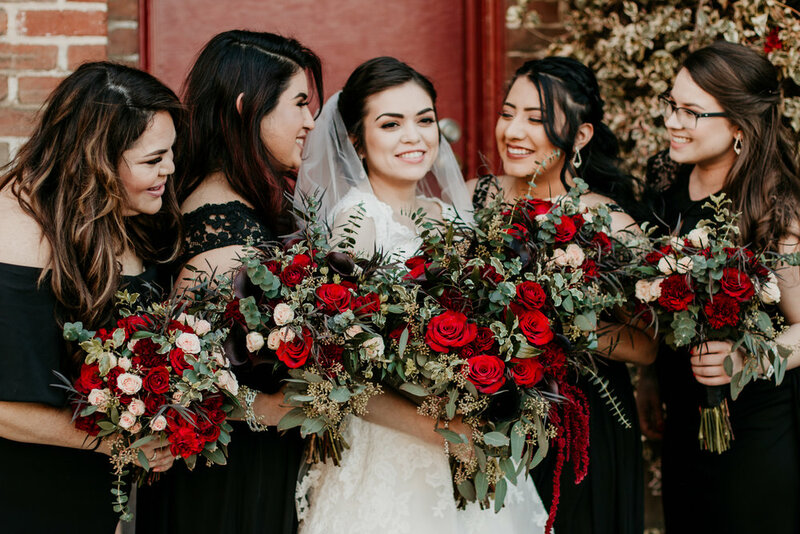 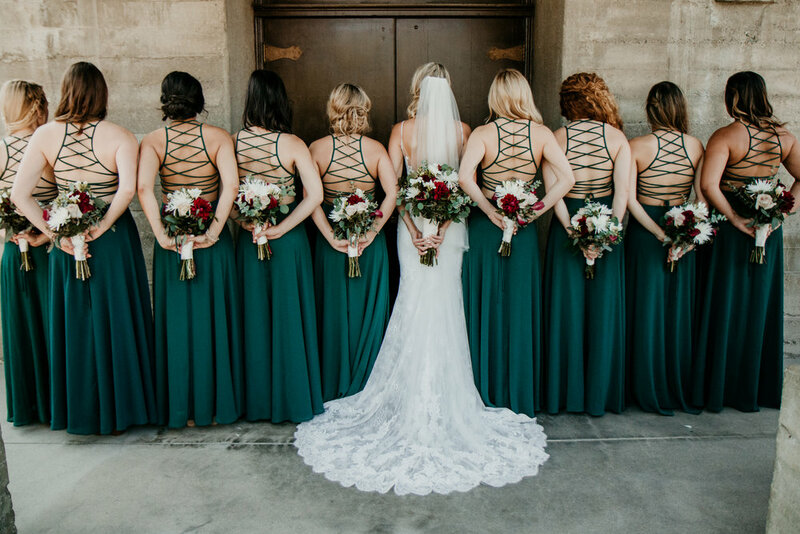 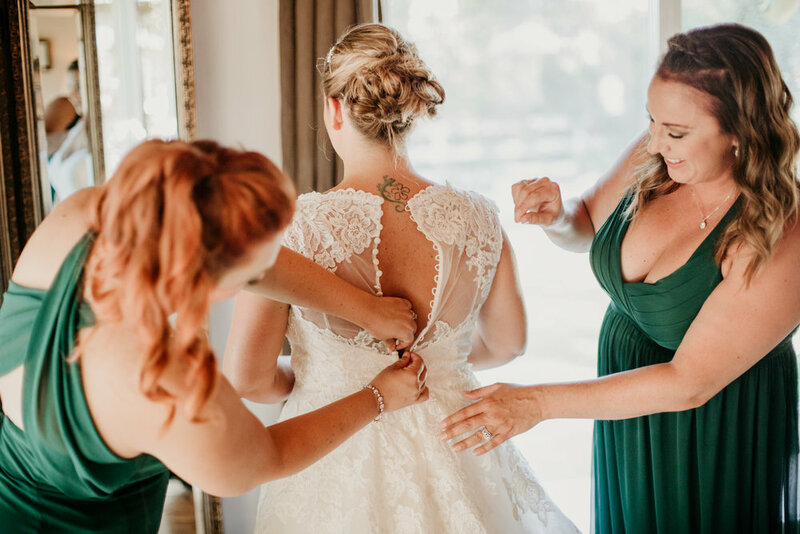 While her mom and maid of honor helped zip her up, all the bridesmaids had tears in their eyes. 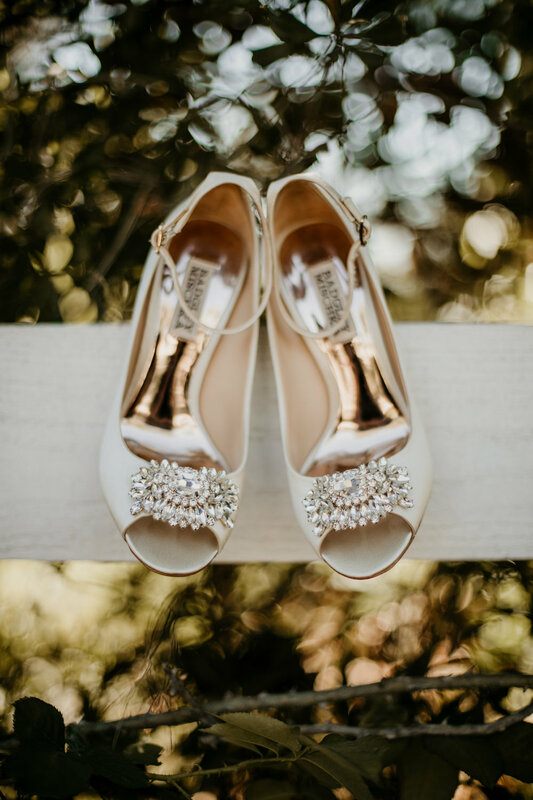 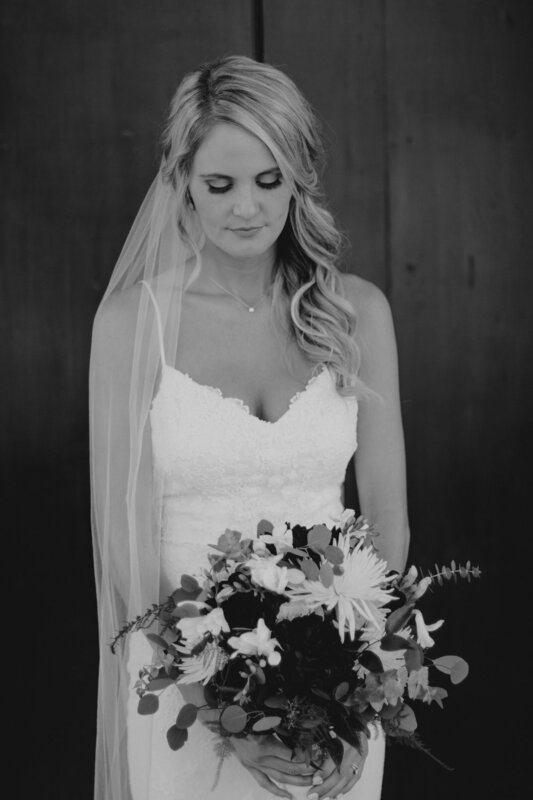 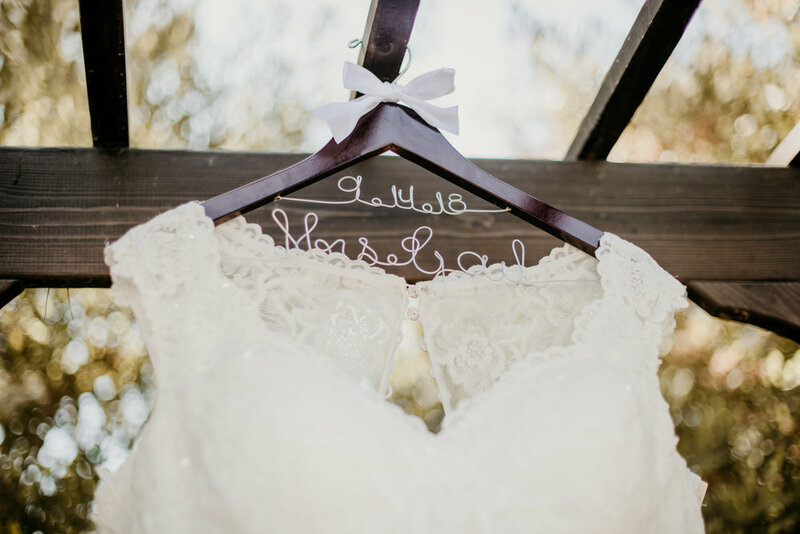 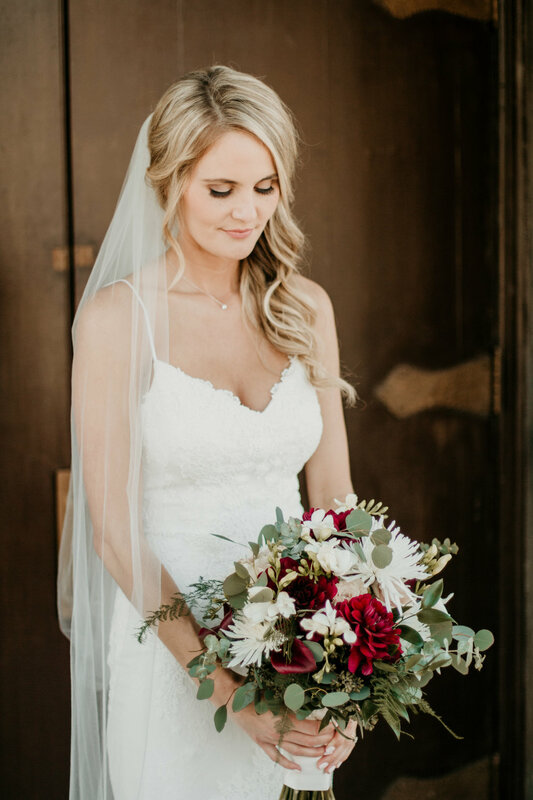 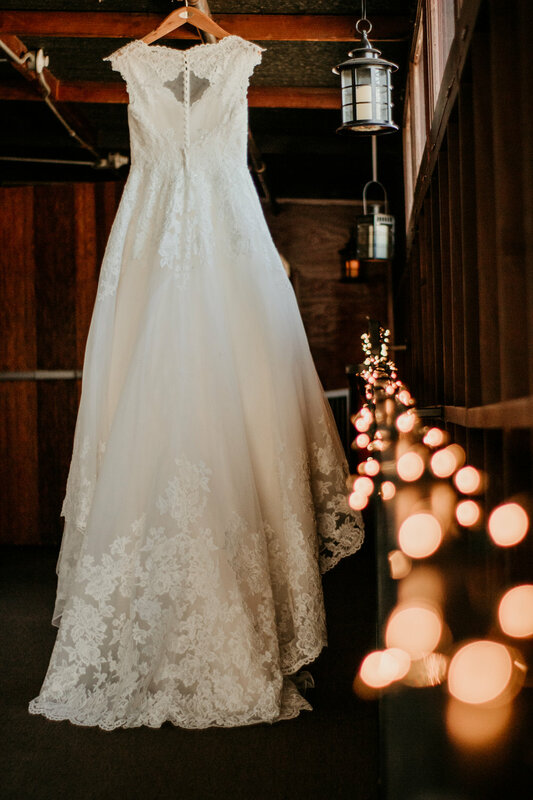 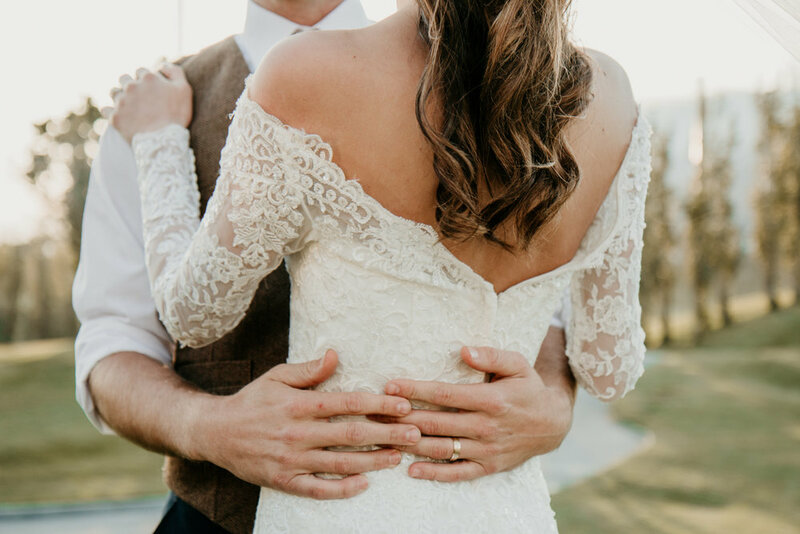 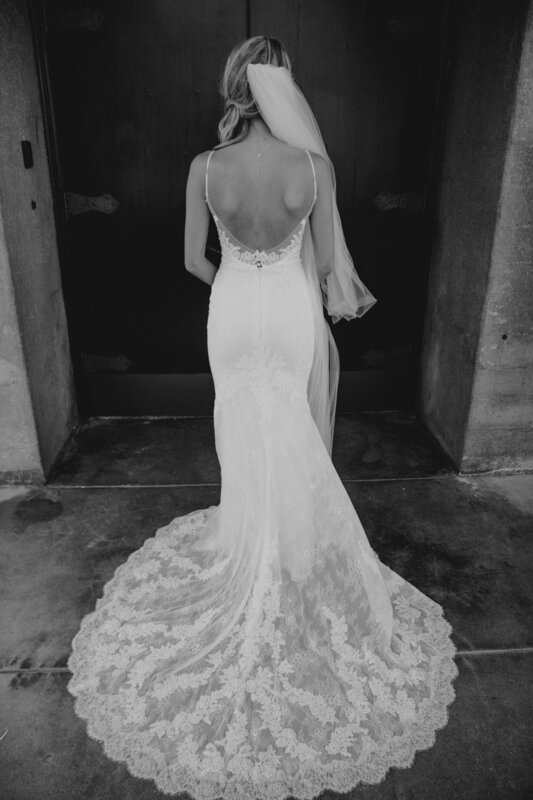 To say this bride was stunning in her dress would be an understatement. 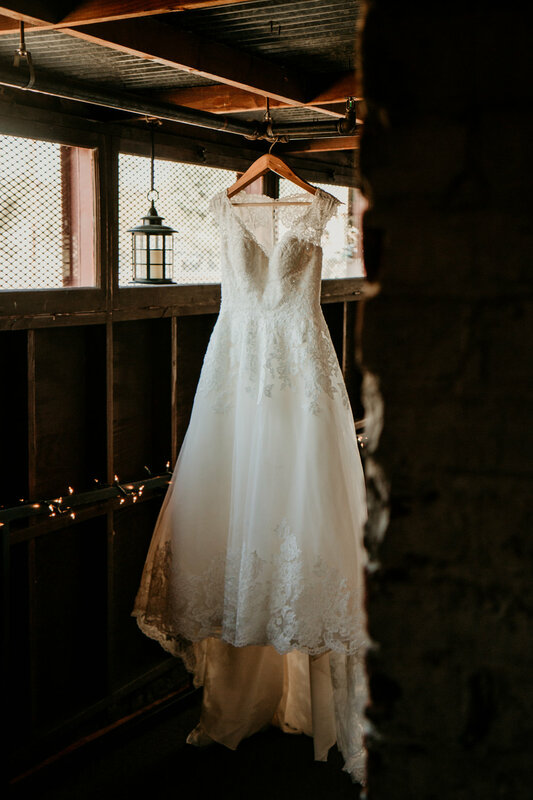 She was beautiful and glowing in her long fitted wedding gown. 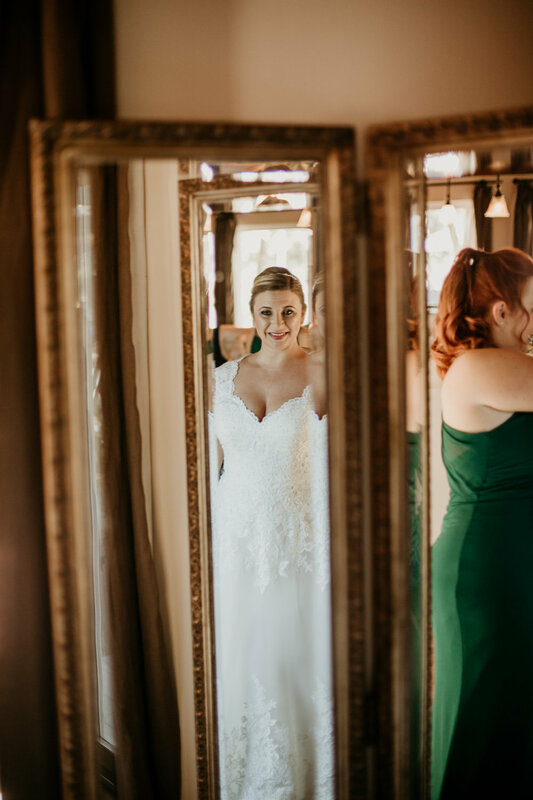 With the bride all dressed and ready it’s time for this couple to say "I do." 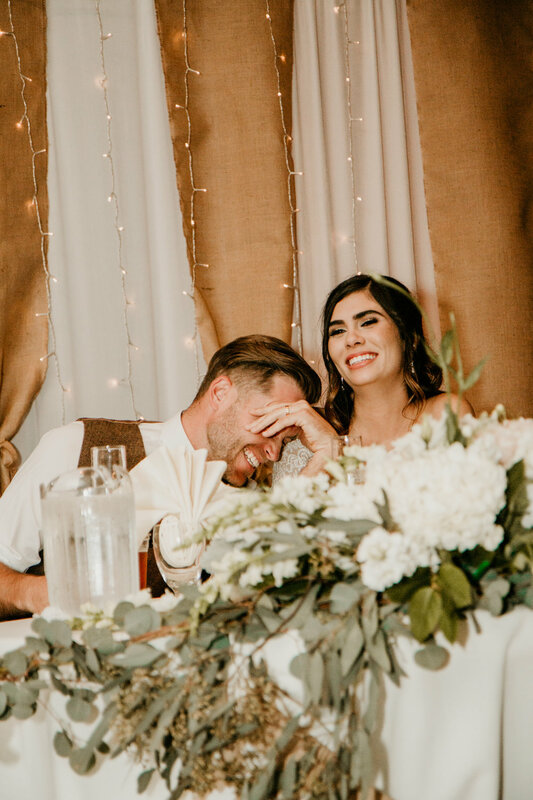 The wedding was perfect and filled with laughs, tears, and special moments to treasure forever. 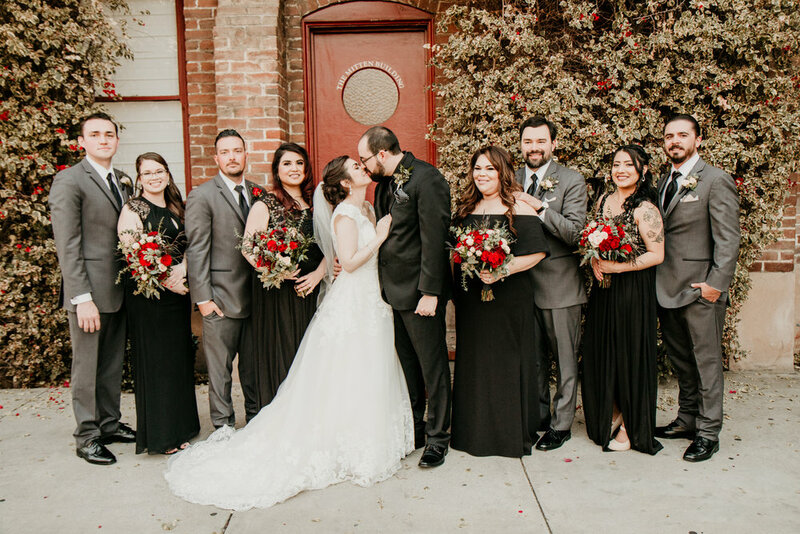 After the wedding we photographed the family, bridal party together, and of course captured some romantic photos of just the bride and groom. 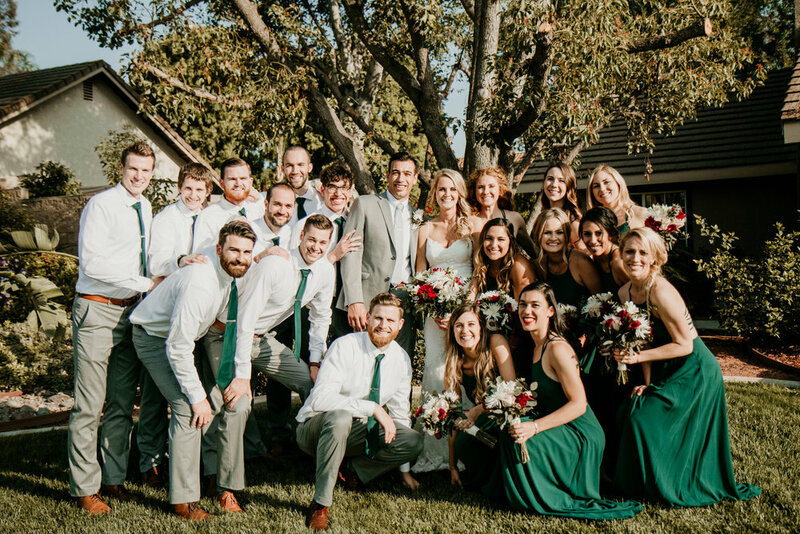 The wedding reception was held in the backyard of the bride’s family home. 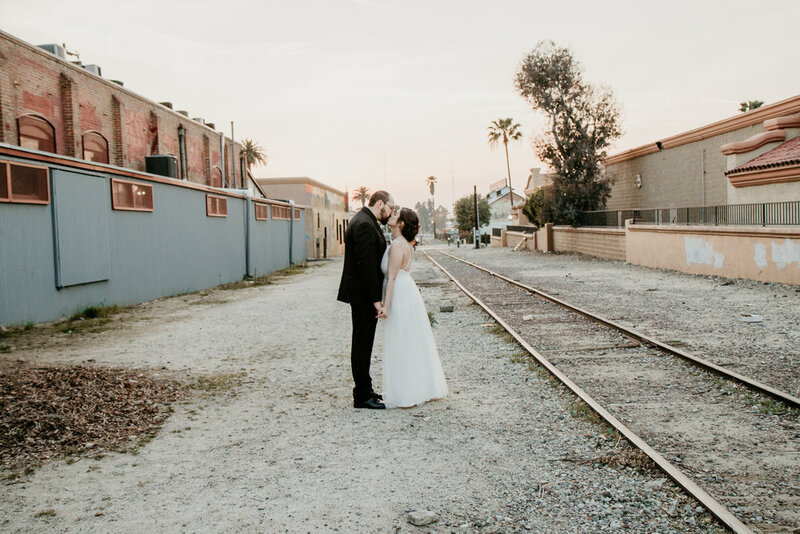 This backyard was gorgeous and the perfect size for this intimate wedding reception. 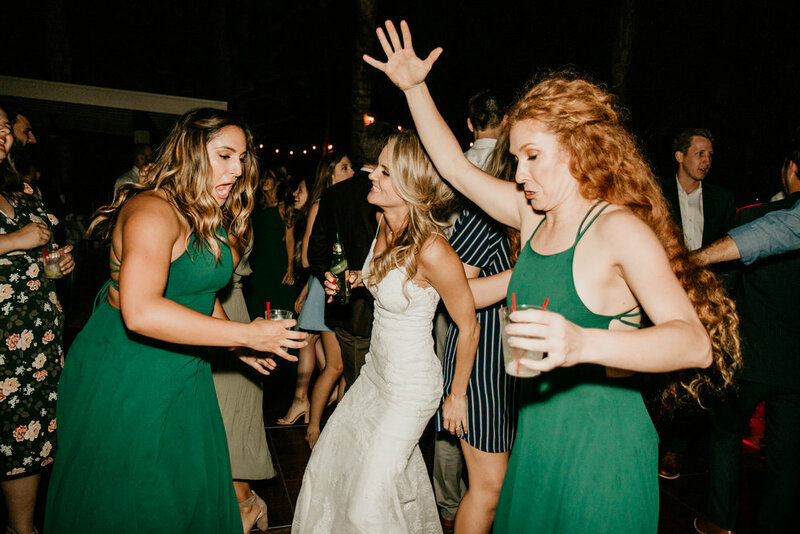 One of the best parts about having a backyard wedding reception is that you can do whatever you want to your own backyard. 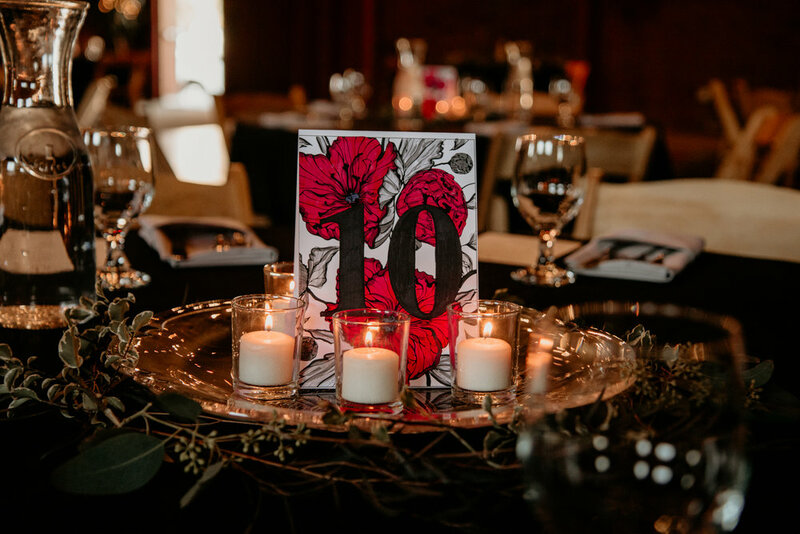 You can have actual candles lit, you can bring your own cake and serve whatever food you would like, etc. 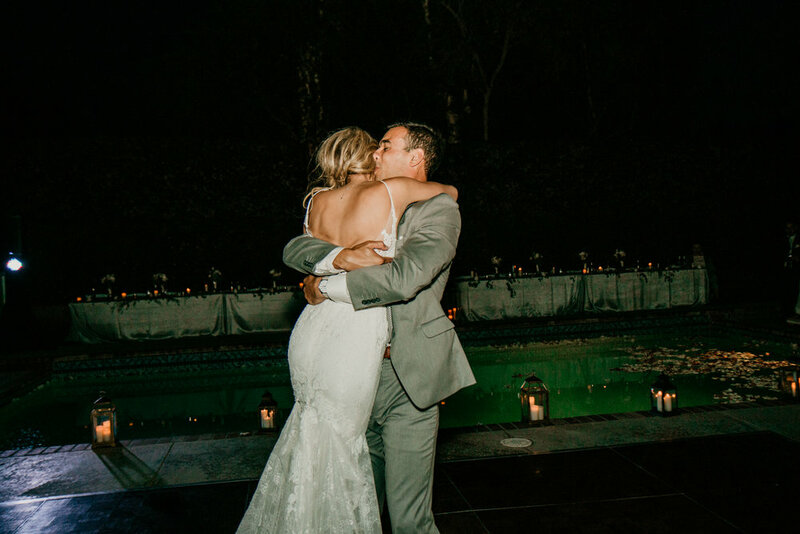 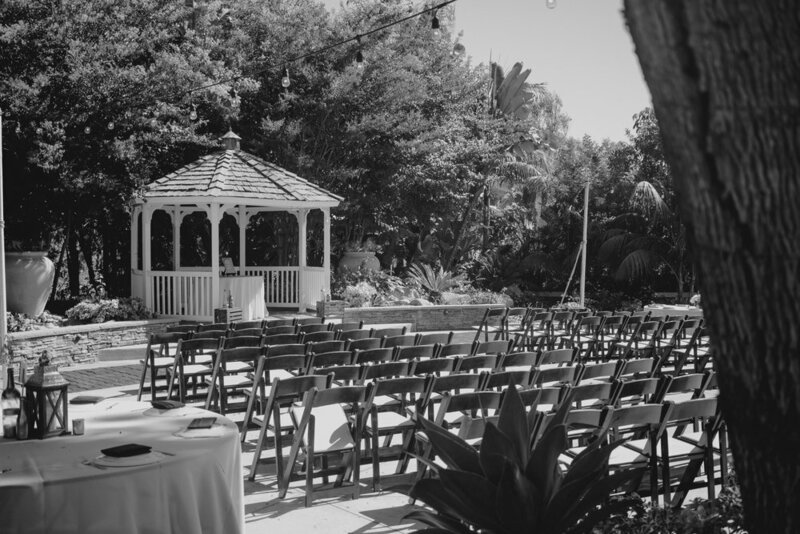 We love backyard weddings and the special intimate feel that they bring to a wedding day. 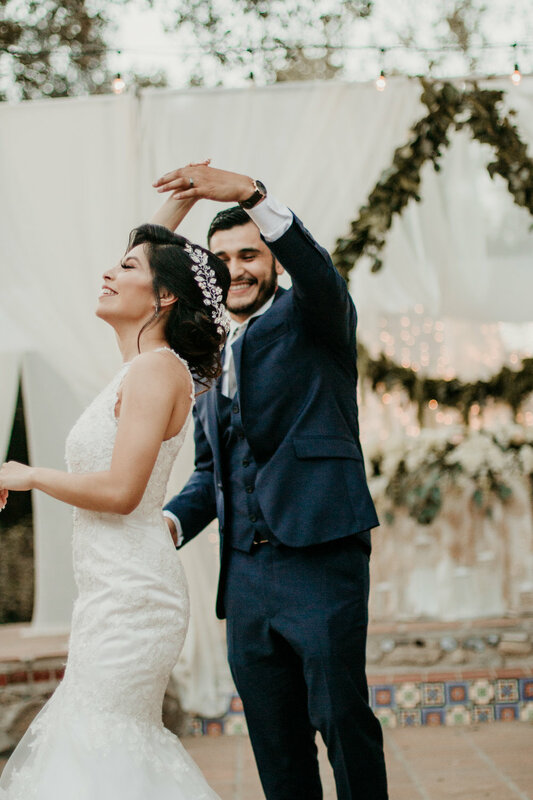 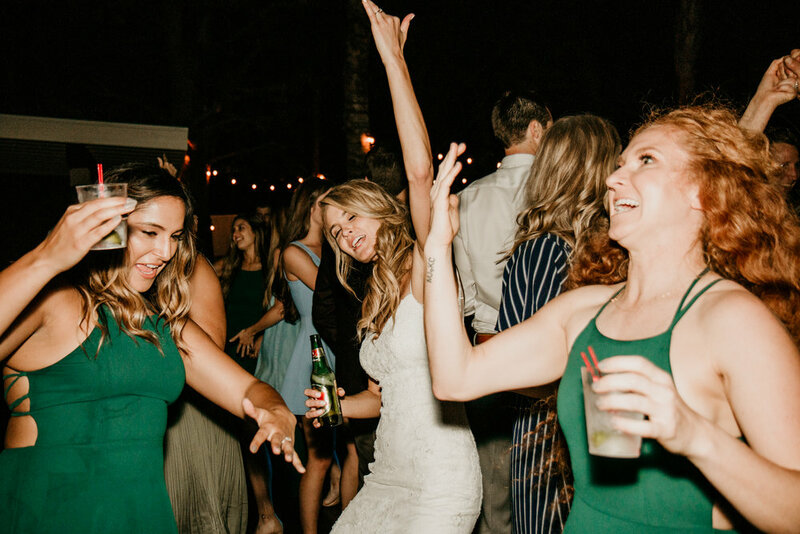 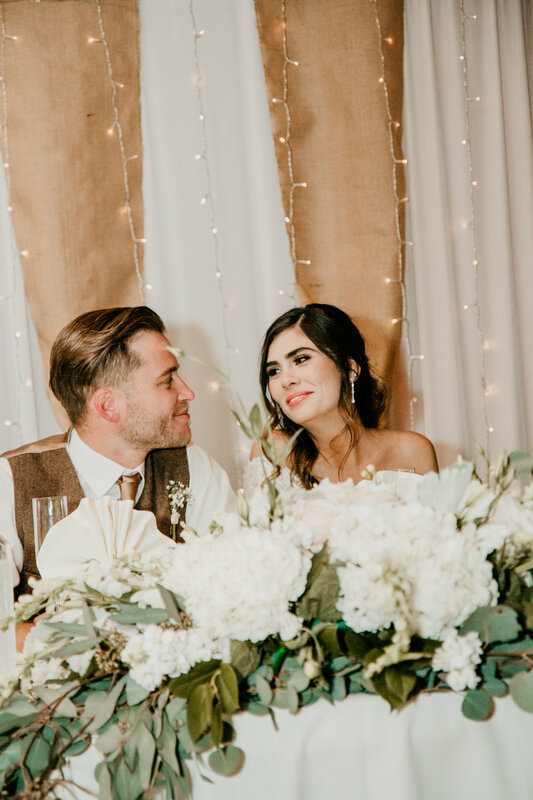 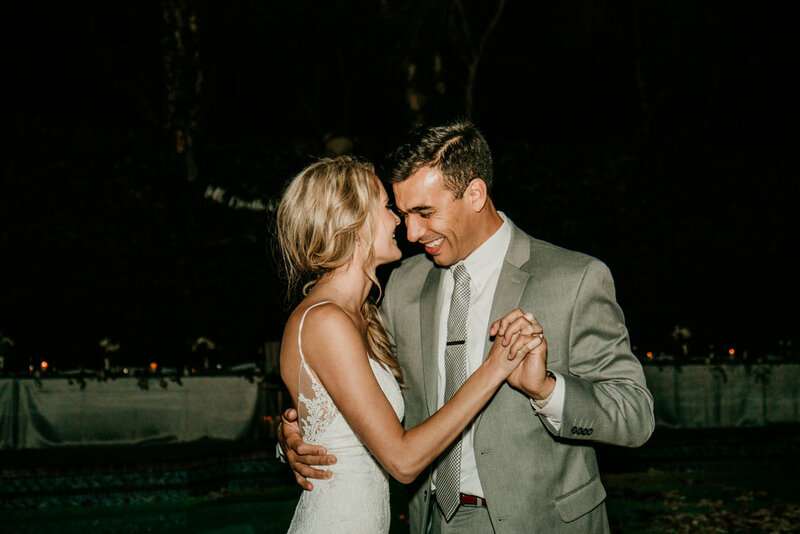 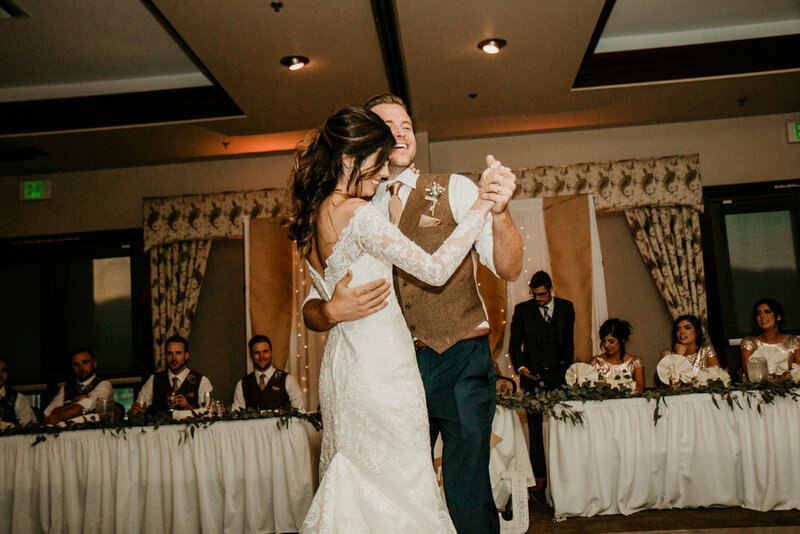 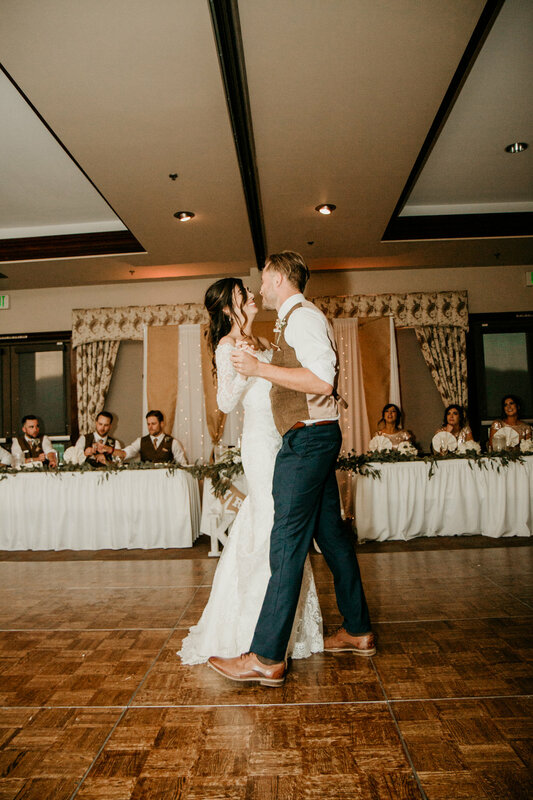 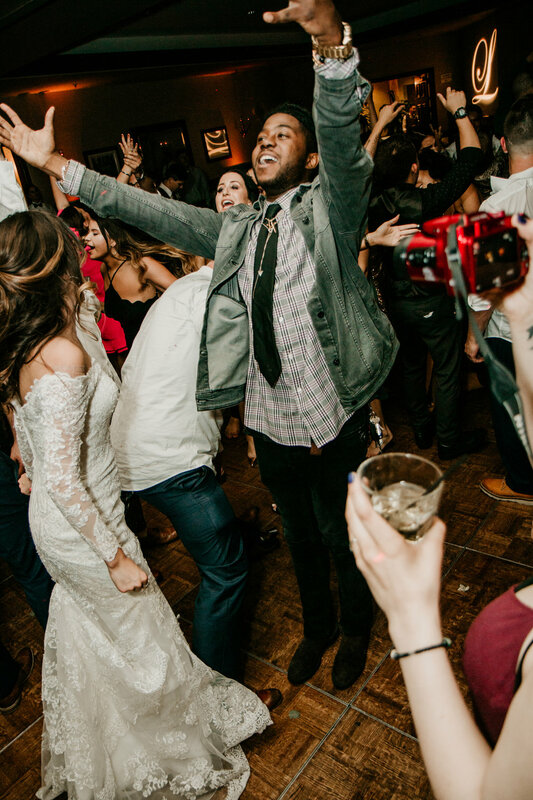 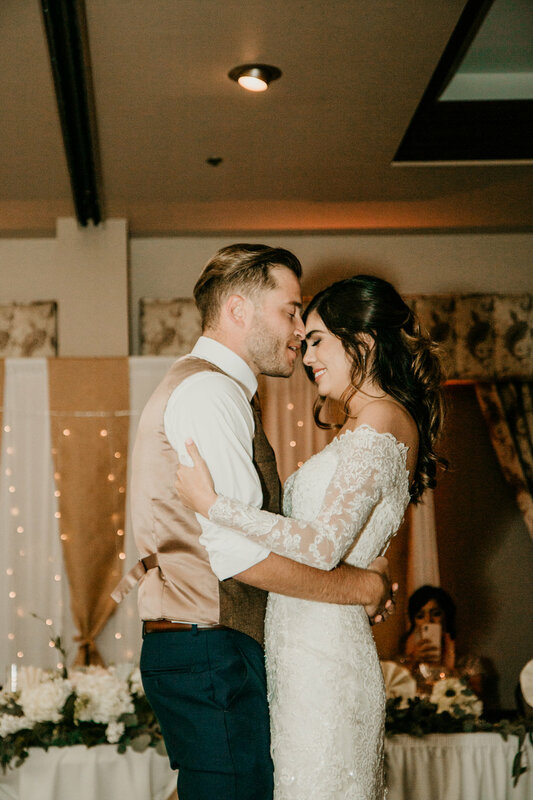 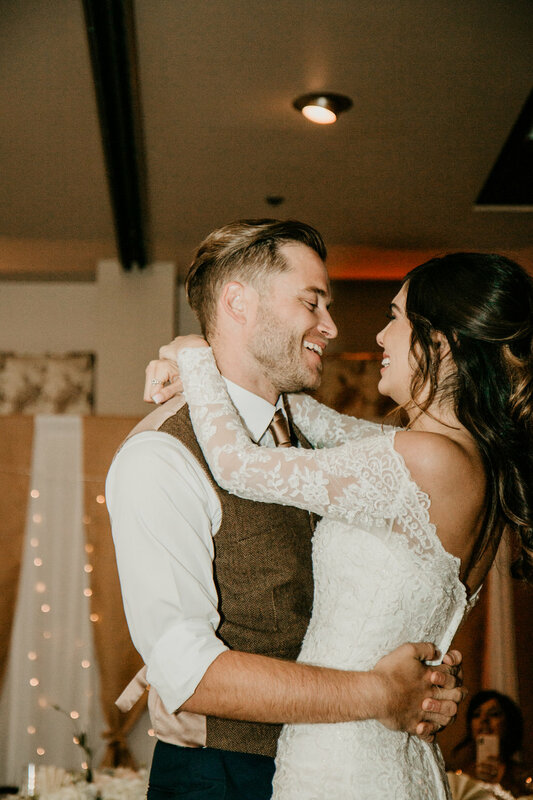 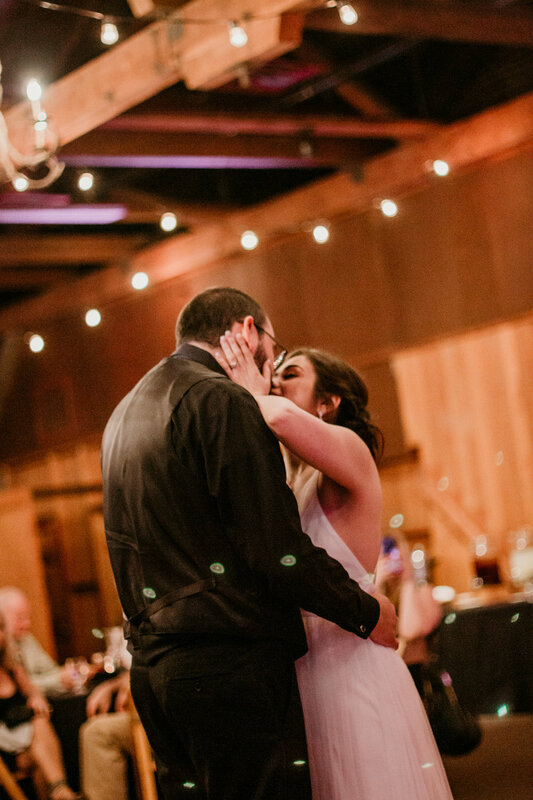 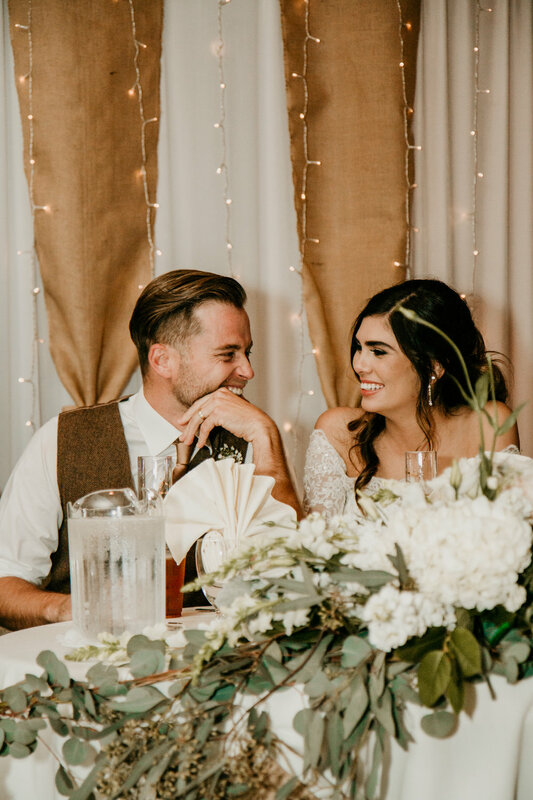 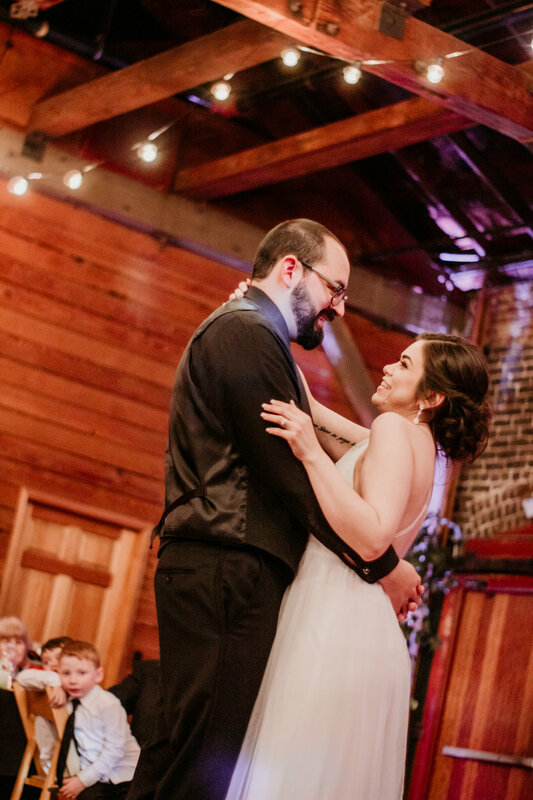 This wedding reception was filled with awesome dance moves, laughs, and really tasty food. 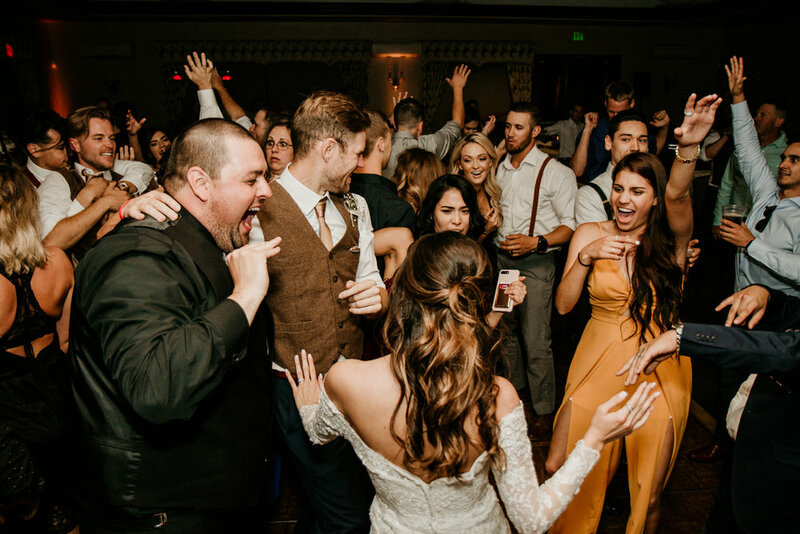 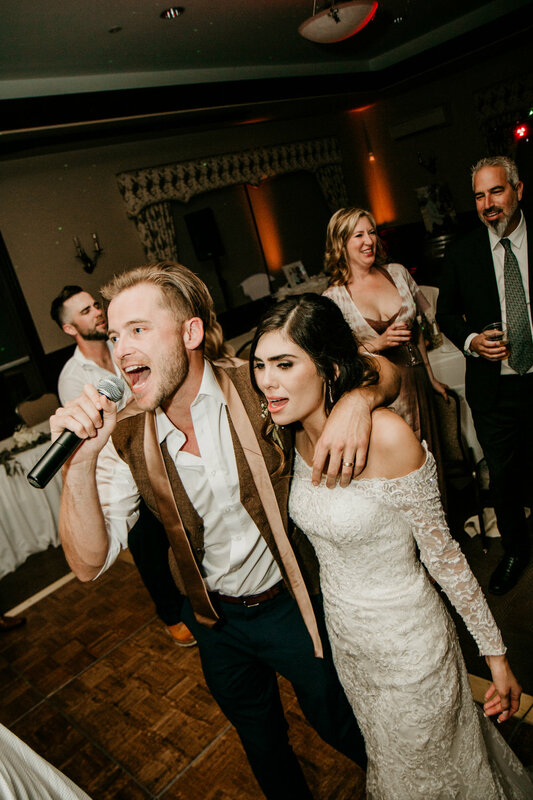 This was one perfect night filled with the couple doing a grand exit through a tunnel of all their closest friends and family and driving off into the night in a limo. 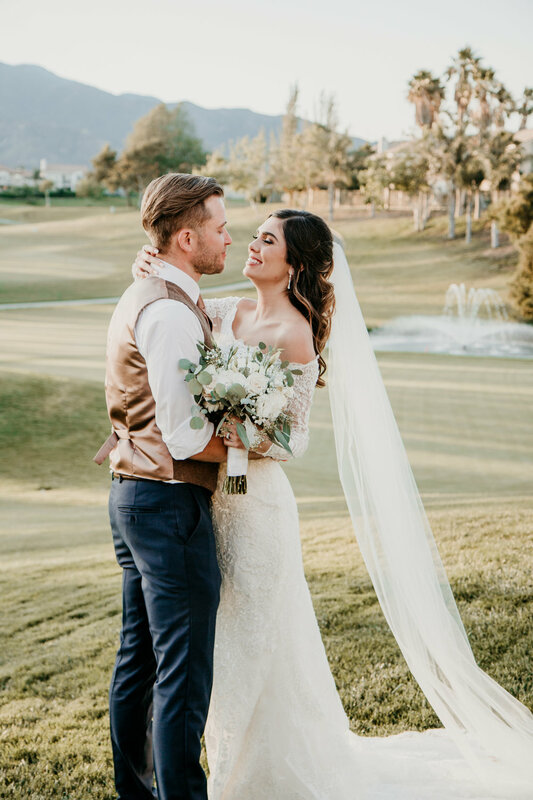 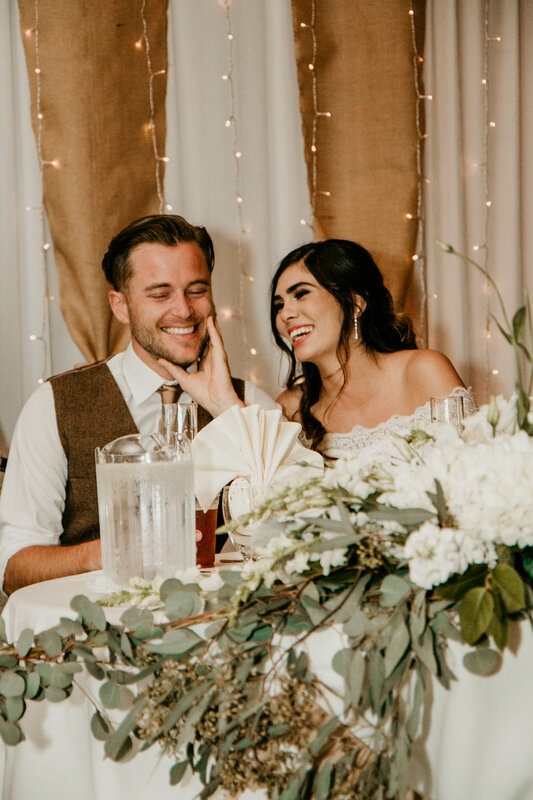 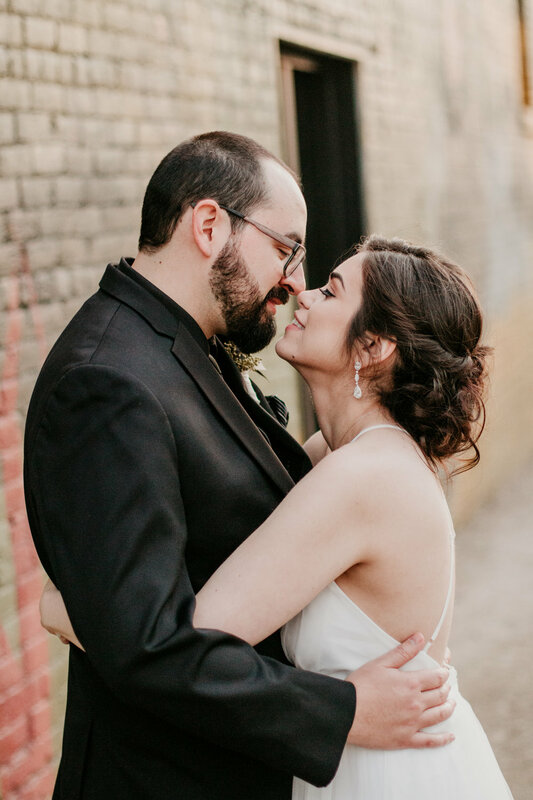 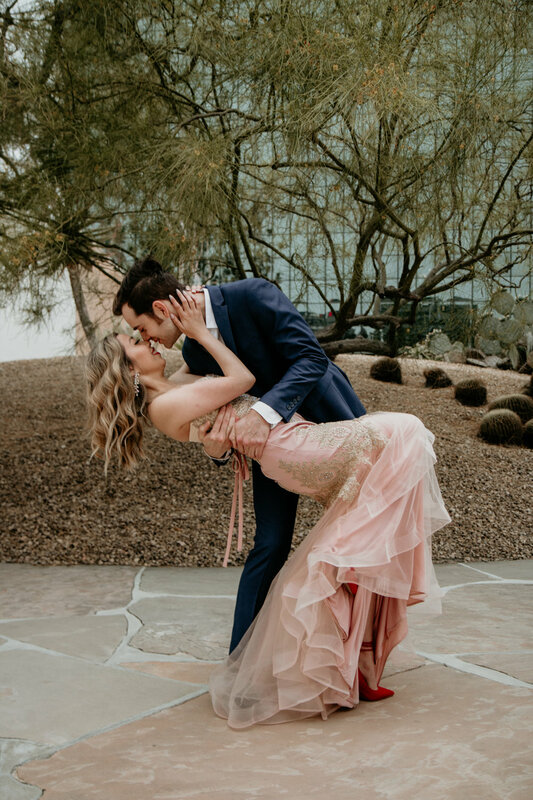 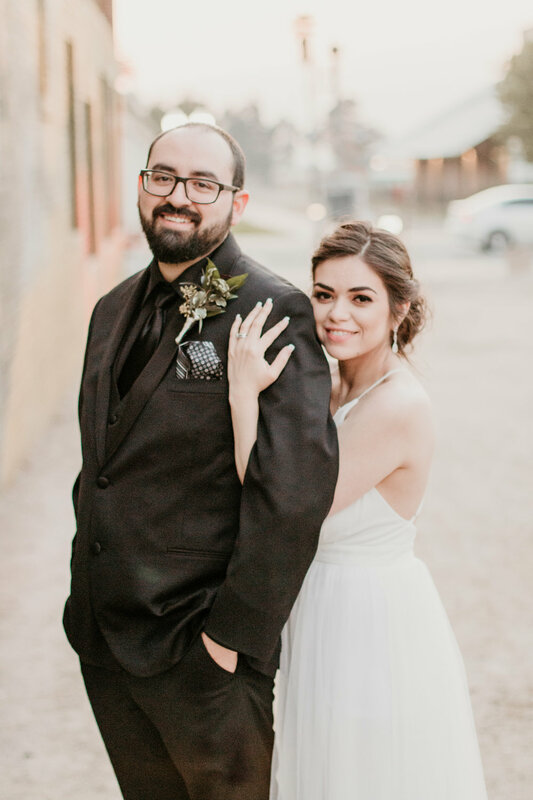 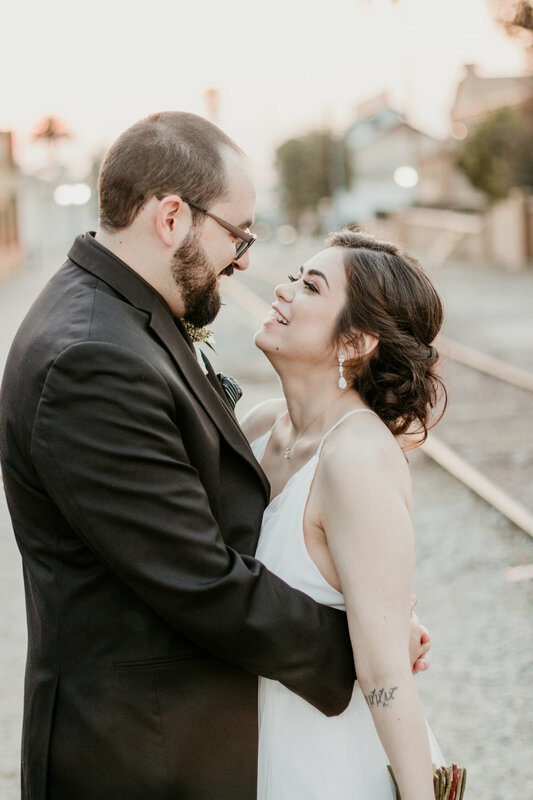 We are so happy for these two newlyweds and know that they will have a lifetime of happiness together and hopefully lots have adorable babies!! 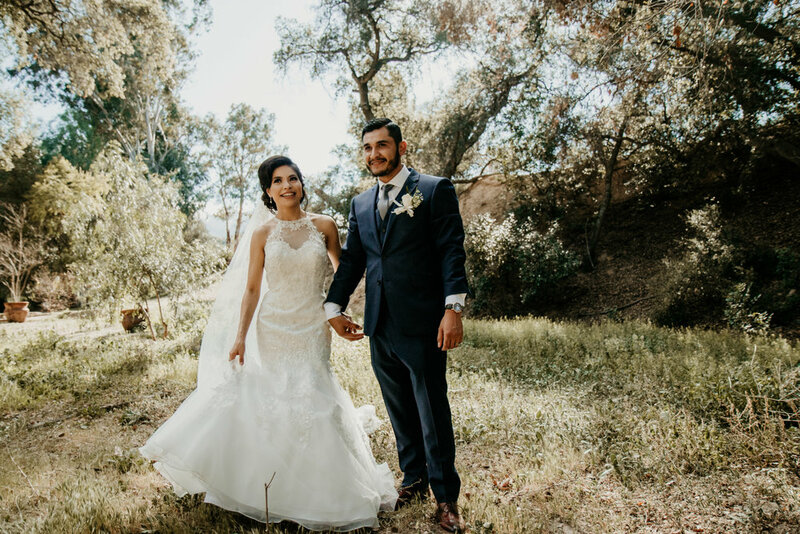 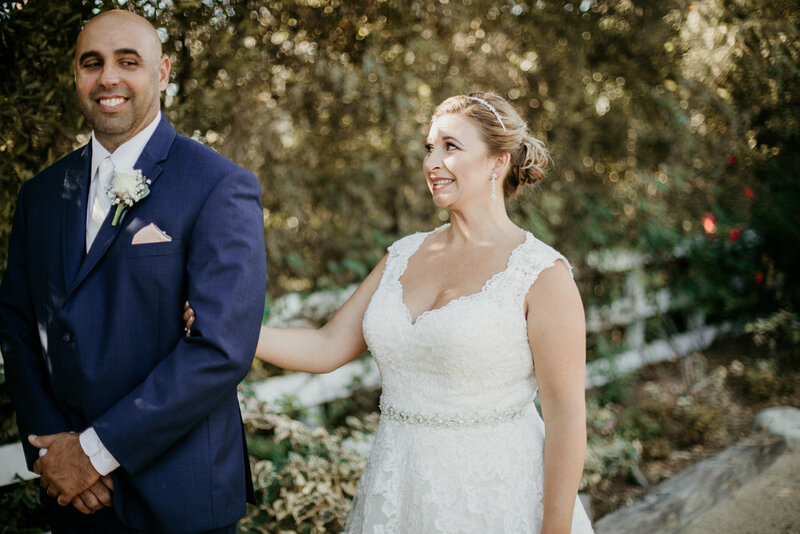 Congratulations to the bride and groom and thank you for choosing us us to be your Orange County Wedding Photographers. 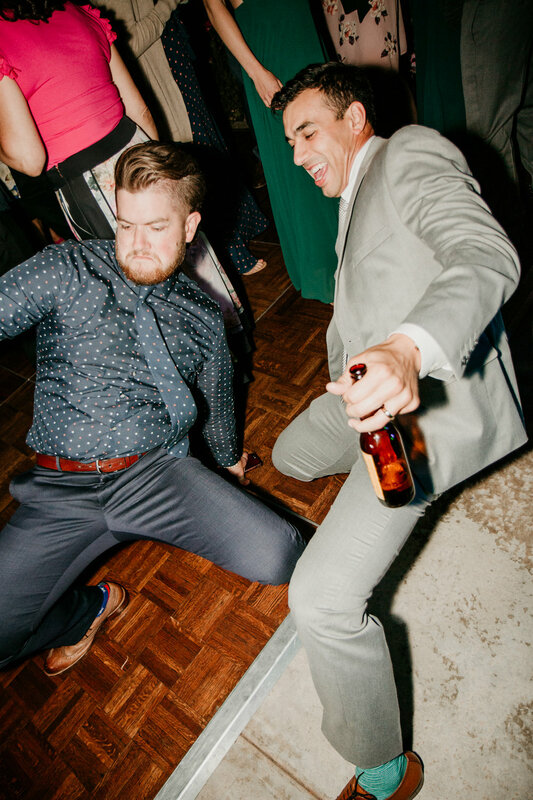 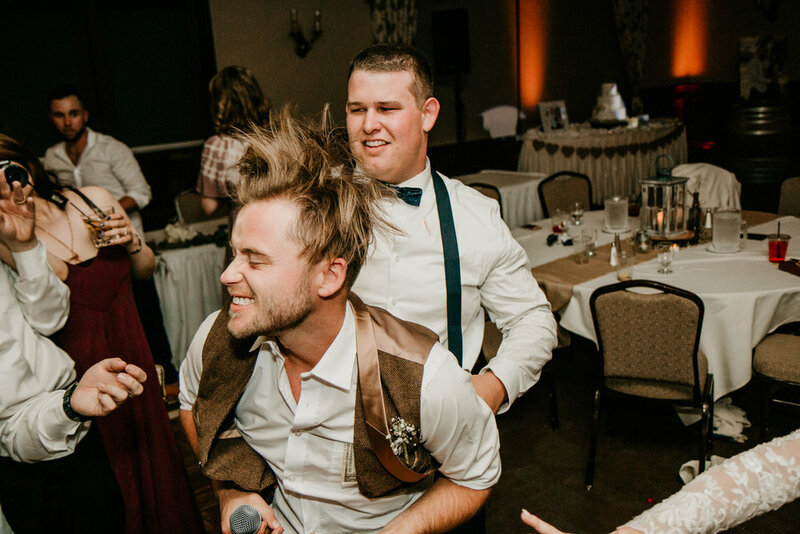 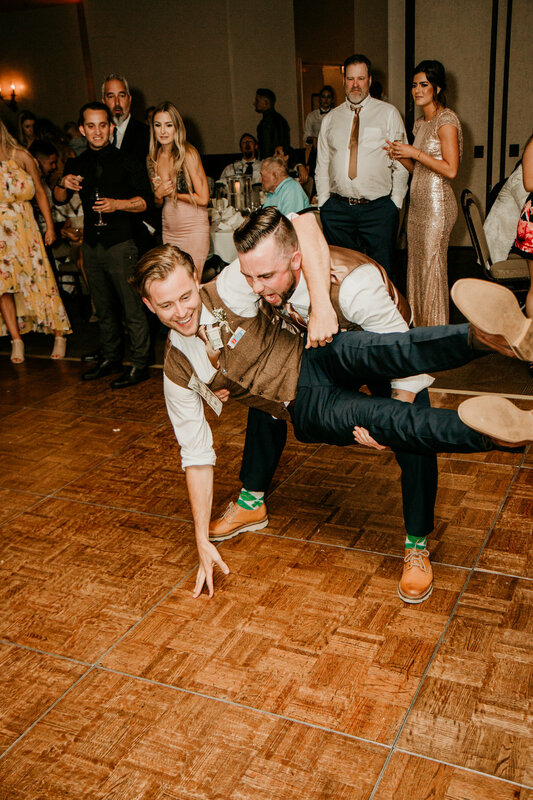 This wedding is why we became wedding photographers. 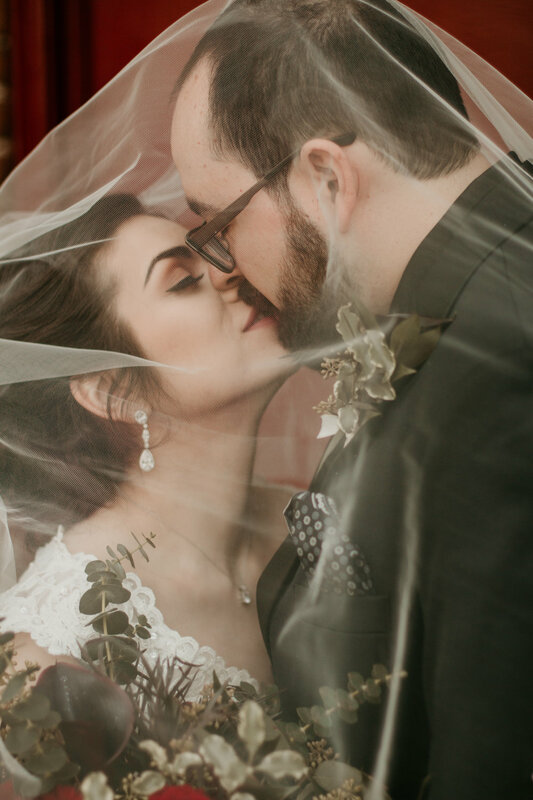 The pure love that this bride and groom show for each other is what most people search a lifetime for. 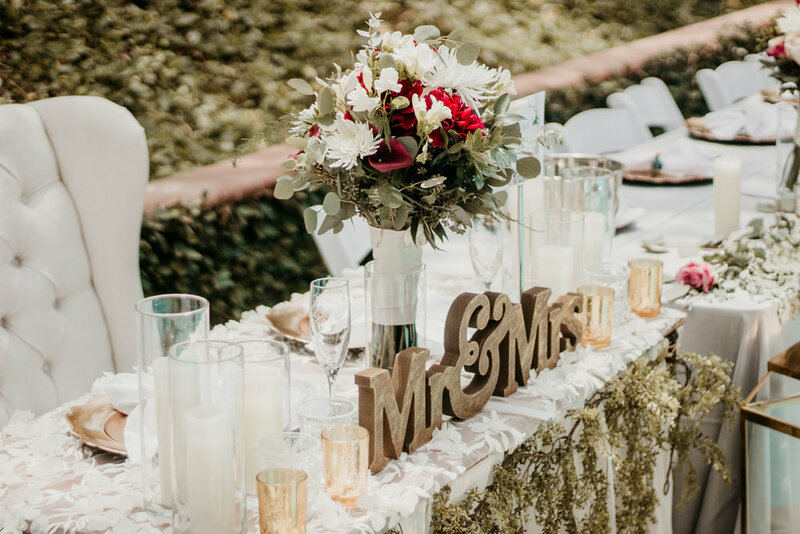 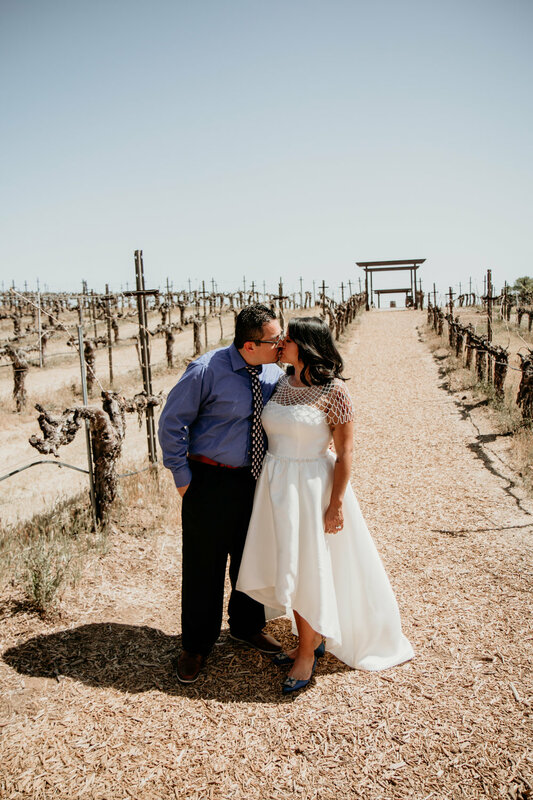 Rancho El Toro by Elegancia Events is a stunning wedding venue, snuggled in a beautifully secluded area of Corona. 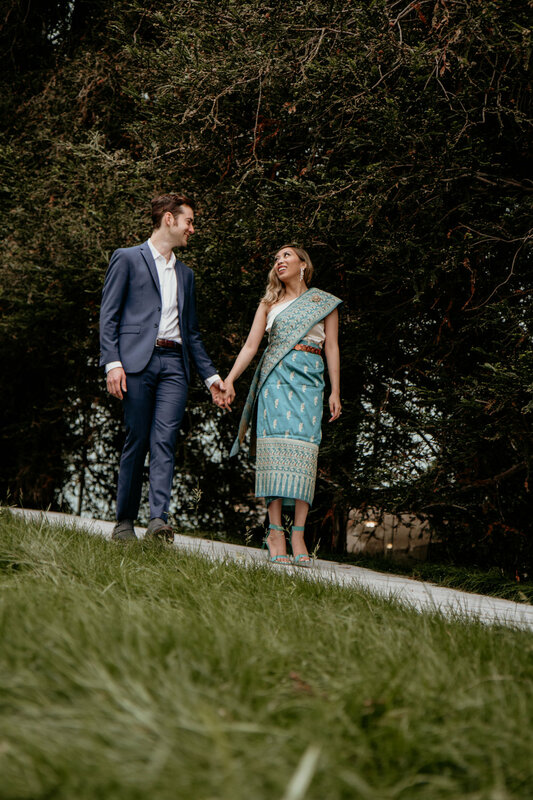 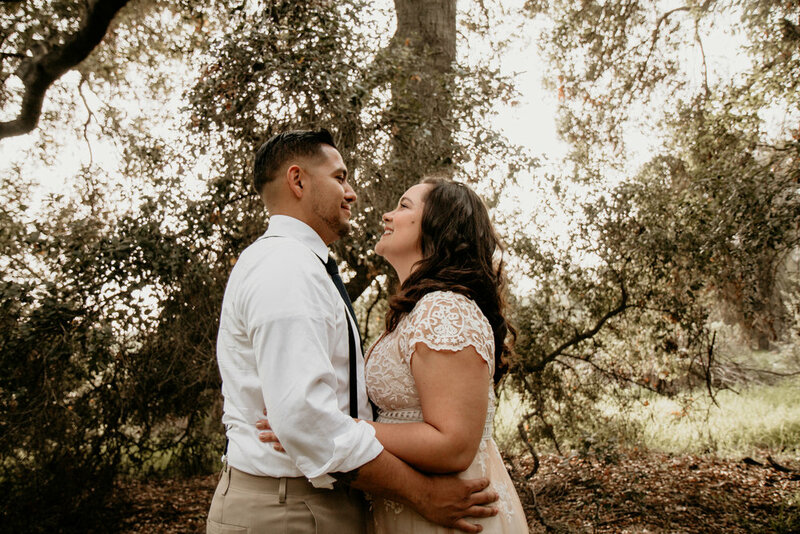 This was our first time photographing a wedding at this venue, we had an absolute blast finding interesting and fabulous location's to do romantic photos with this couple. 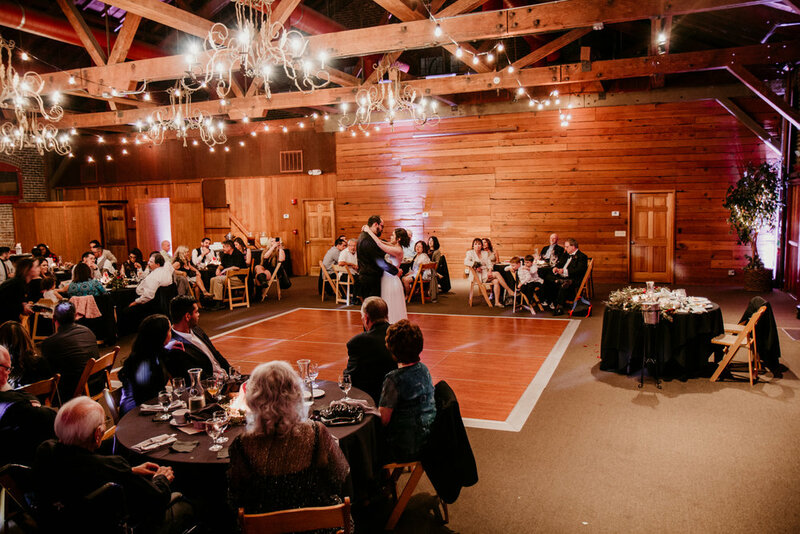 At one point we ended up behind the reception venue in what looked like an enchanted field. 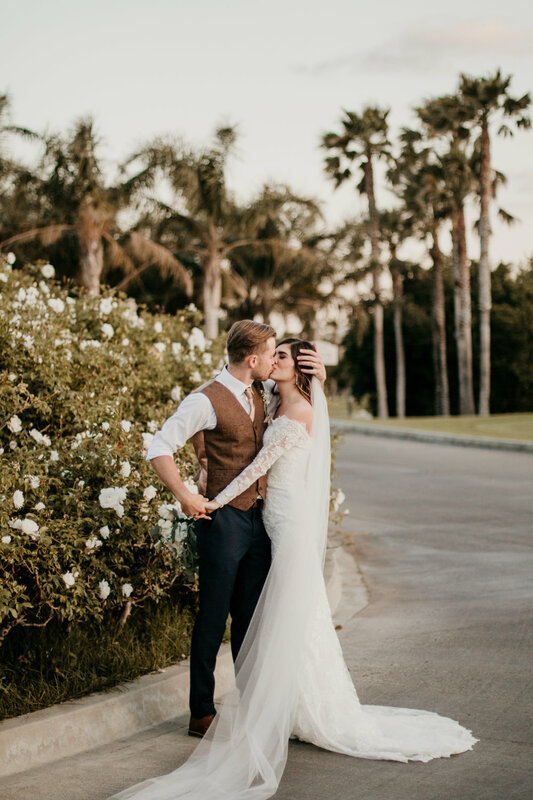 An absolute beautiful location and couple. 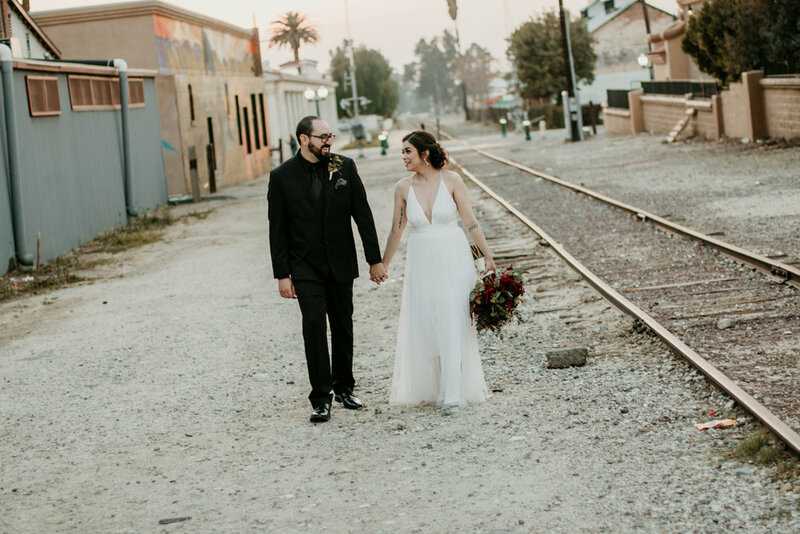 This wedding was perfect from the moment we arrived until we left. 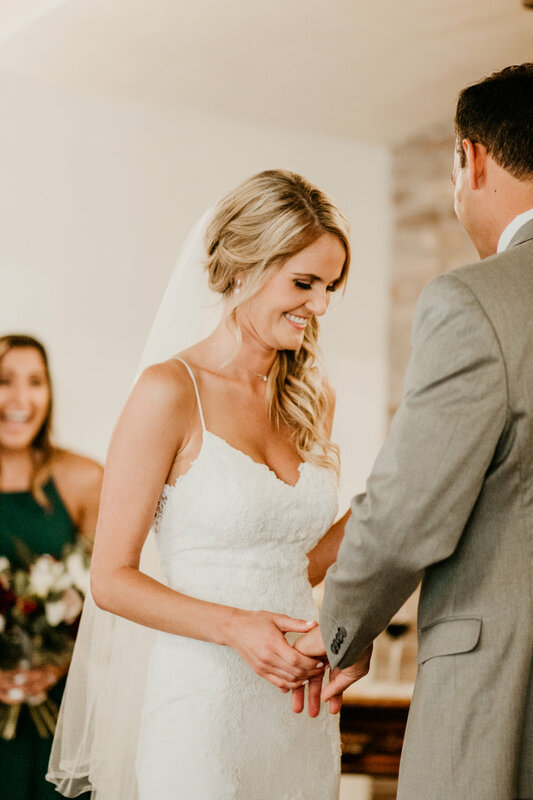 The bride was slightly nervous but you saw those nerves flow away as she glided down the aisle to the man of her dreams. 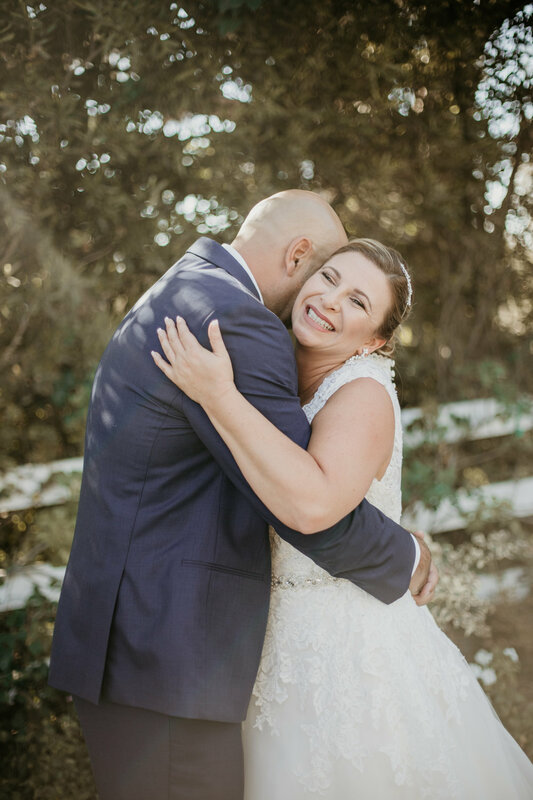 She has loved her groom since she was 15, they were high school sweethearts. 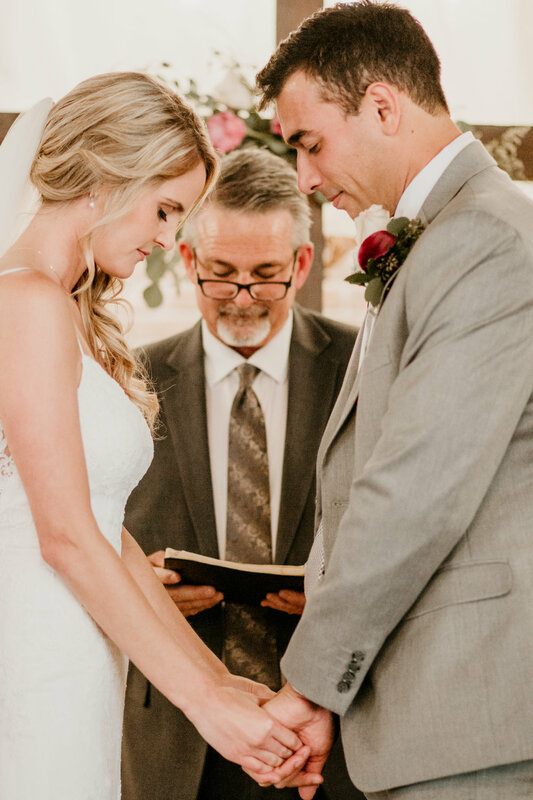 The ceremony was beautiful and sentimental there were plenty of happy tears. 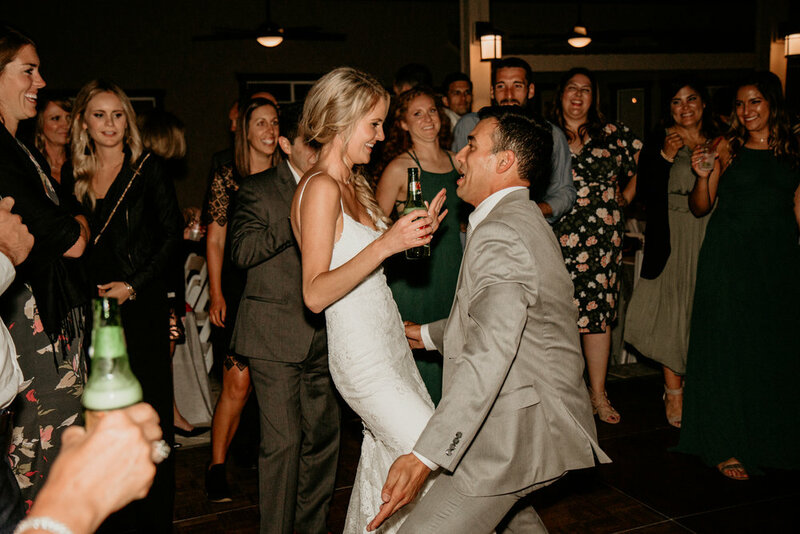 The reception was filled fun and laughter as everyone danced the night away. 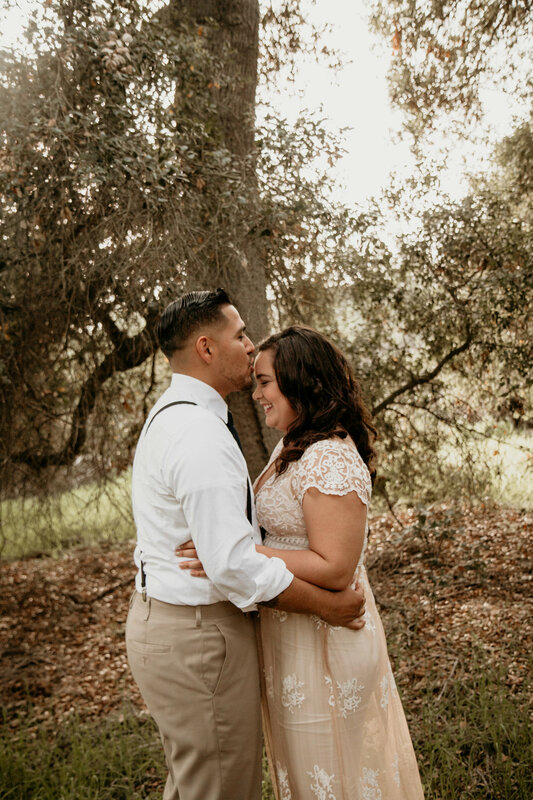 We are so happy for this adorable couple and truly think their love will last forever. 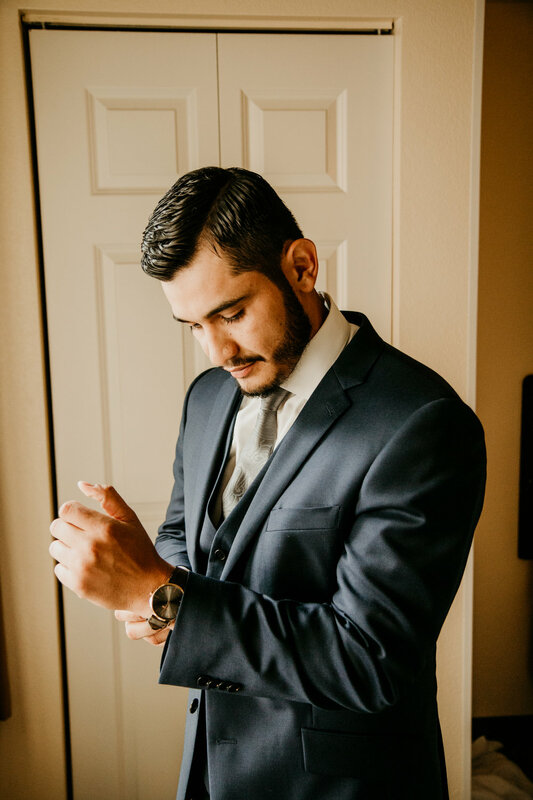 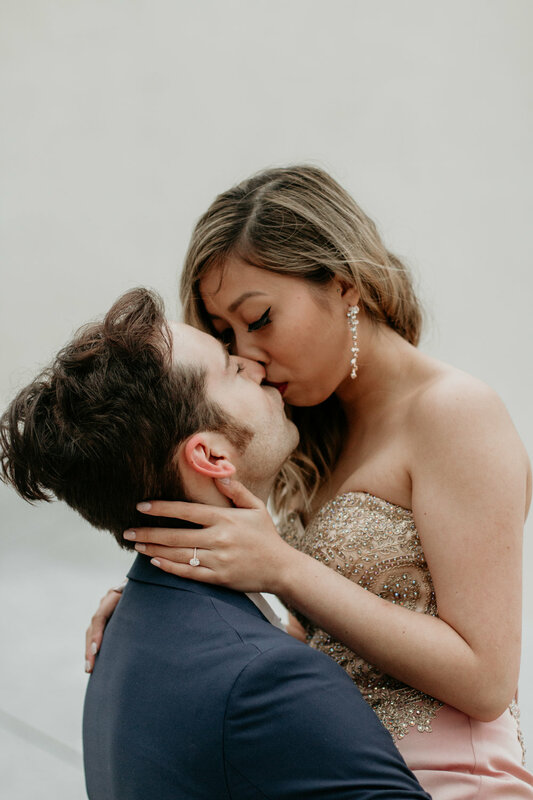 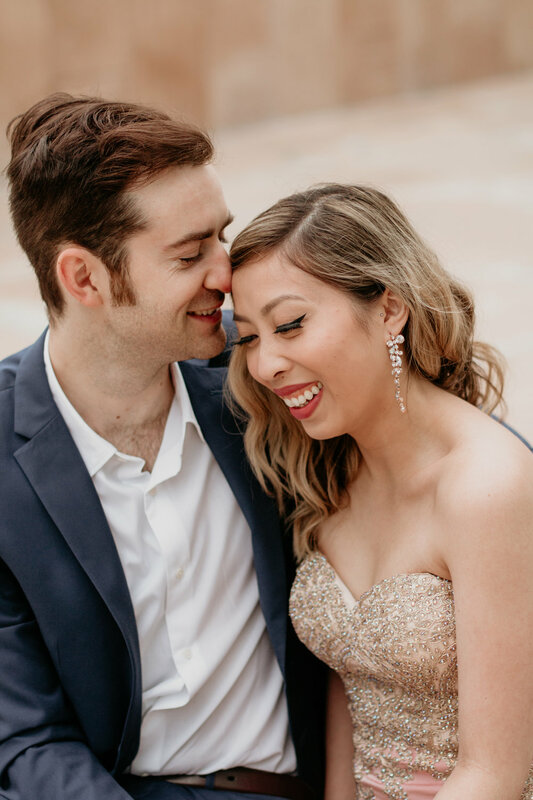 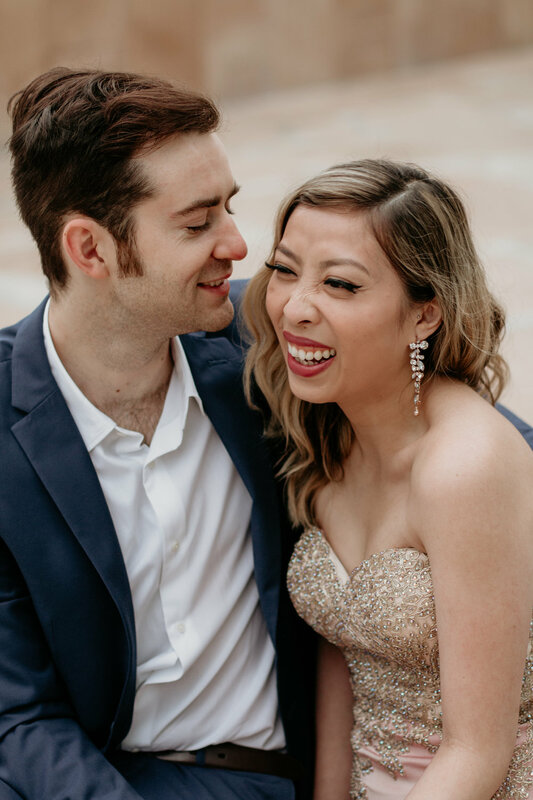 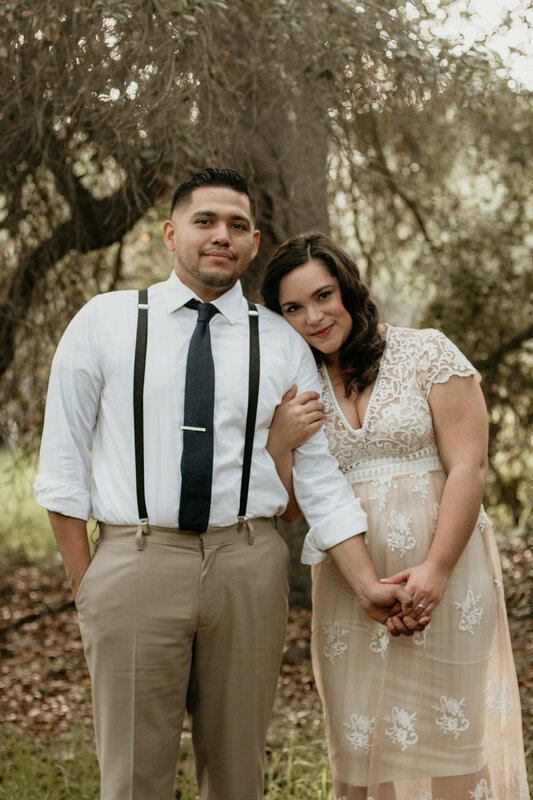 Thank you for choosing us to be your Southern California wedding photographers. 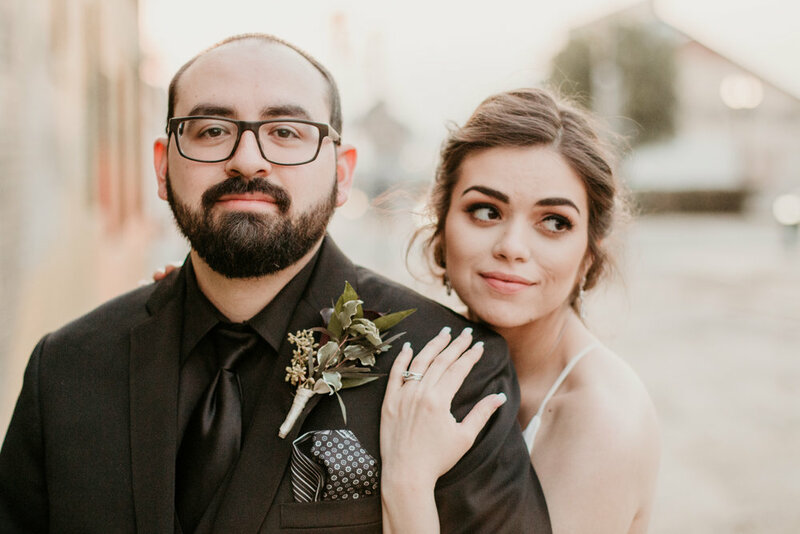 Weddings are so expensive nowadays. 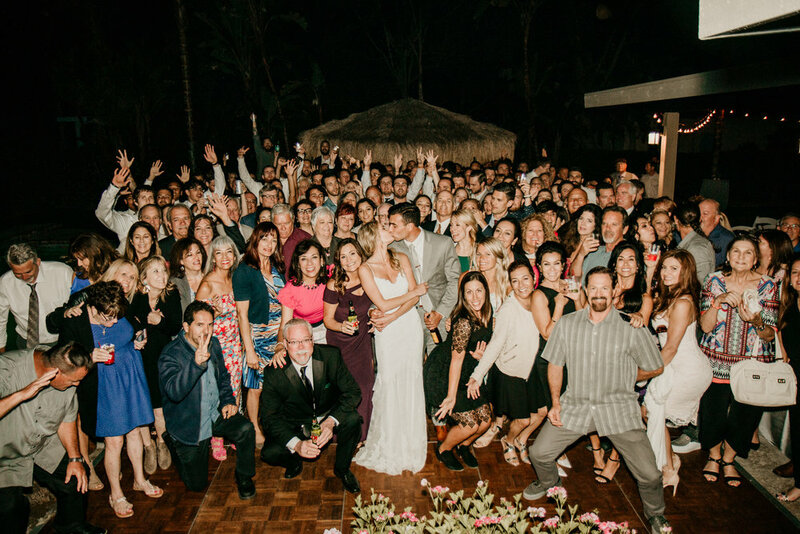 Why have a huge wedding? 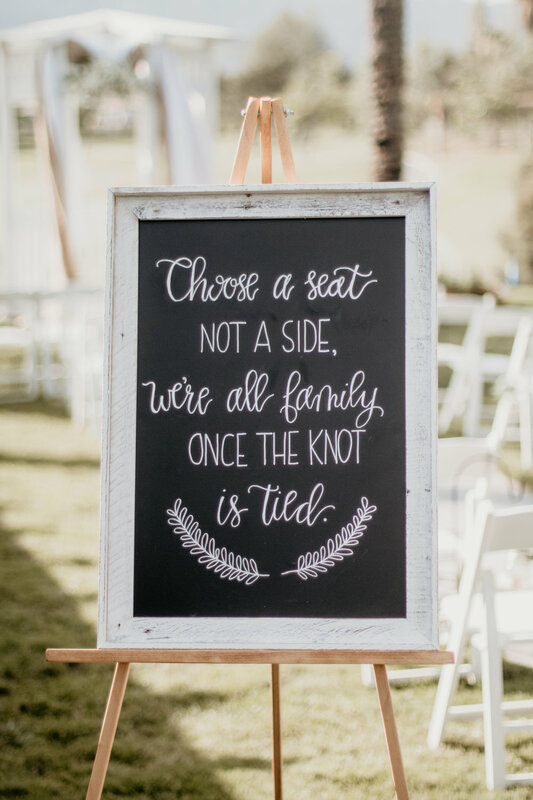 9 out of 10 times couples choose a large wedding because their family wants to celebrate with friends and family. 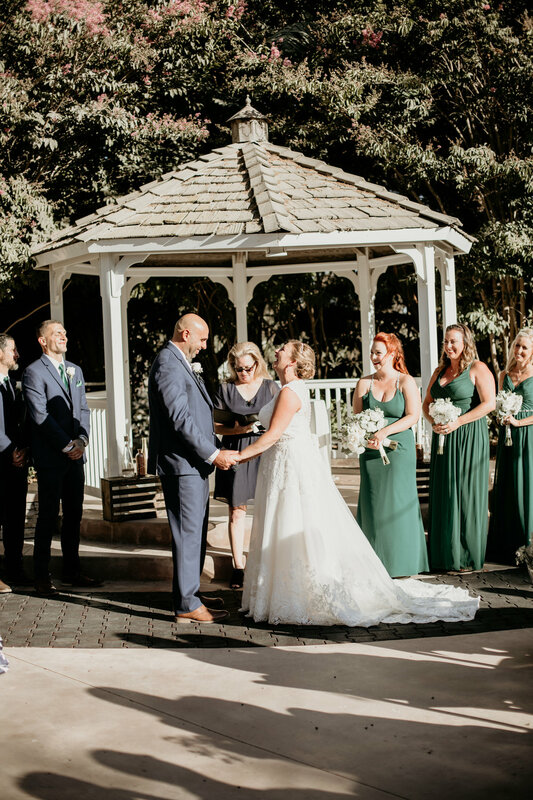 Obviously some brides and grooms choose to have a large wedding because it’s that special fairytale they always imagined. 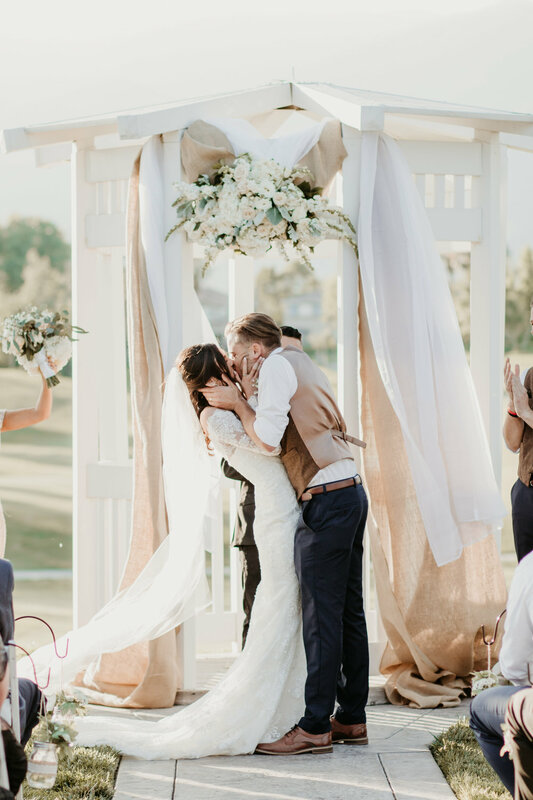 However what if you could have that fairytale wedding without all the cost? 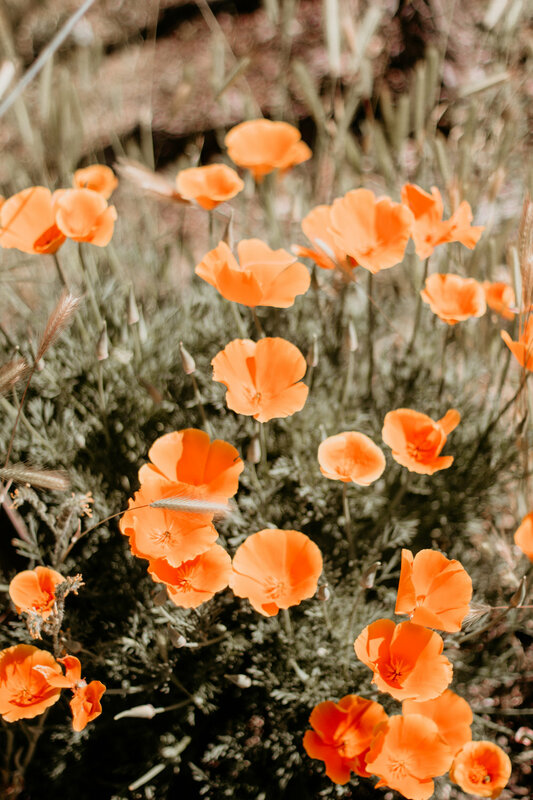 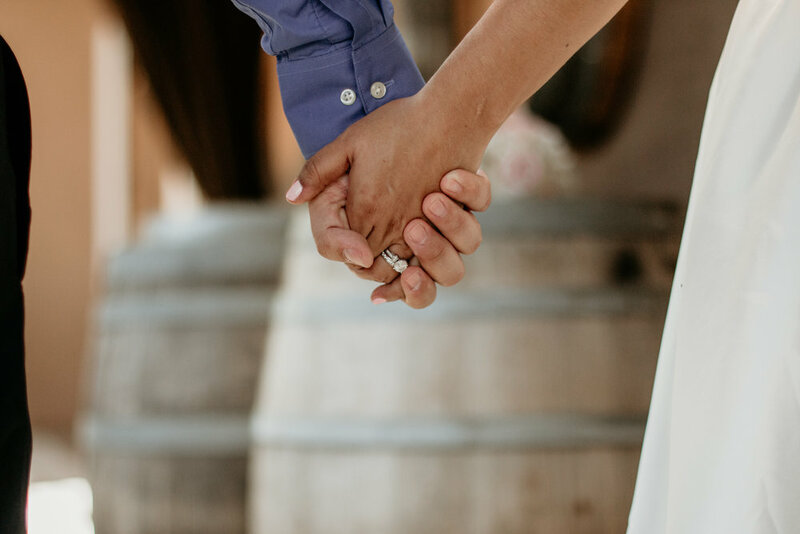 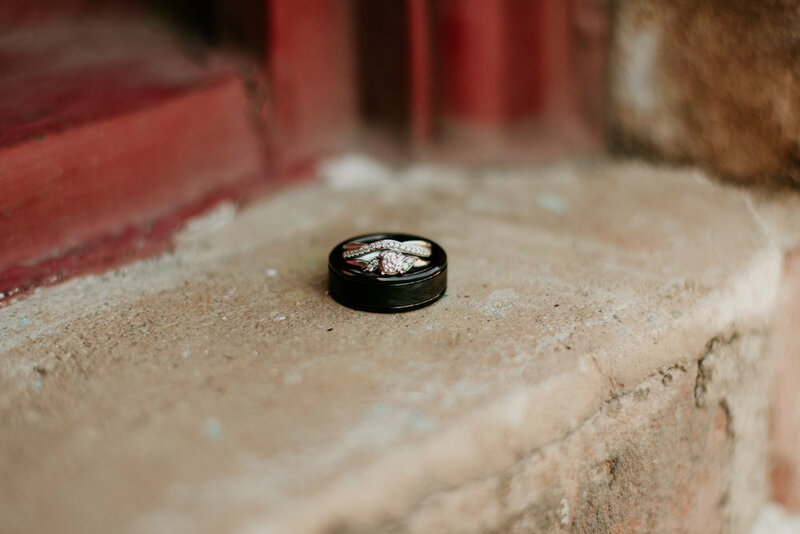 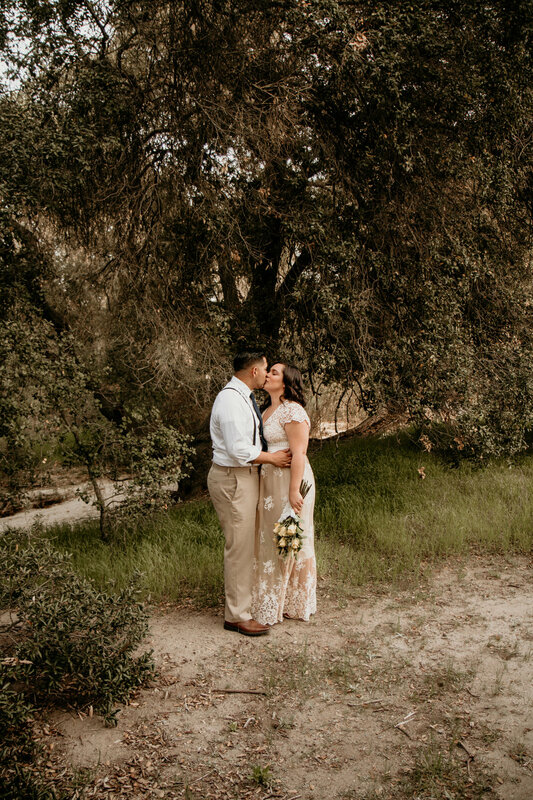 So many couples are choosing to save their money and celebrate their love in a smaller way with a wedding elopement. 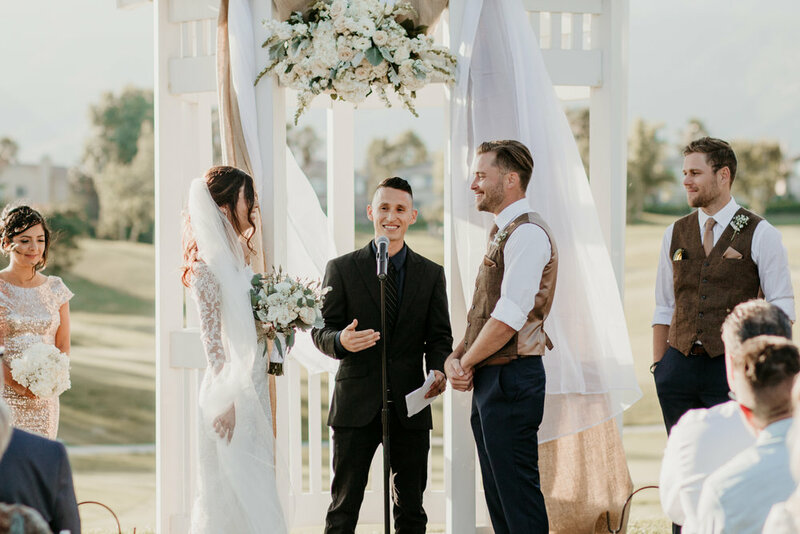 For so many years eloping was almost frowned upon...it was how you got married when you weren't supported by family or maybe a Romeo and Juliet situation was taking place. 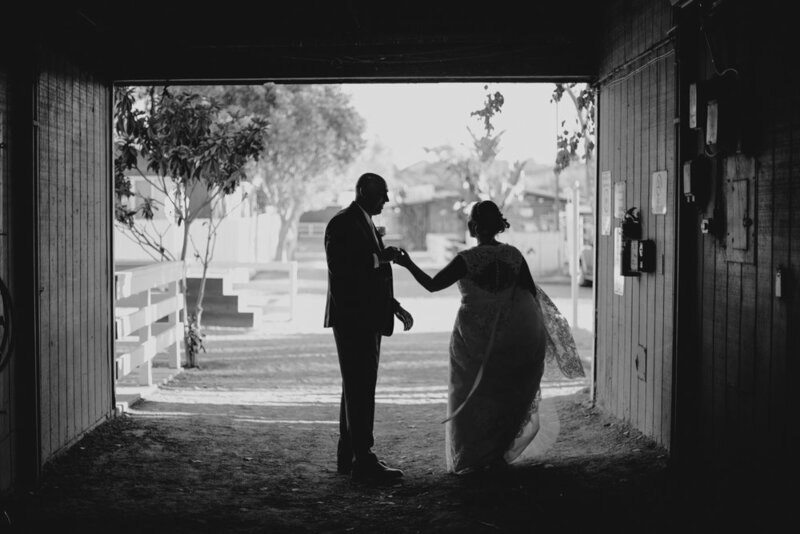 Times have changed and elopement weddings are now filled with excitement and adventure. 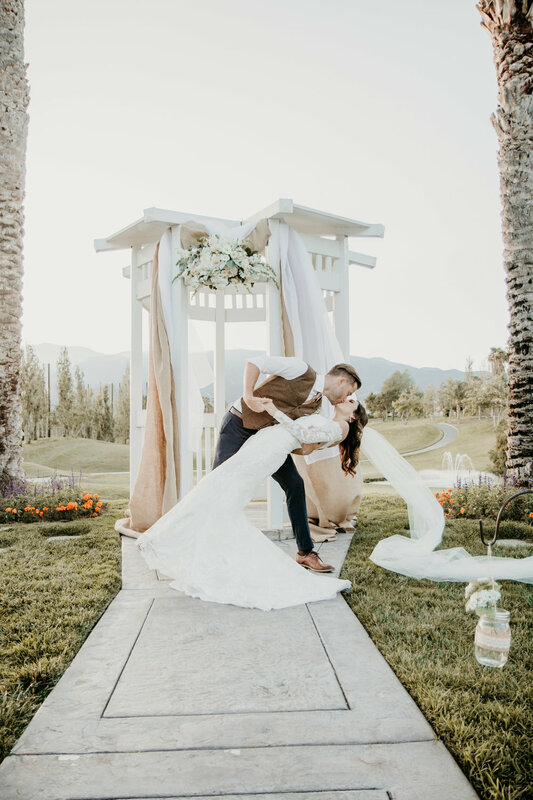 Brides and grooms are traveling all over the world, with a smaller budget getting married over a cliff or next to a waterfall. 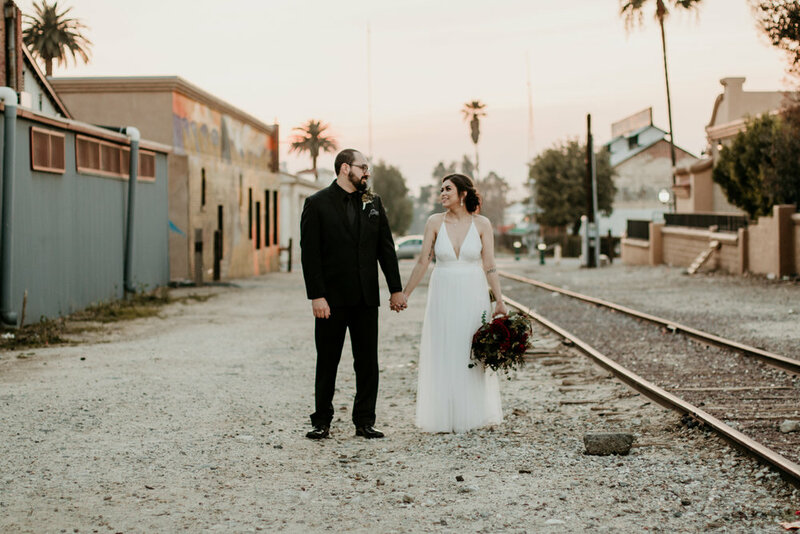 An elopement wedding allows the sky to be the limit as far as location. 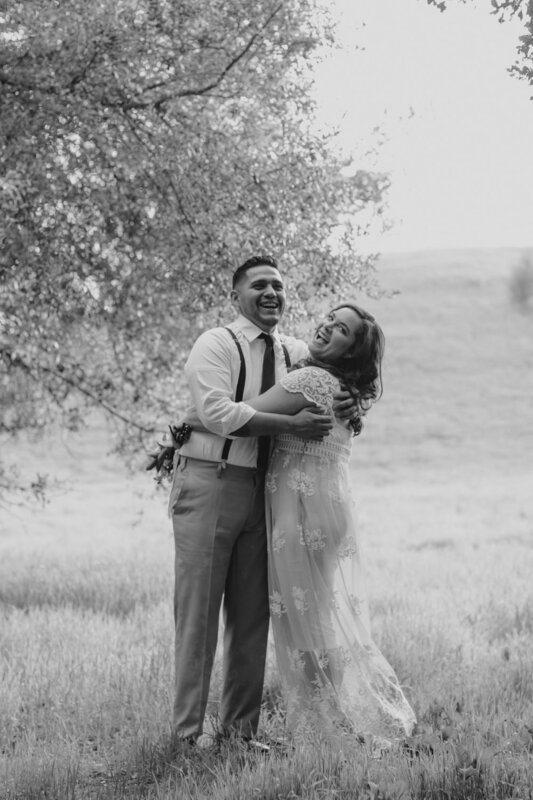 We are so excited to add to our packages an elopement wedding section. 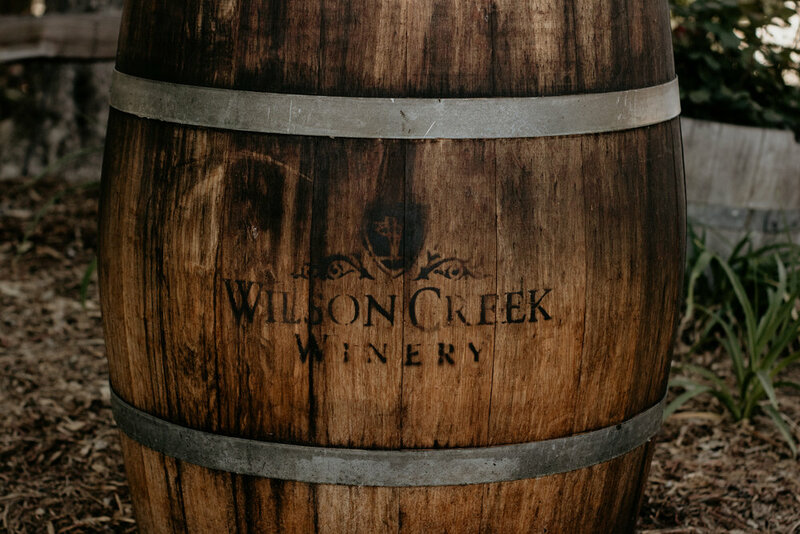 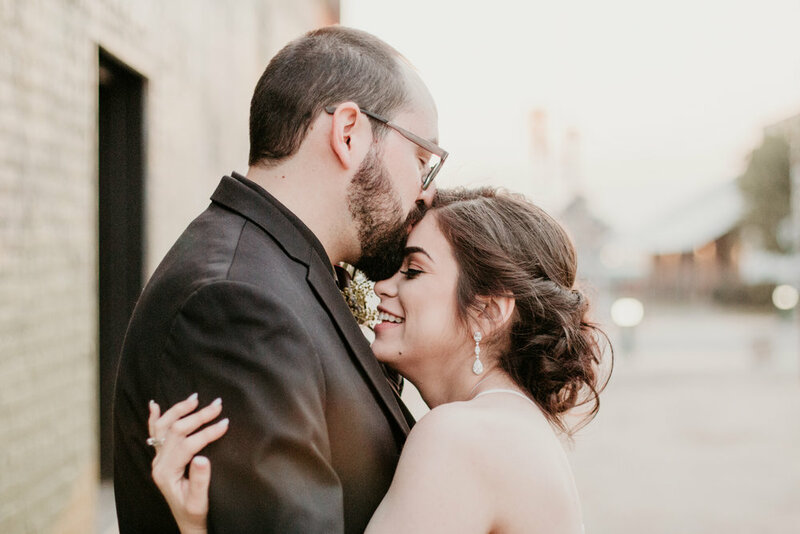 Our Elopement Wedding Package starts at just $1000, and this package includes two photographers. 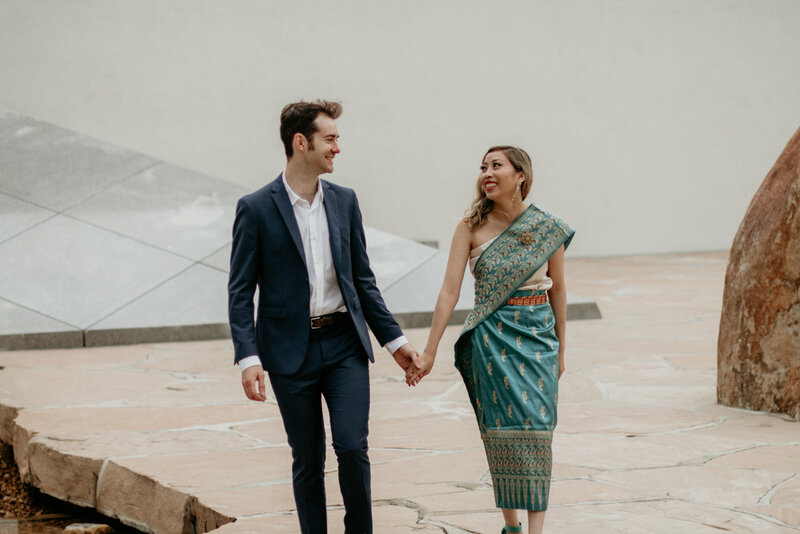 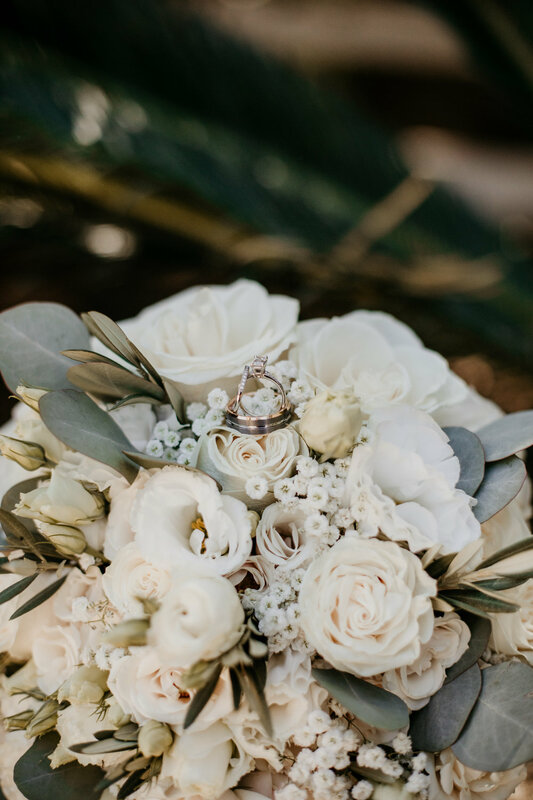 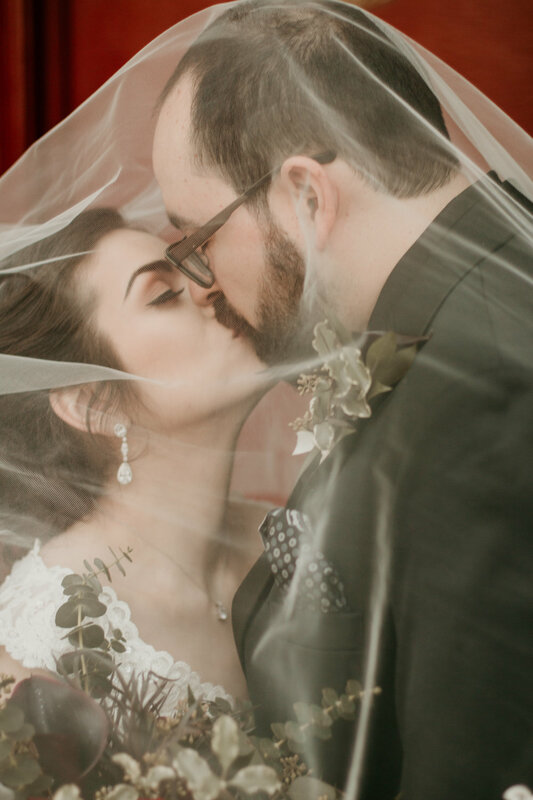 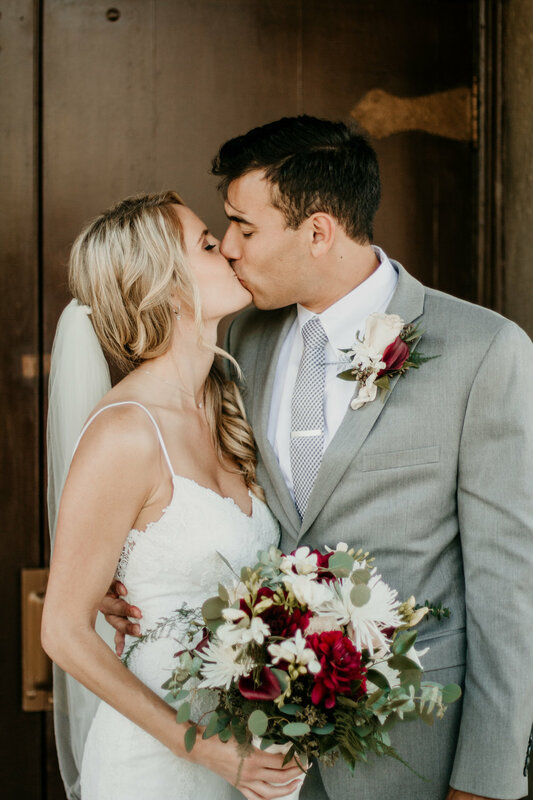 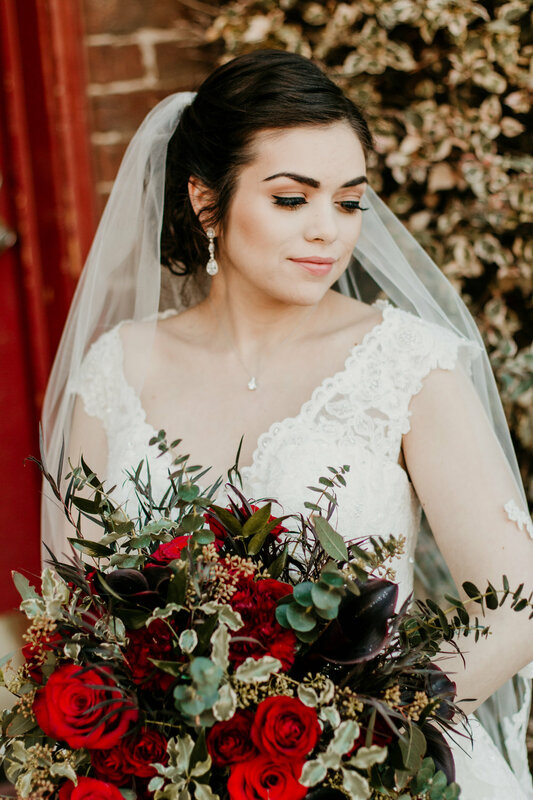 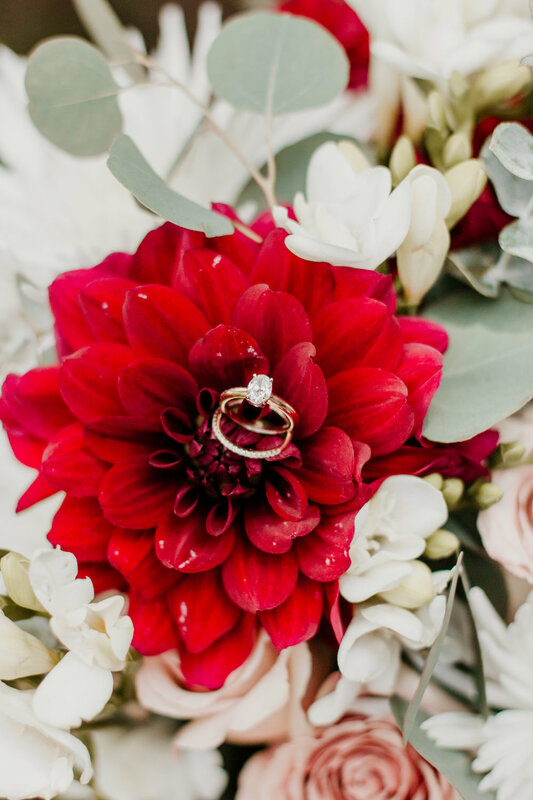 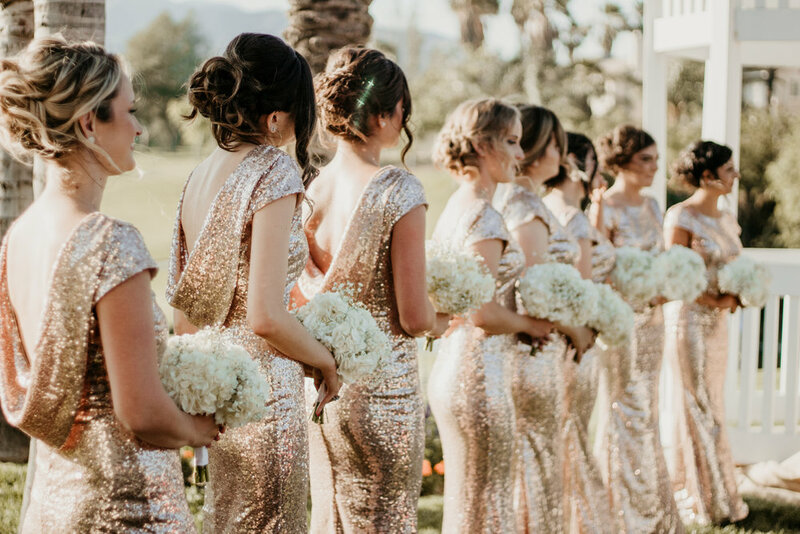 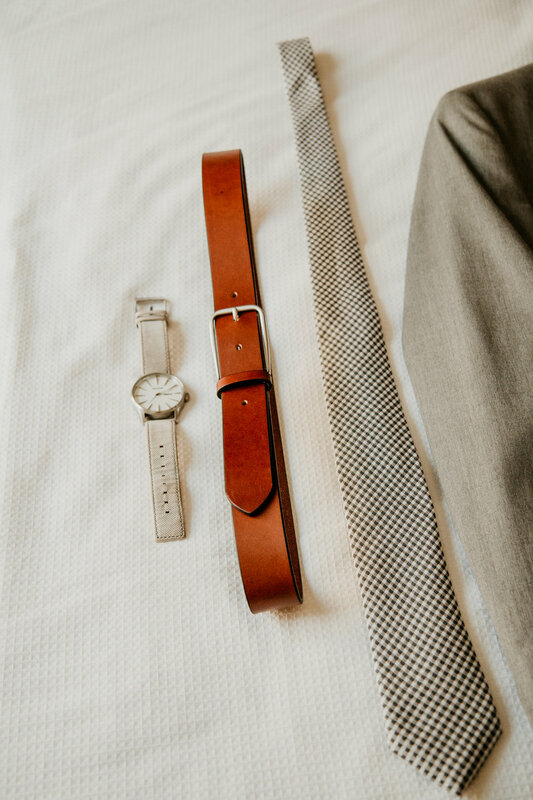 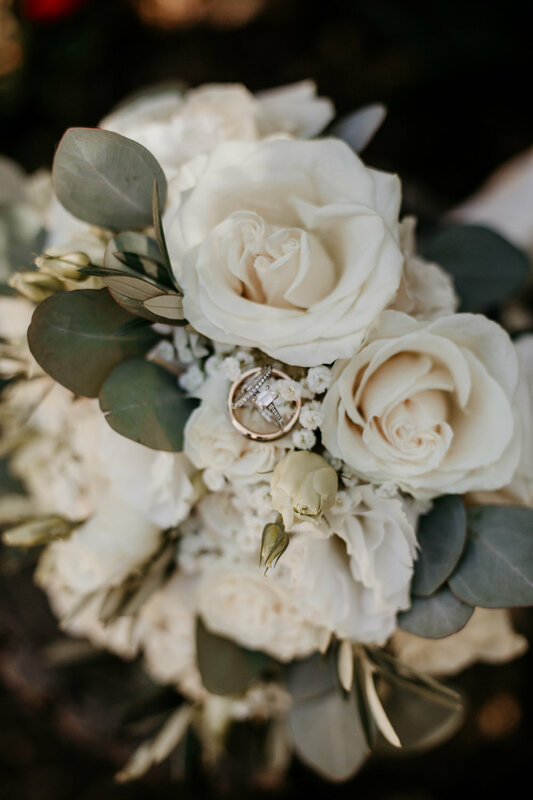 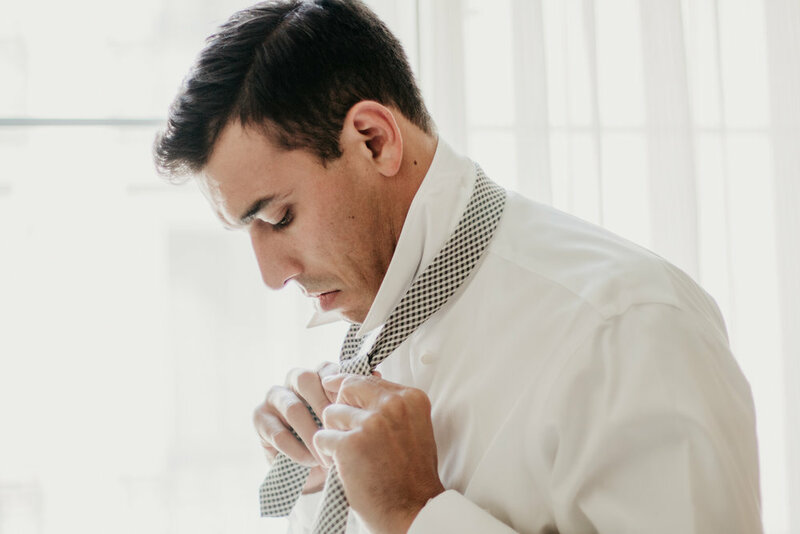 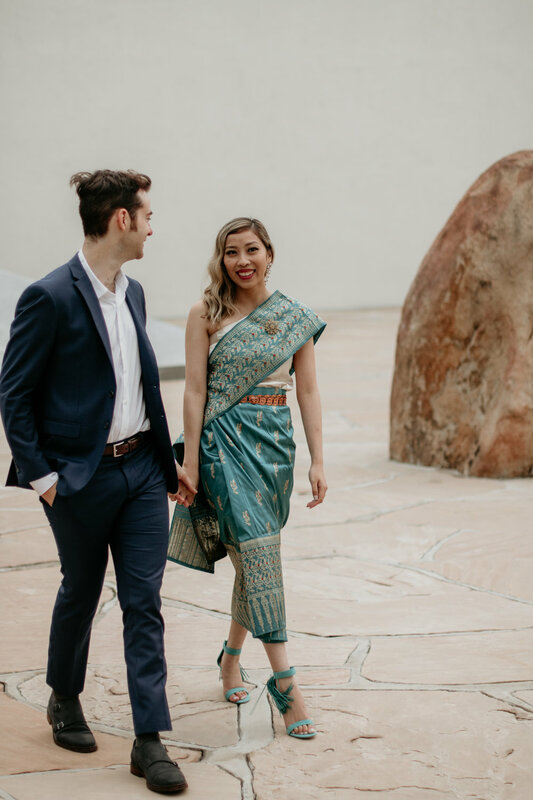 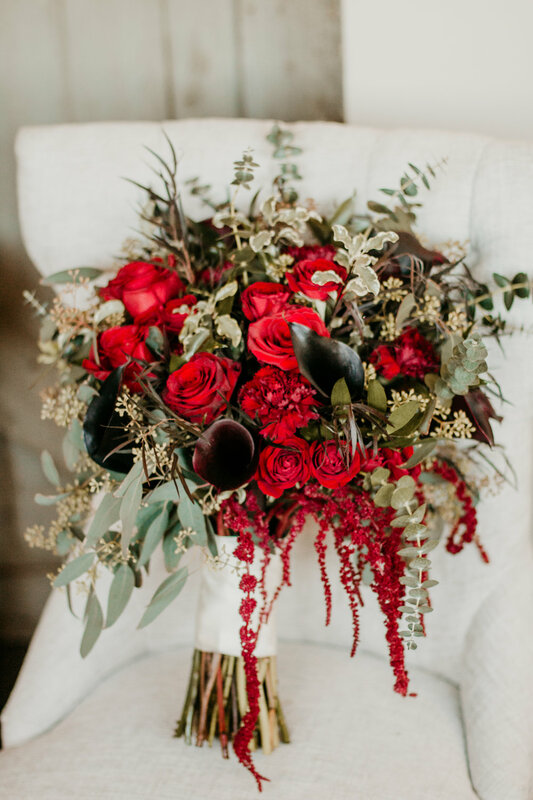 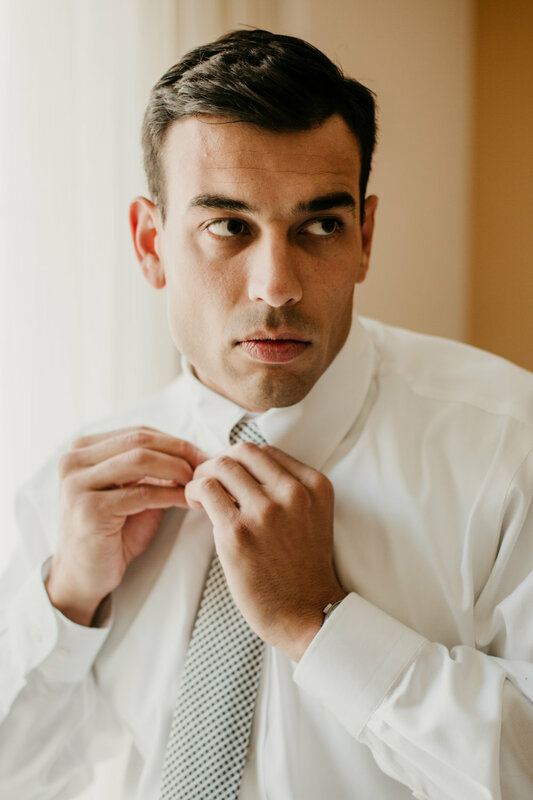 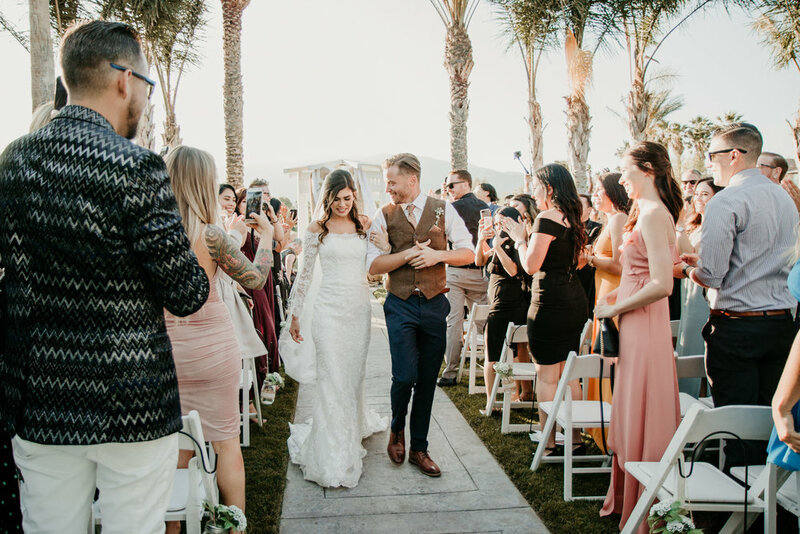 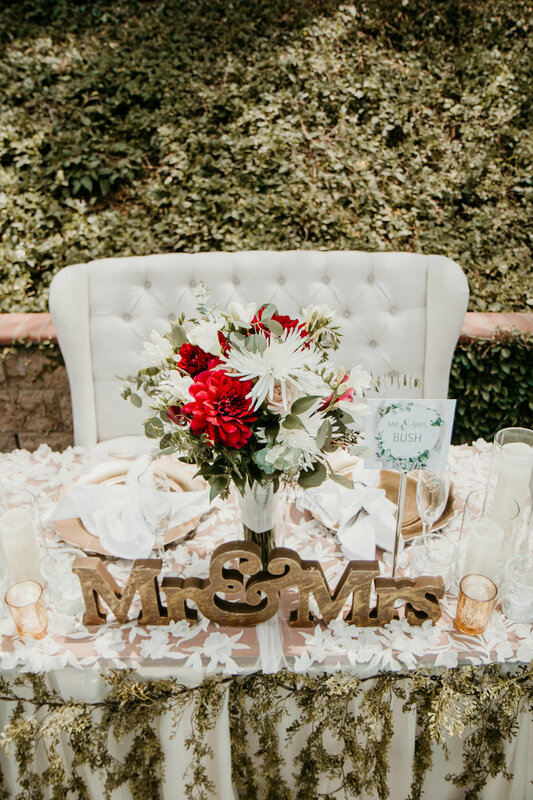 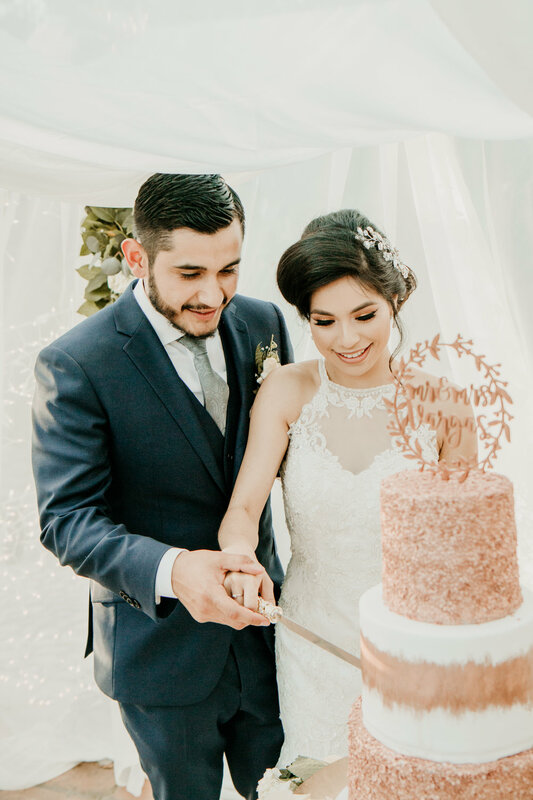 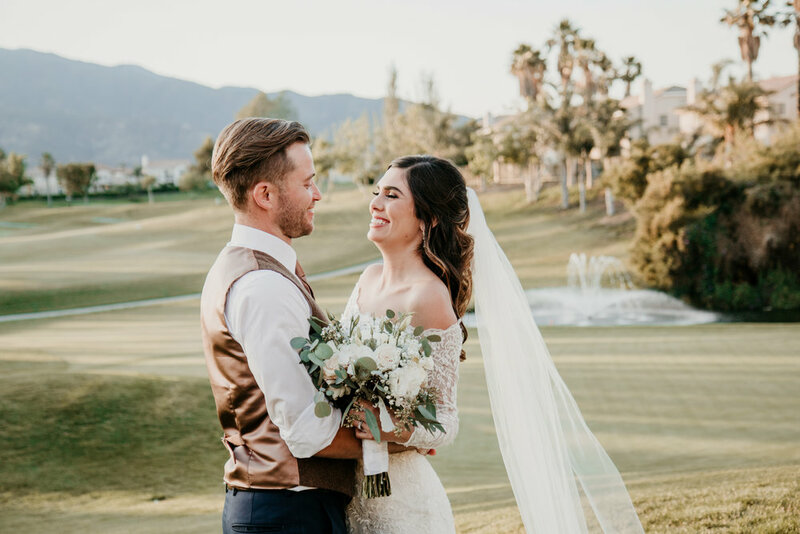 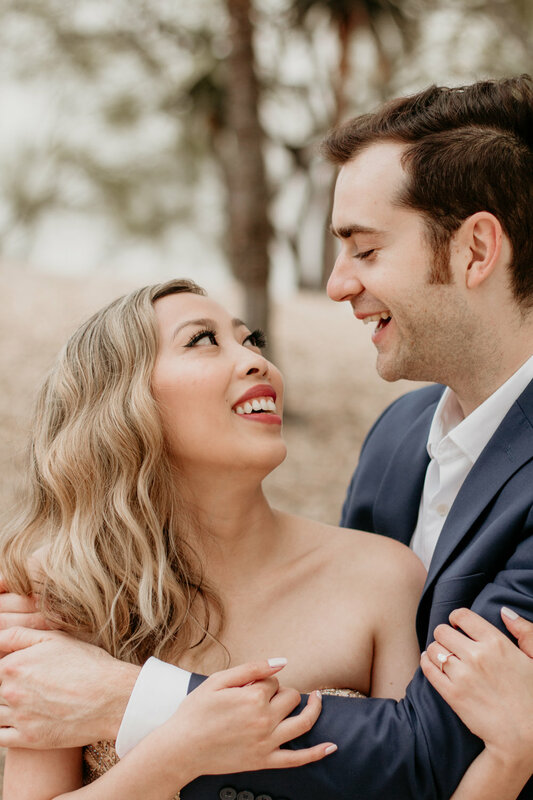 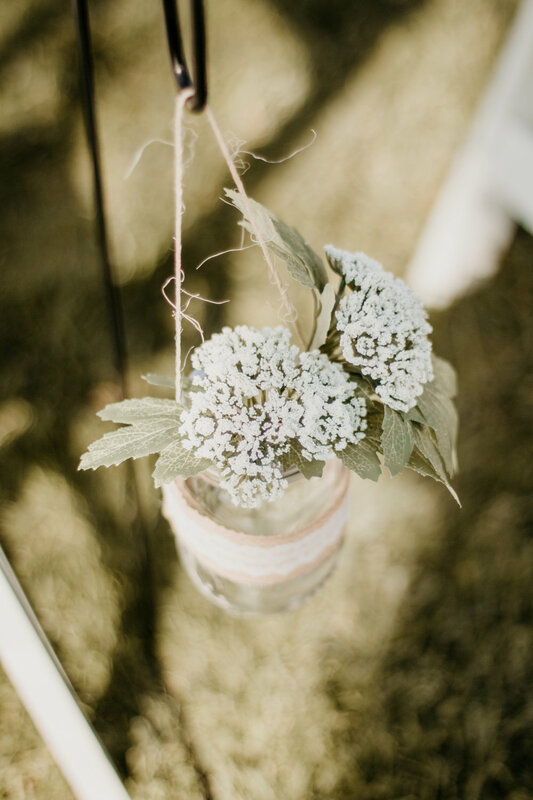 We are in love with this new wedding elopement trend and can’t wait to work with our future brides and grooms. 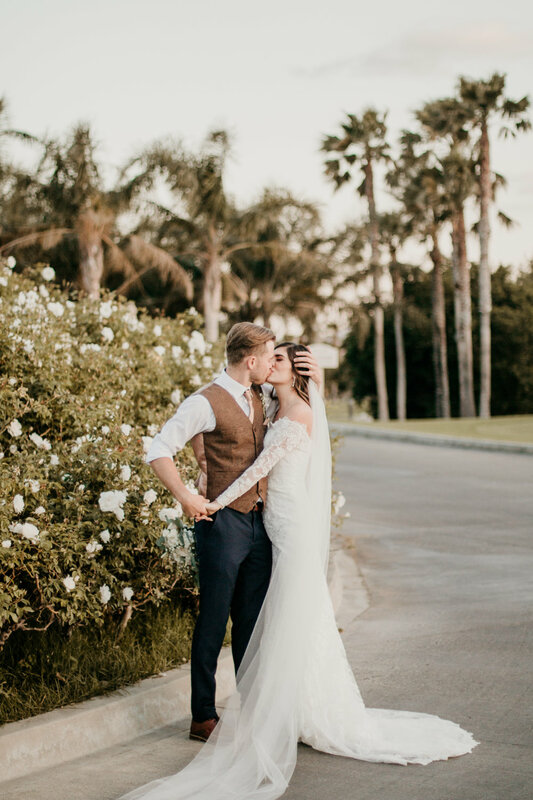 We are available for any location whether it be in California or Ireland....we are traveling photographers excited to be able to photograph your dream wedding. 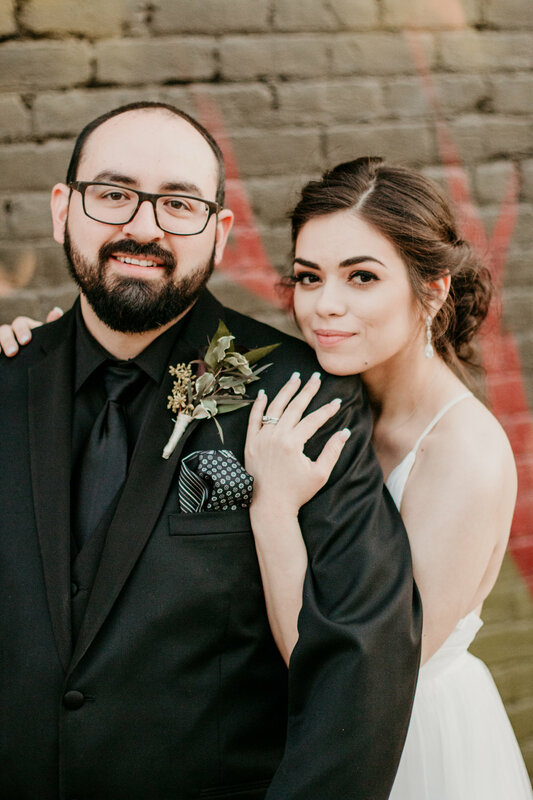 Congratulations to this beautiful couple. 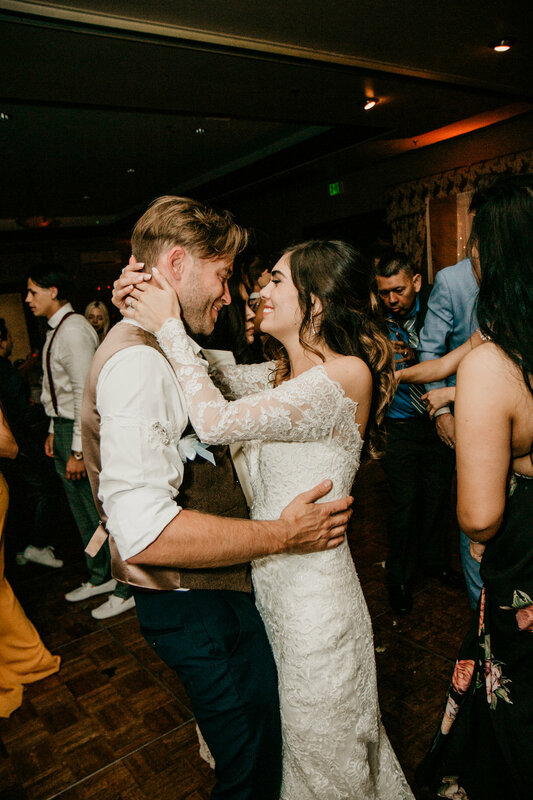 We know you will find all the love and happiness in the world. 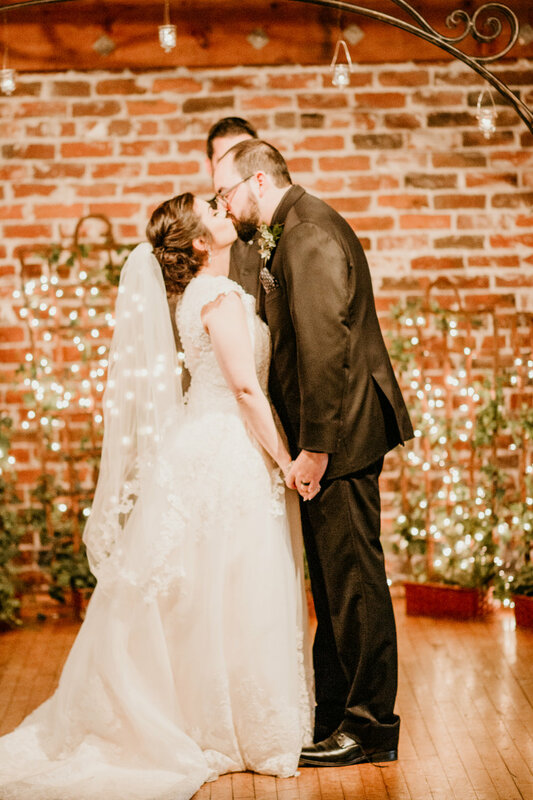 Never having had the opportunity to photograph at The Mitten Building, Nichole and I were so eager and excited to work at this fabulous wedding venue. 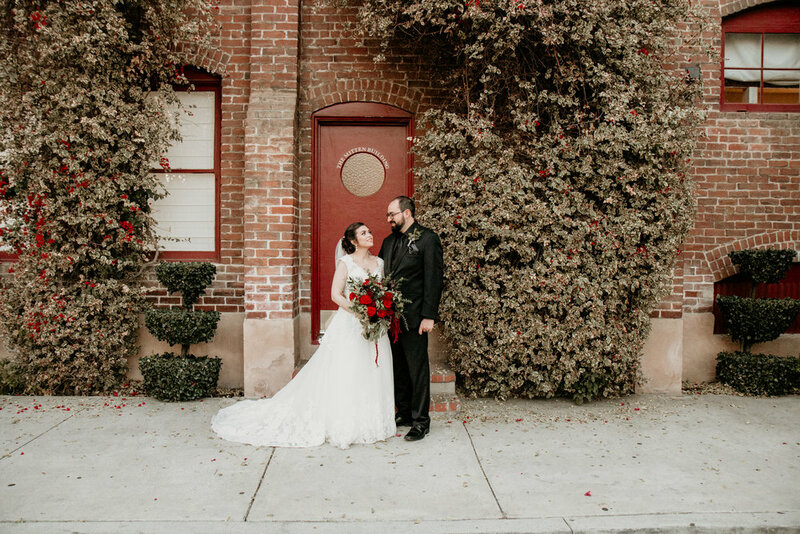 Our first impression upon arriving at The Mitten Building, we were immersed by a strong red brick building. 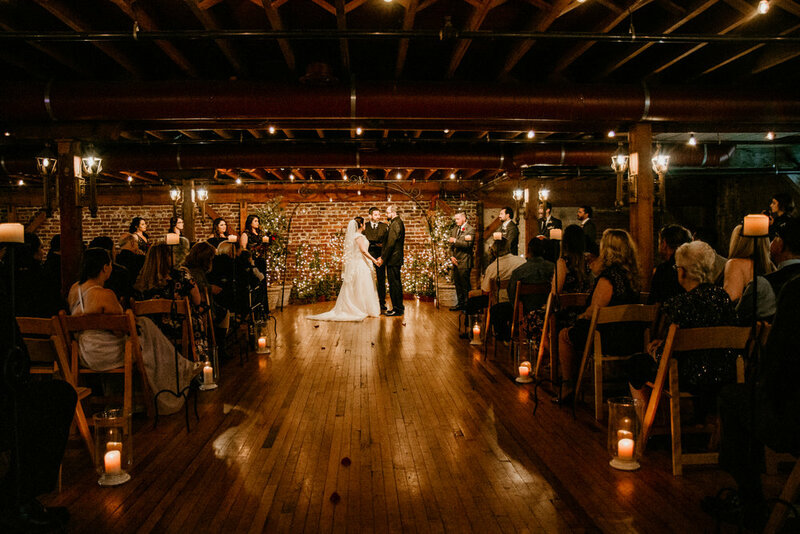 This romantic building exceeded our expectations. 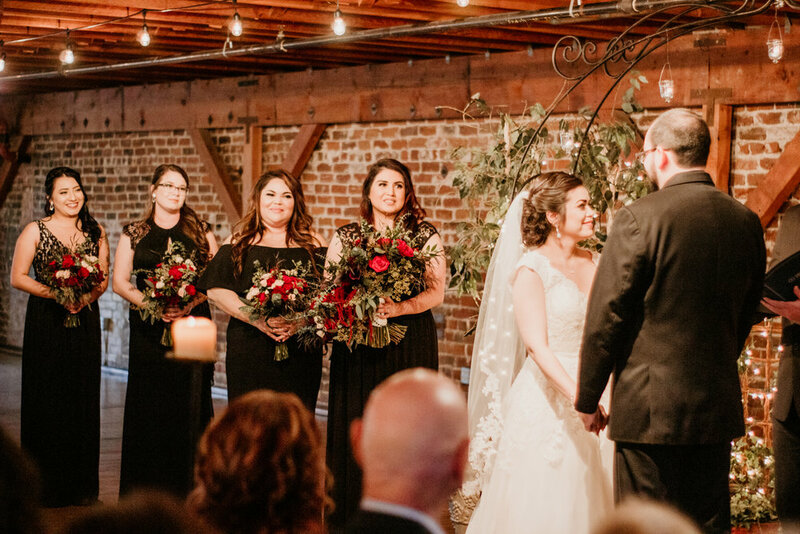 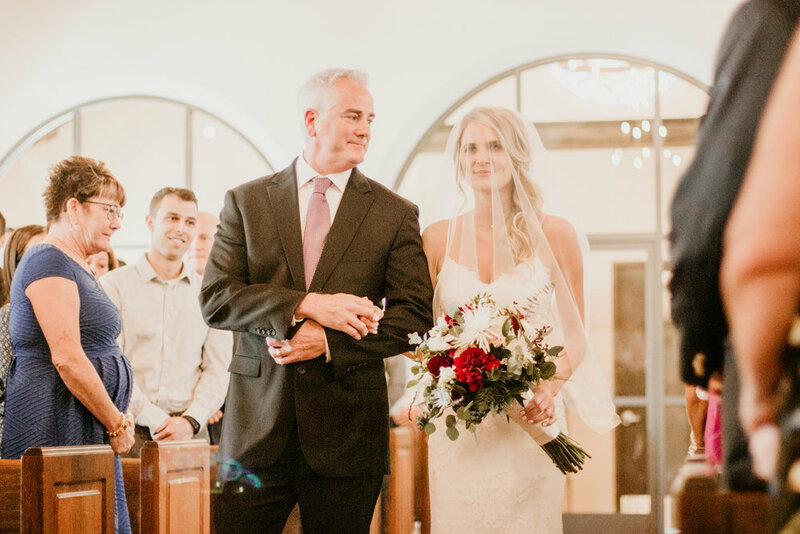 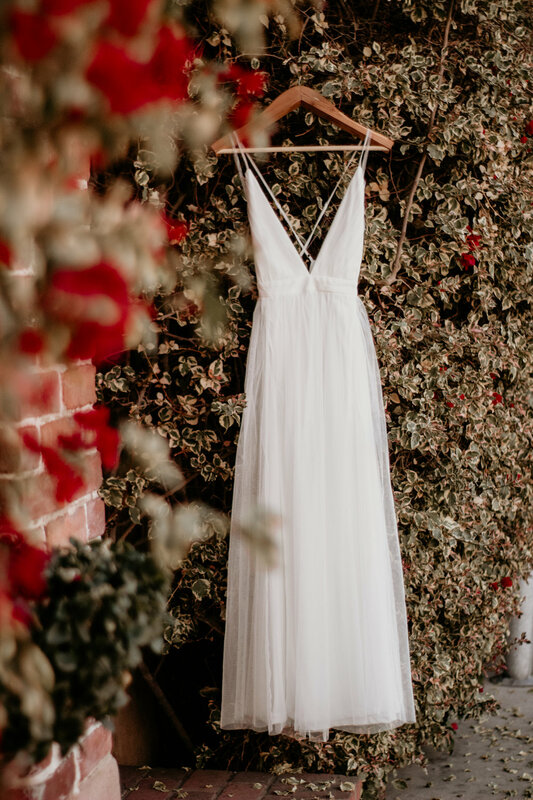 The upstairs wedding venue is a sight to behold, with elegant wooden floors, deep cardinal brick walls all being gently lit making this ceremony fill with ardent. 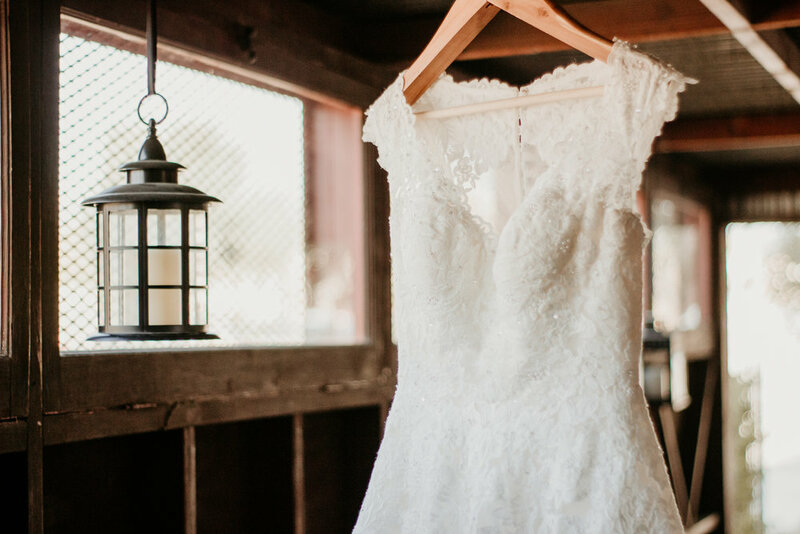 After enjoying the vast wedding venue it was time to meet our blushing bride. 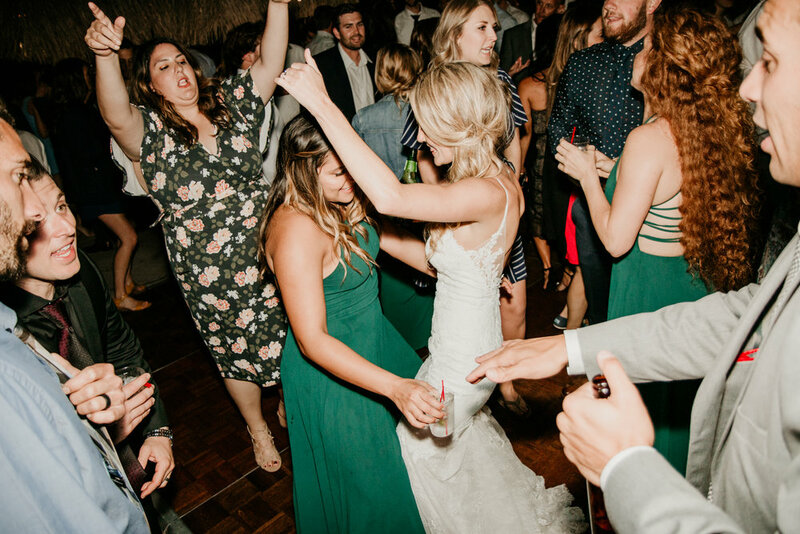 She of course was glowing and filled with excitement of the day. 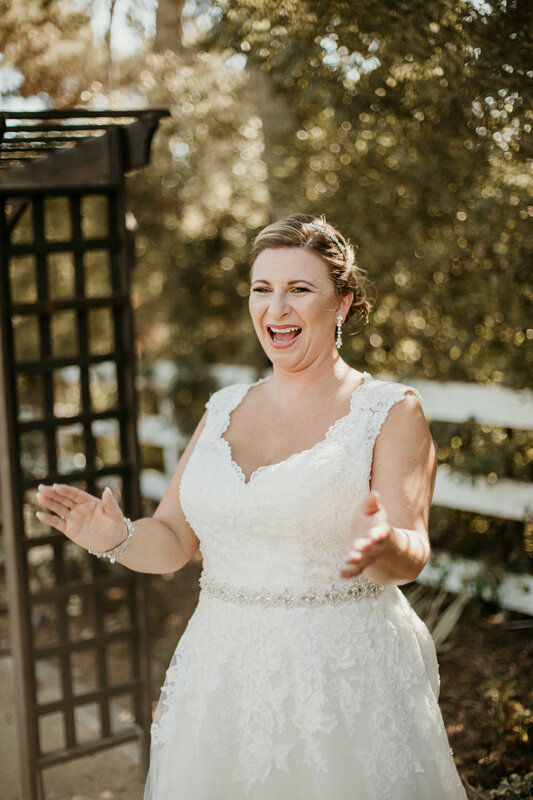 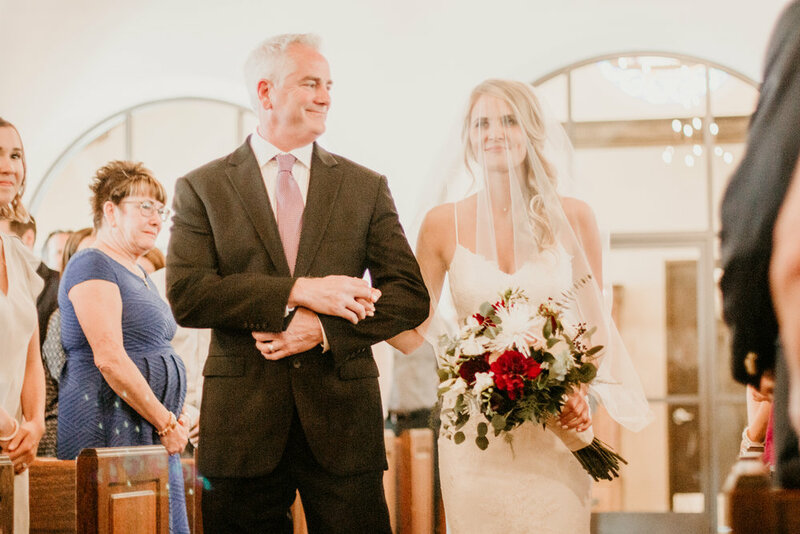 Many of our brides are often nervous about the ceremony, but Julie never once appeared to be nervous. 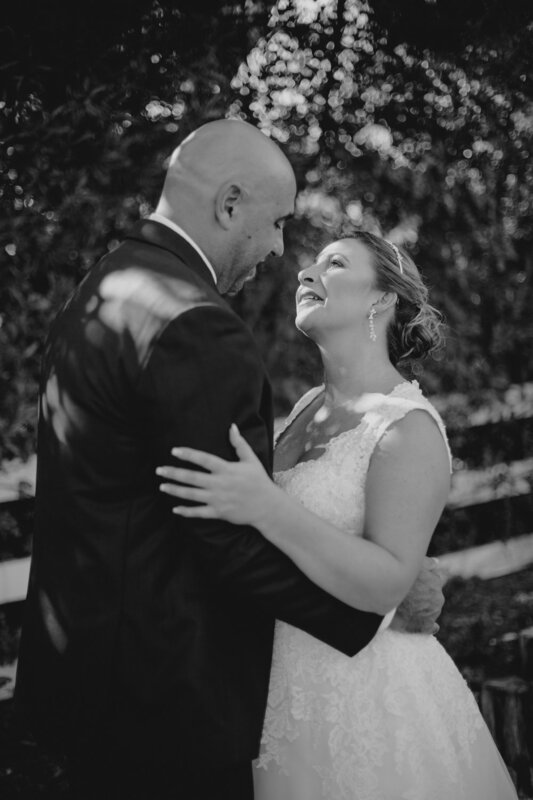 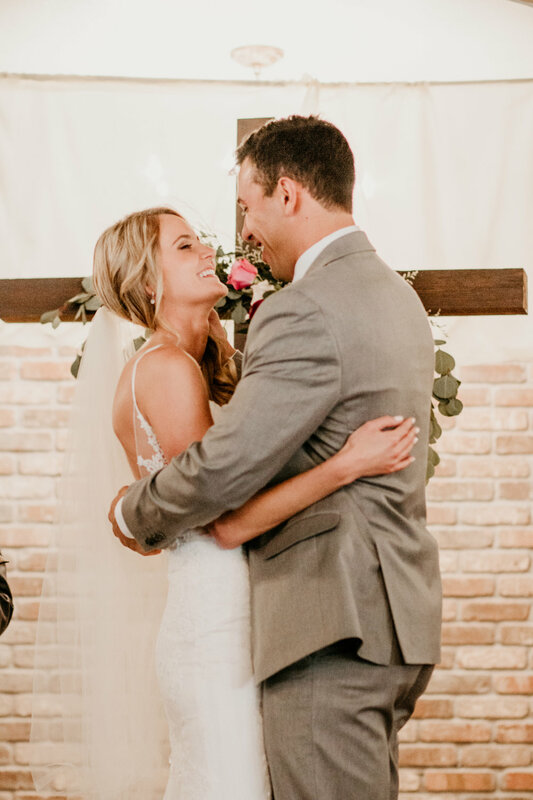 She seemed truly confident in the love that her and Josh share and couldn't wait for the moment to say "I do" to Josh. 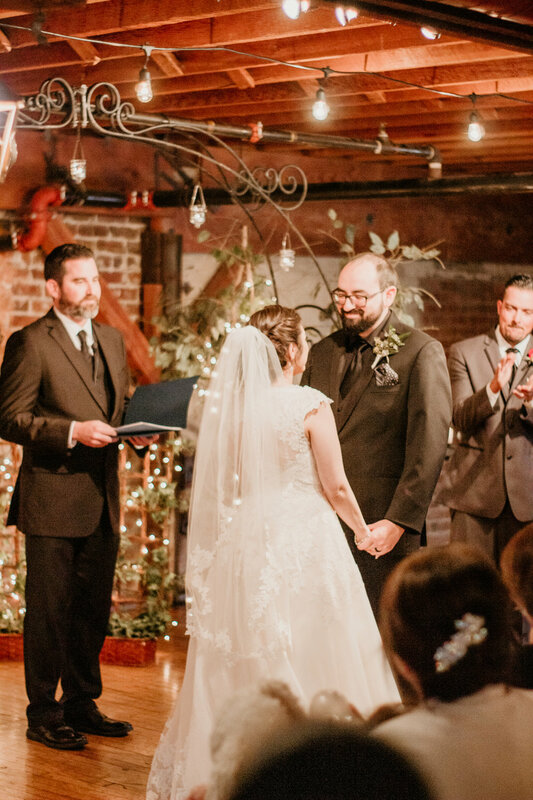 The ceremony was brisk and suitable to their love. 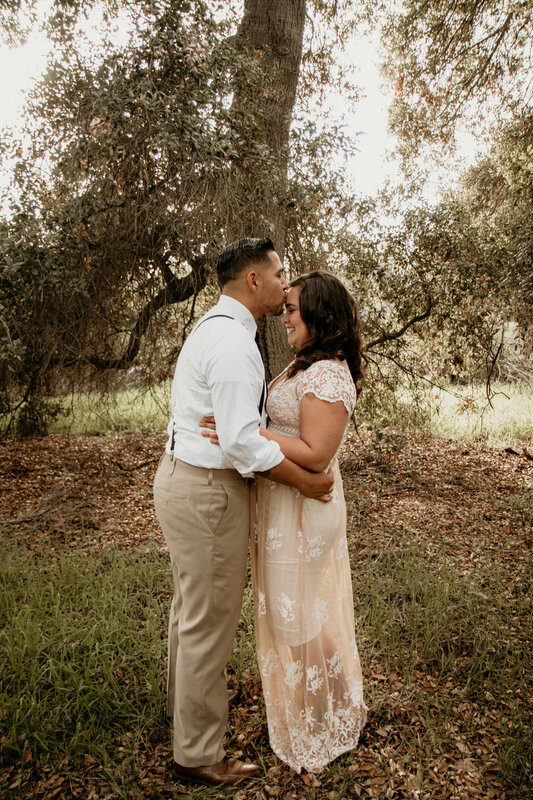 Our favorite part was the romantics we got to capture of the smitten couple. 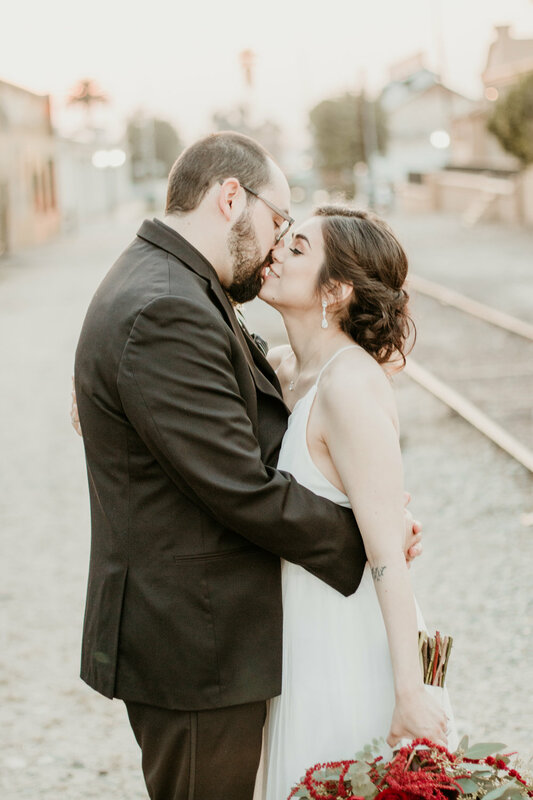 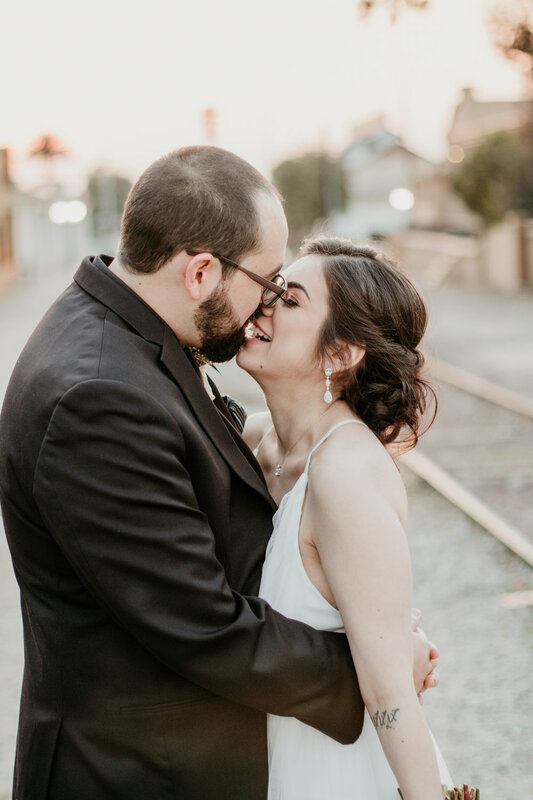 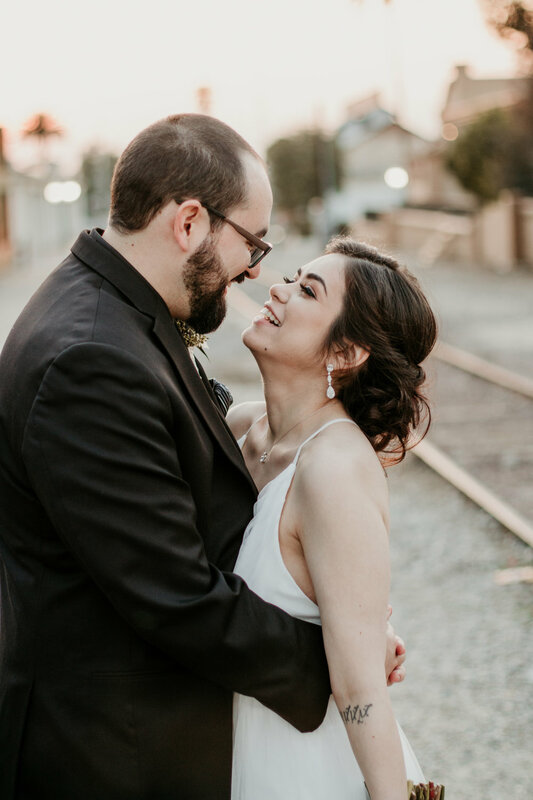 We had so much fun bringing this bride and groom onto the train tracks and capturing all their giggles and kisses. 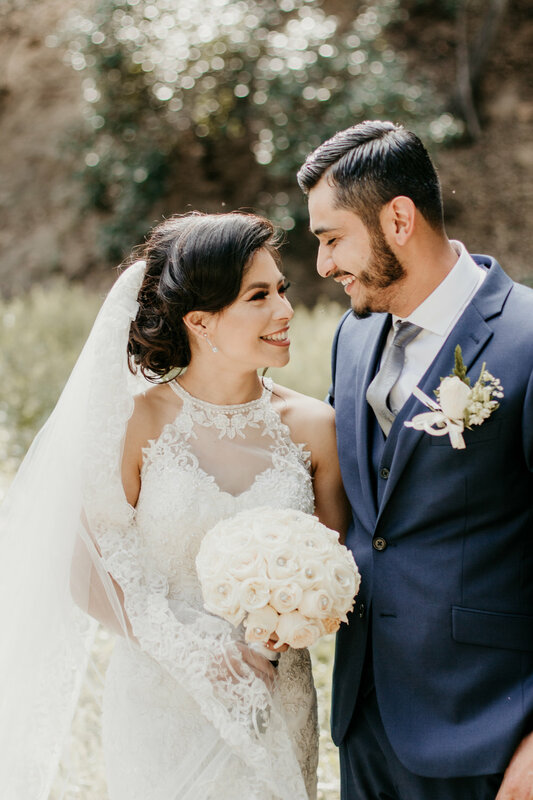 Being a wedding photographer our soul purpose is to allow our couples to relive their wedding day through pictures. 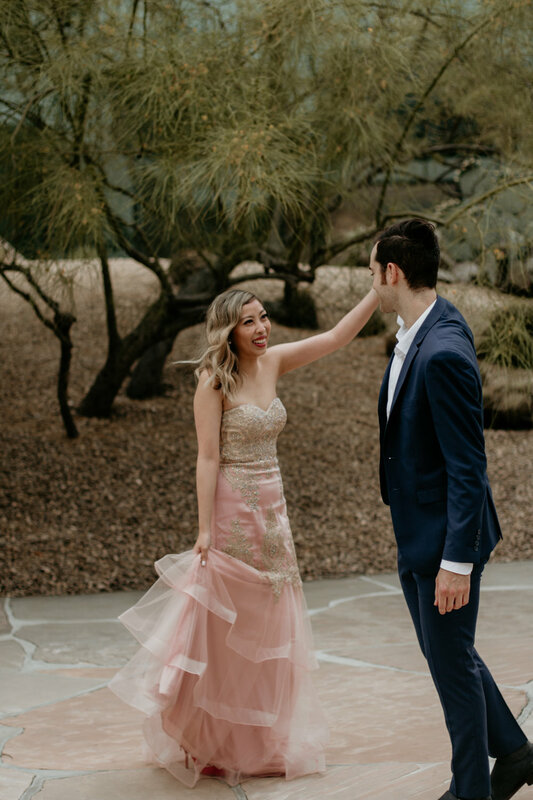 Well, we also like to add in some added bonus romantic shots of just the two of them expressing their true honest love. 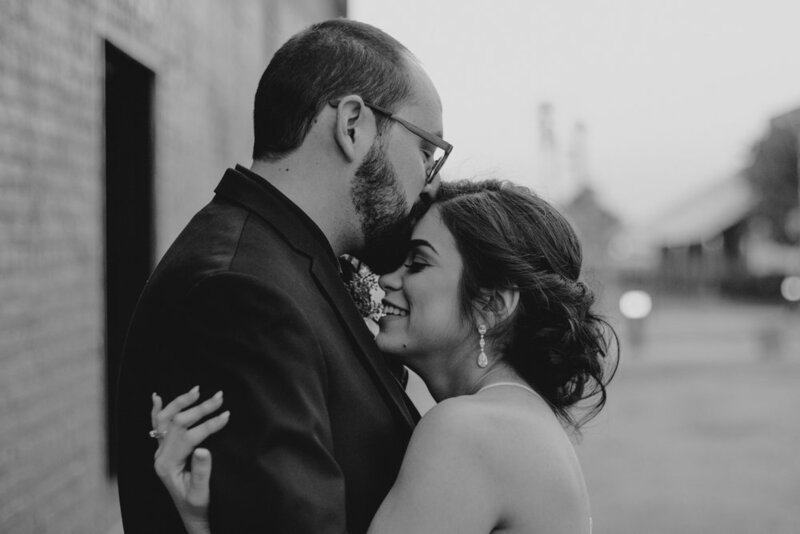 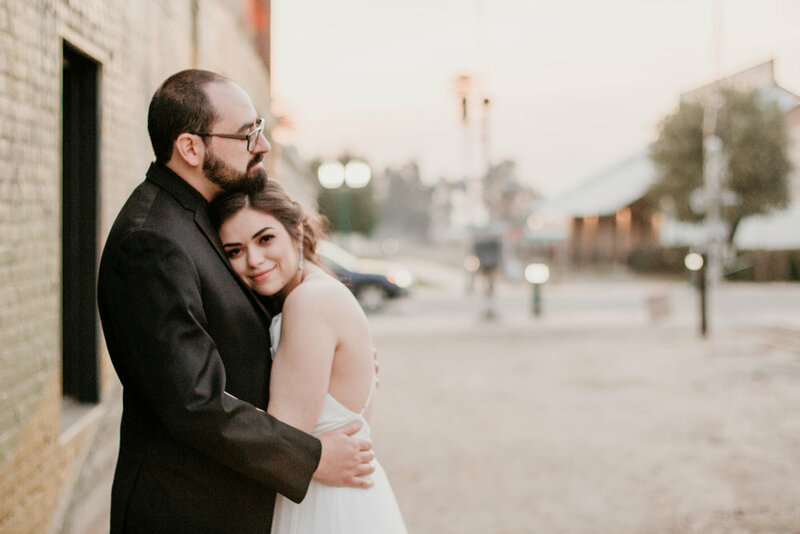 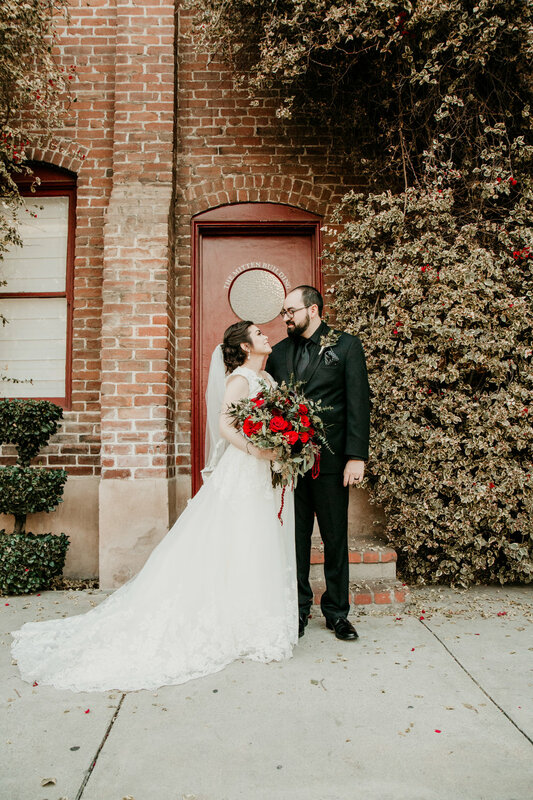 This couple made that easy and we love the way their wedding photographs came out. 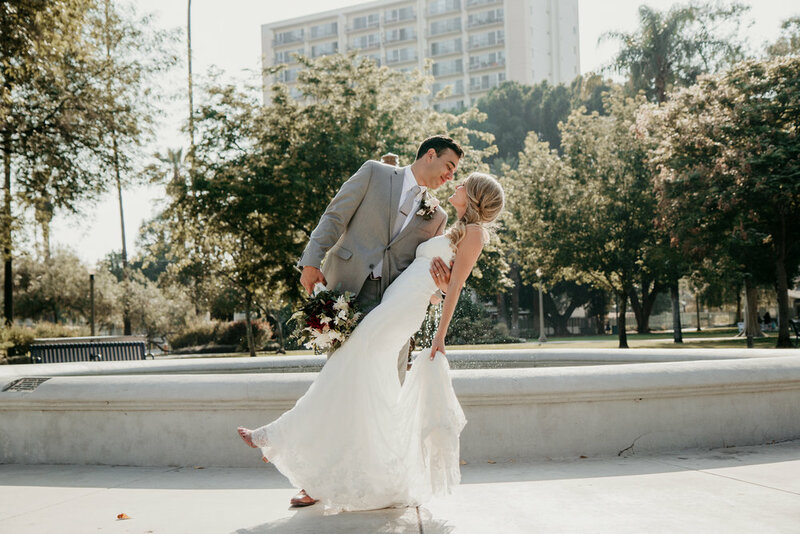 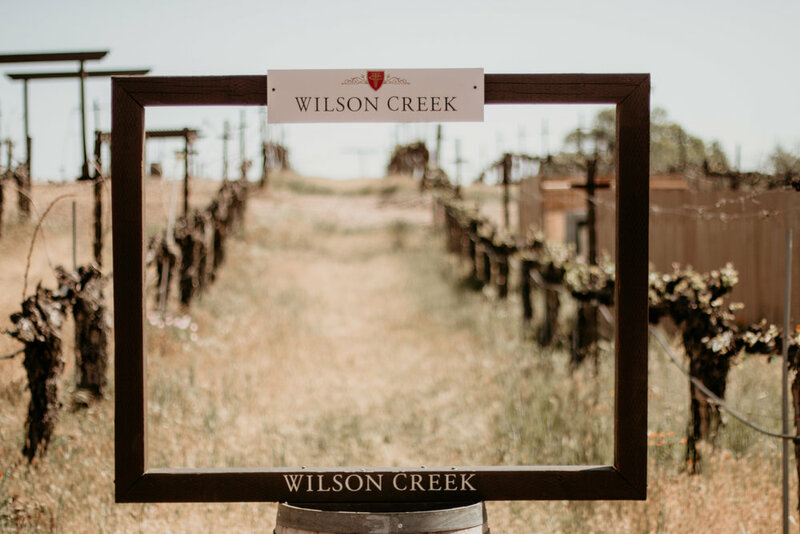 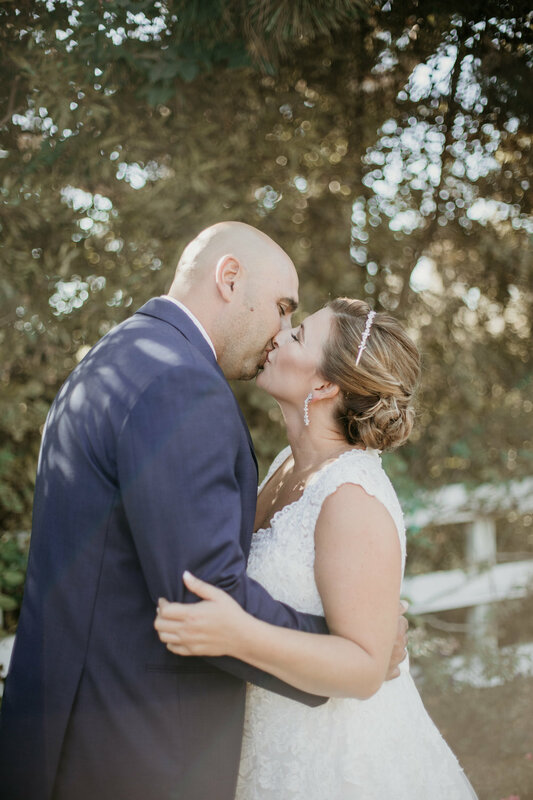 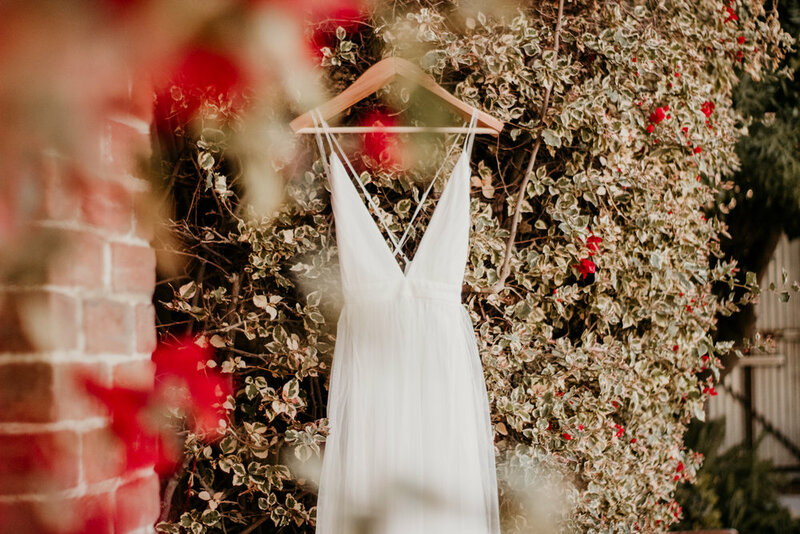 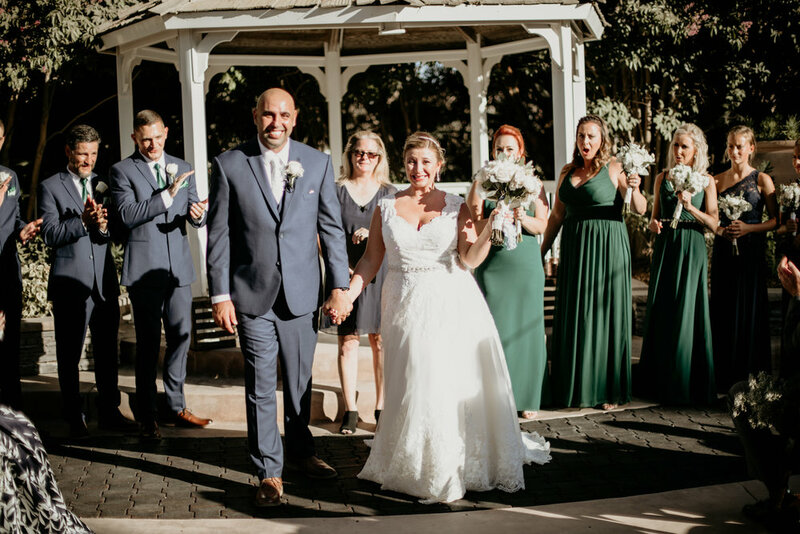 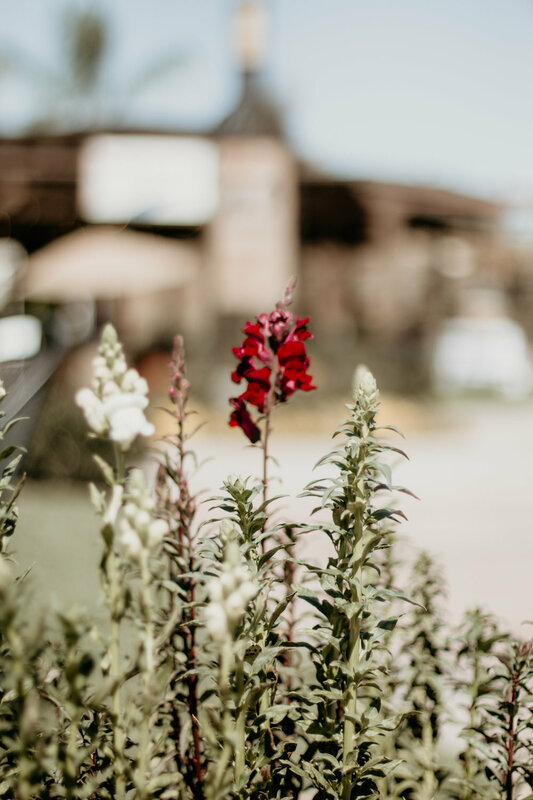 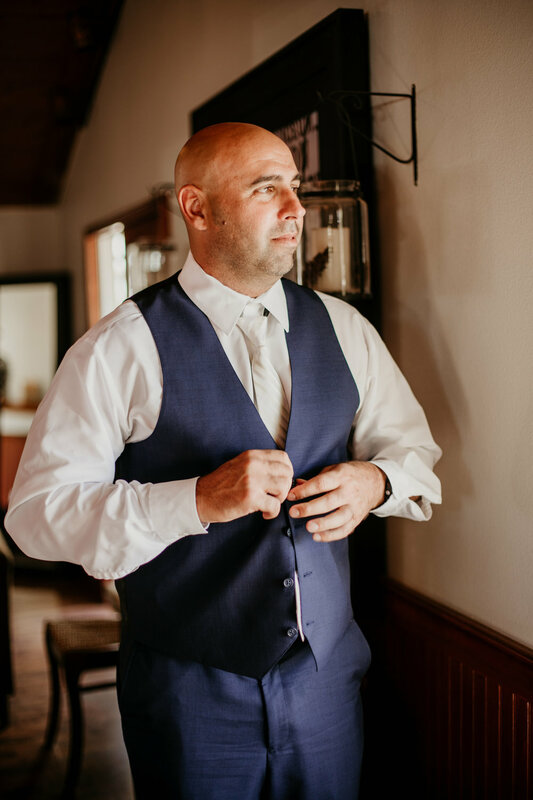 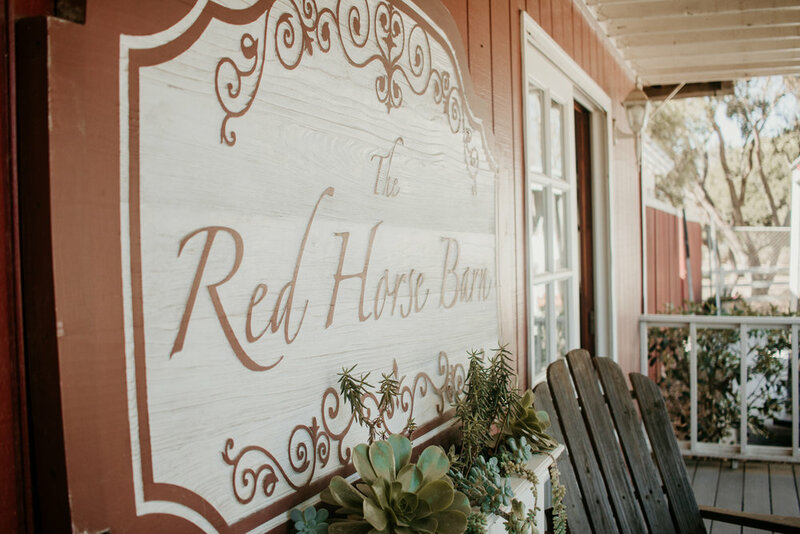 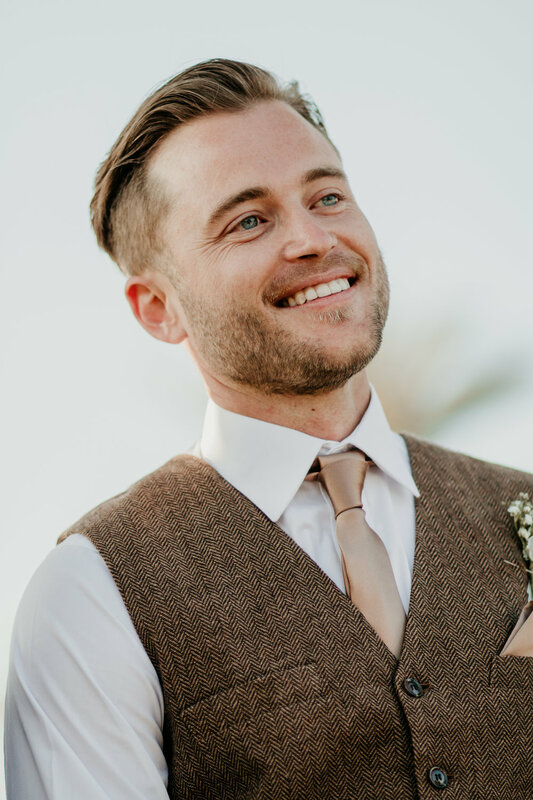 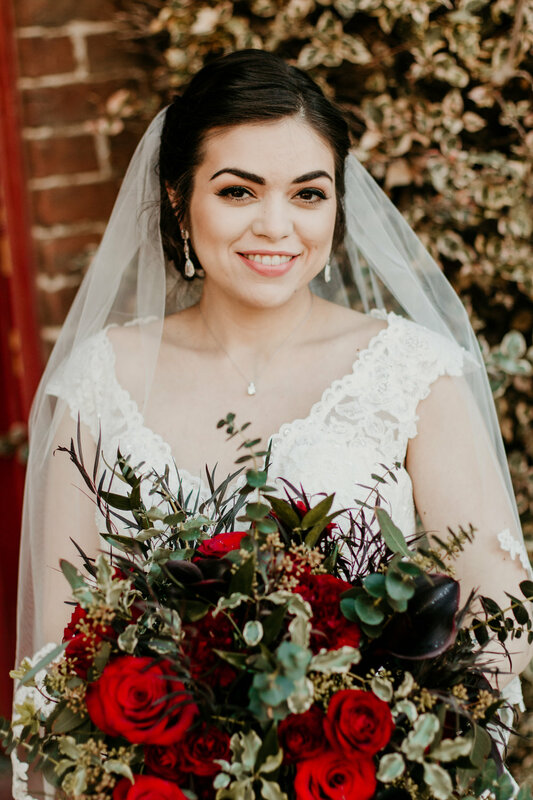 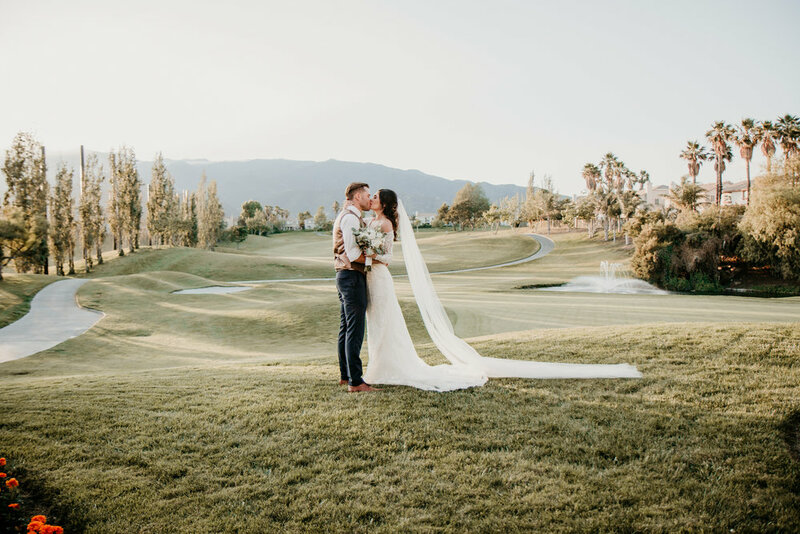 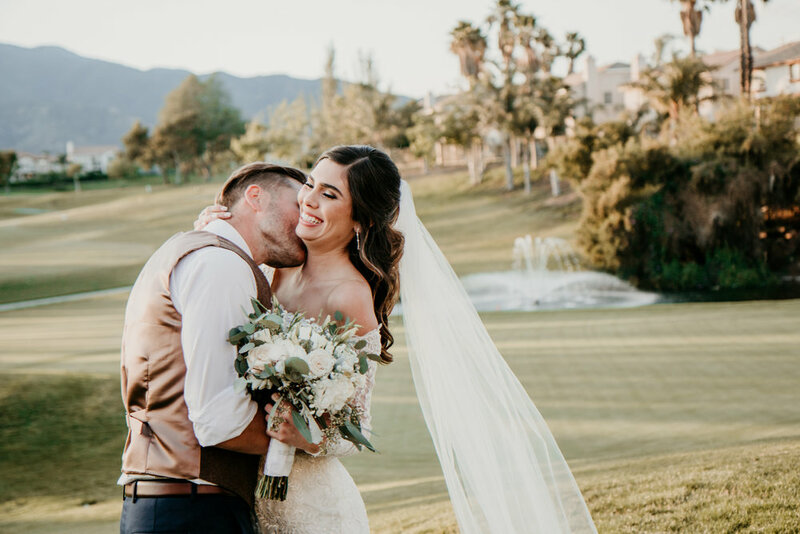 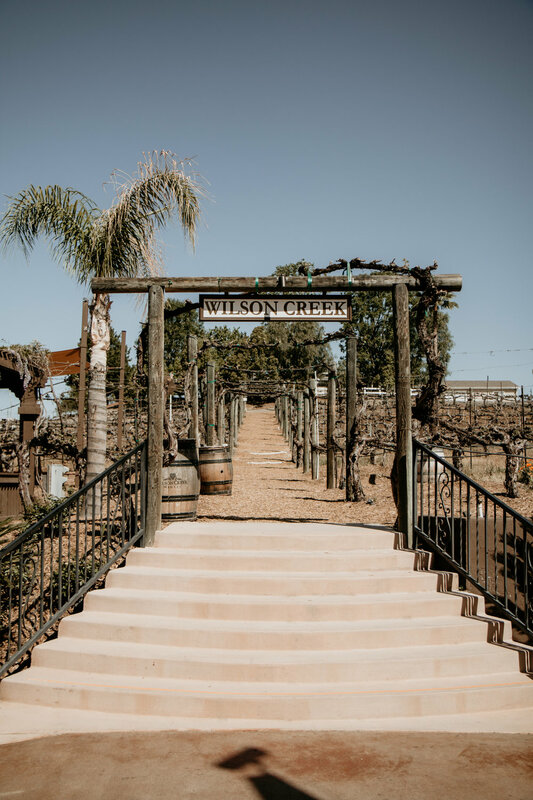 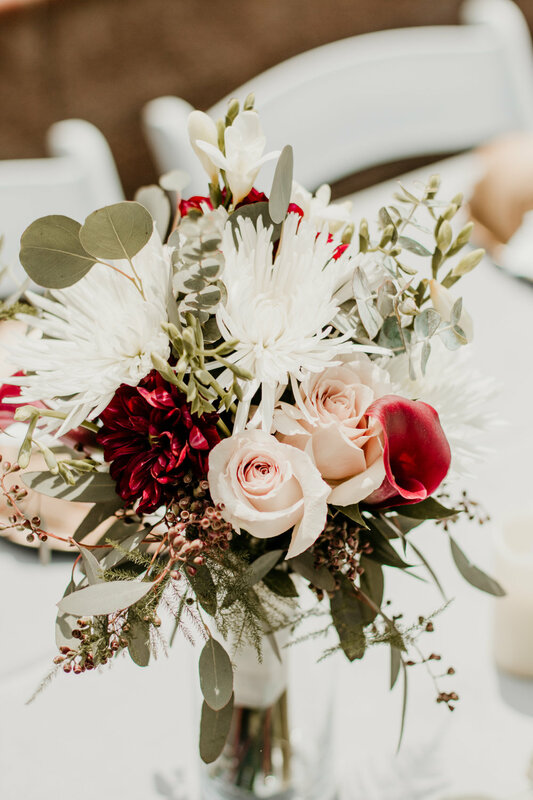 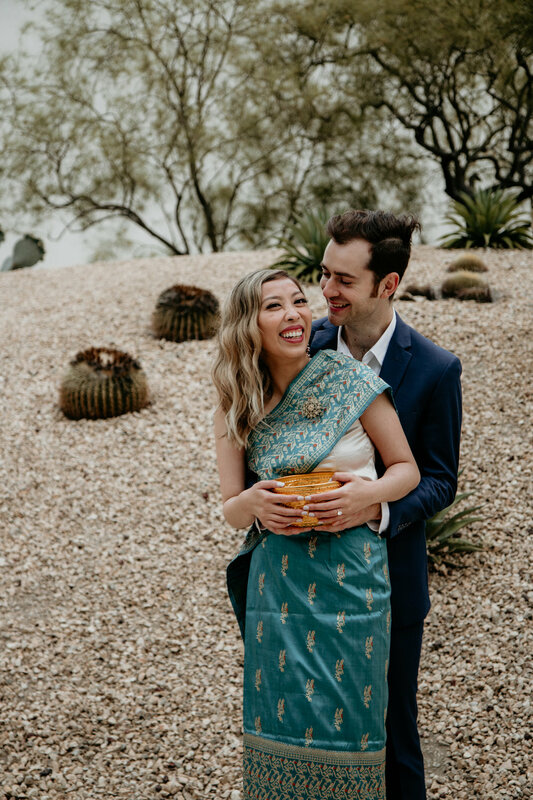 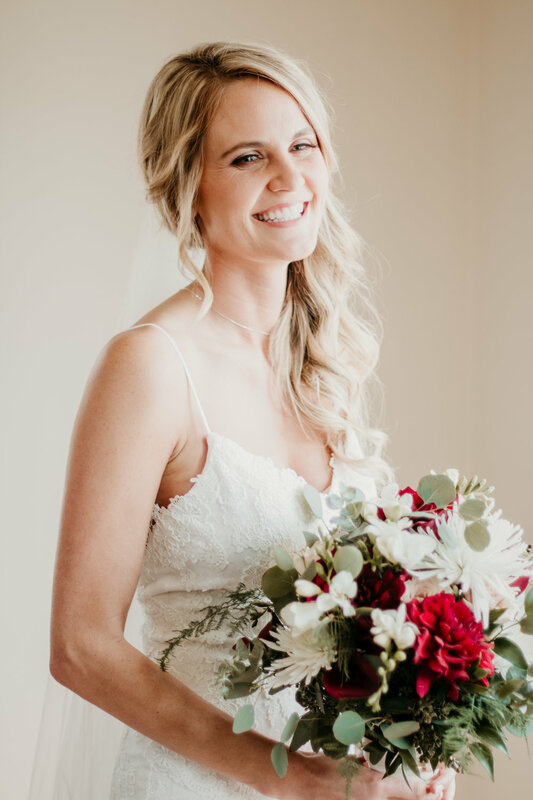 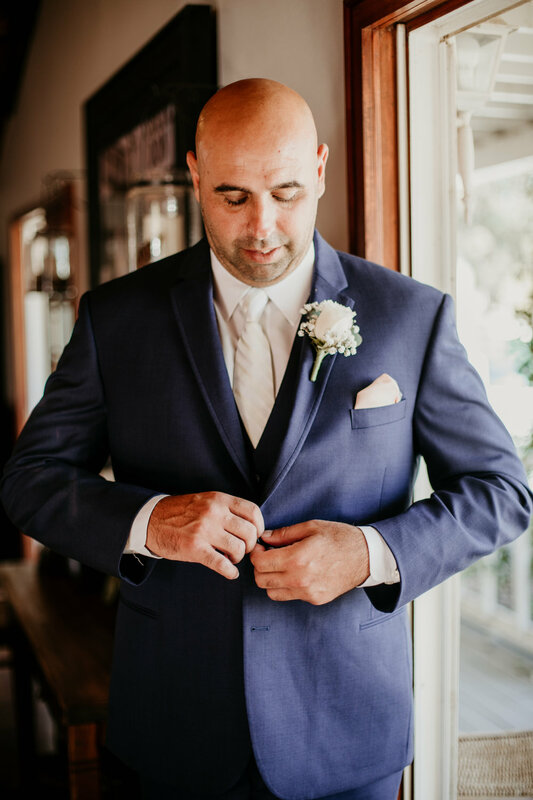 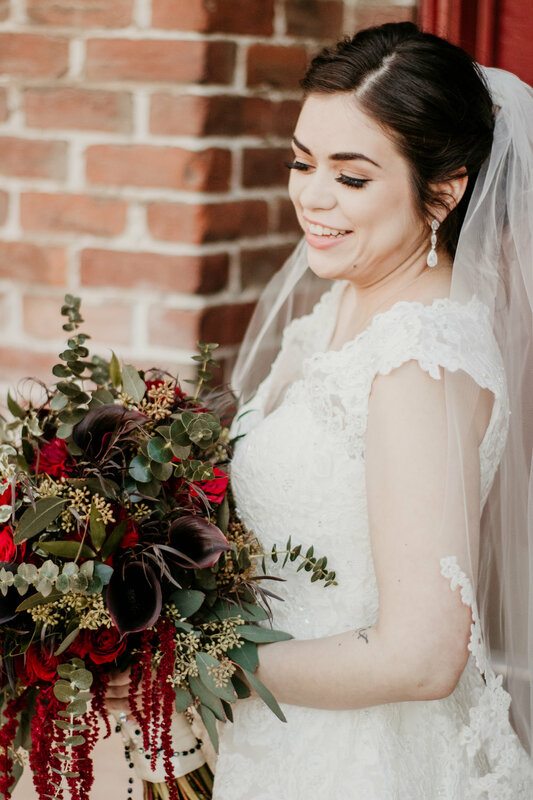 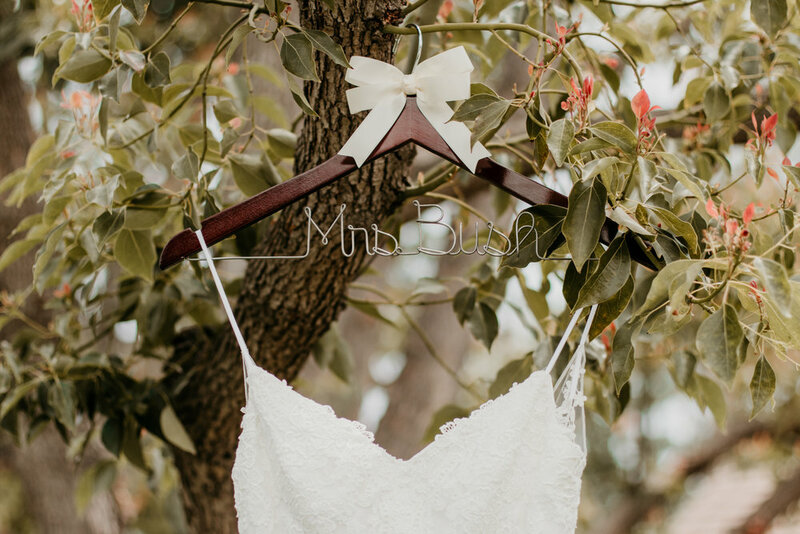 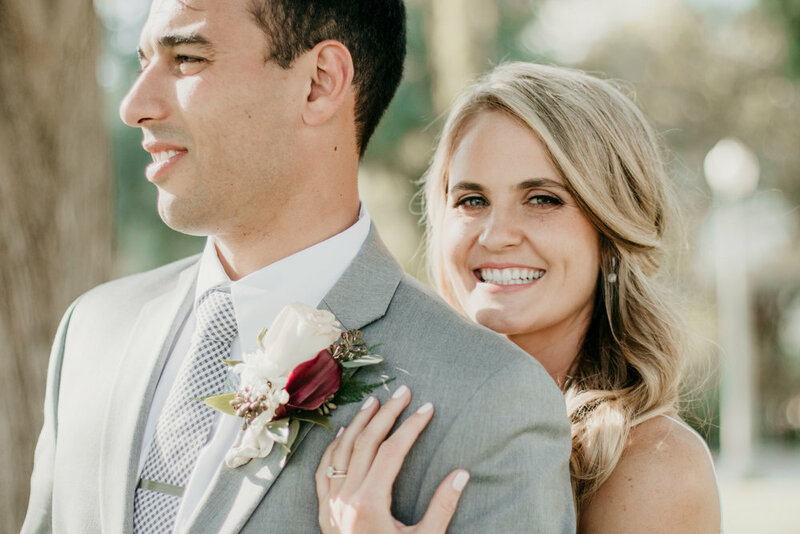 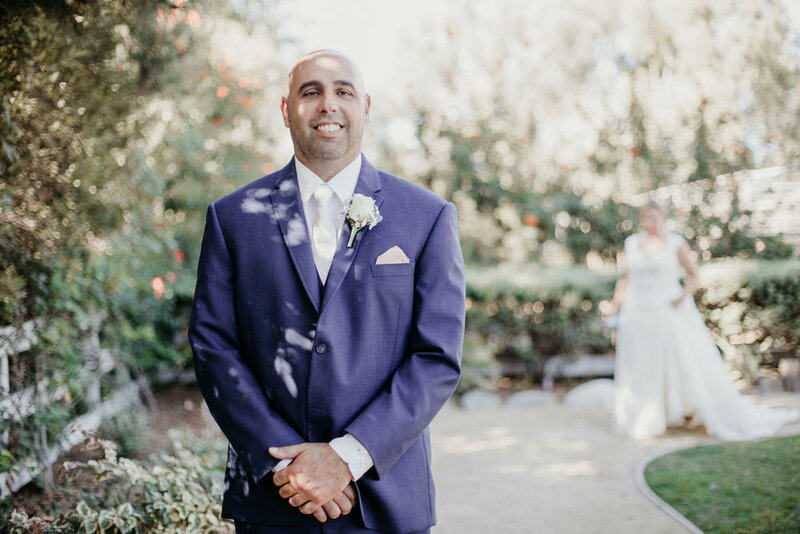 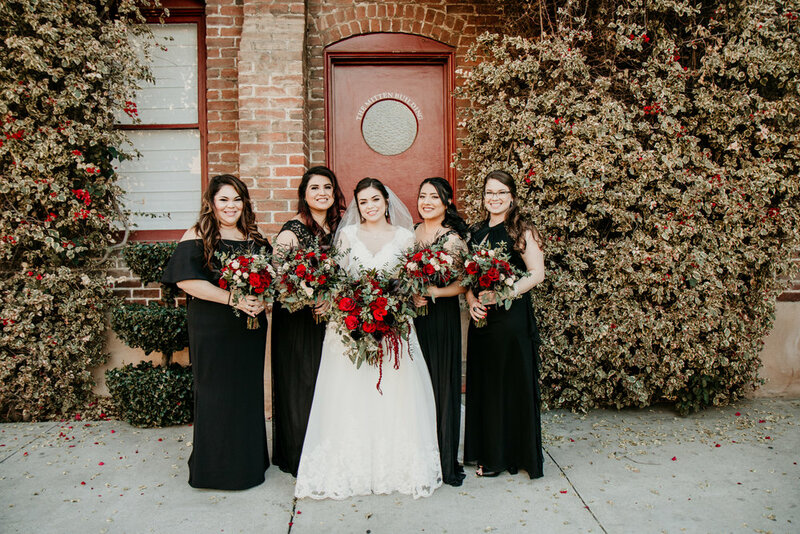 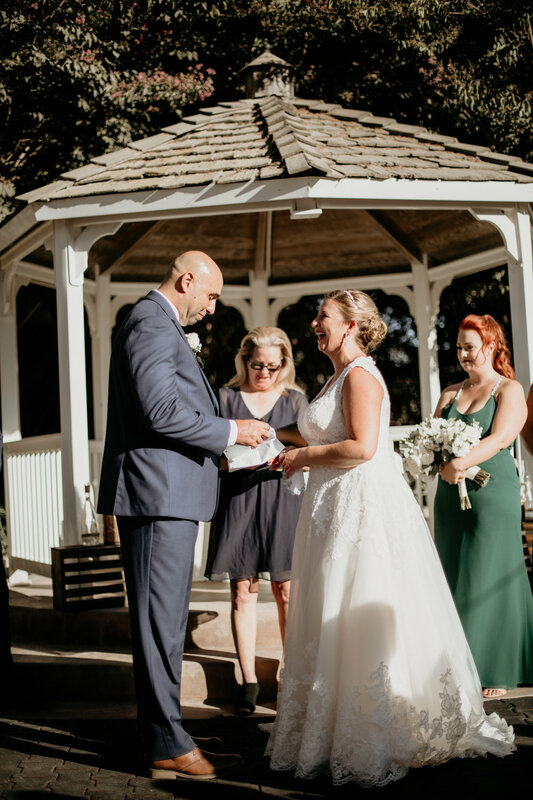 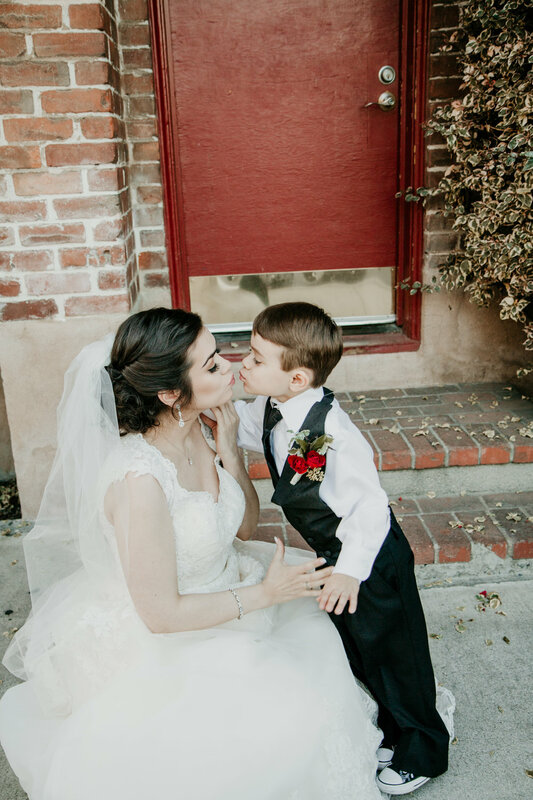 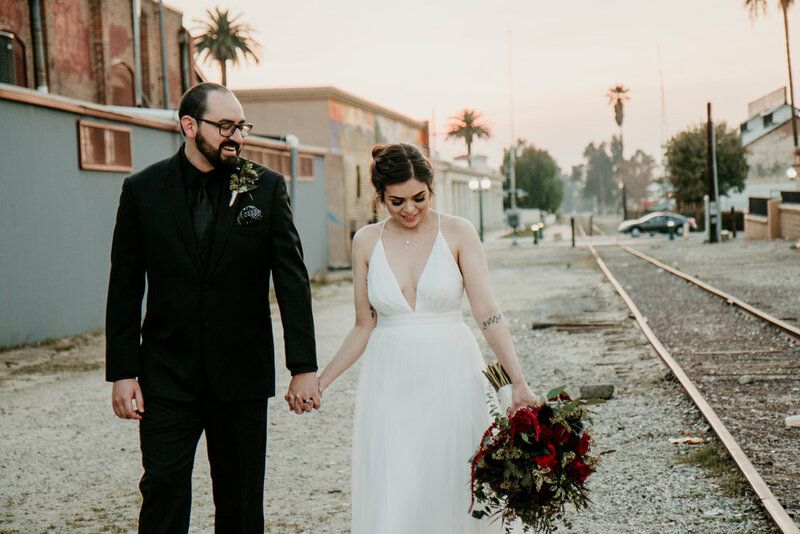 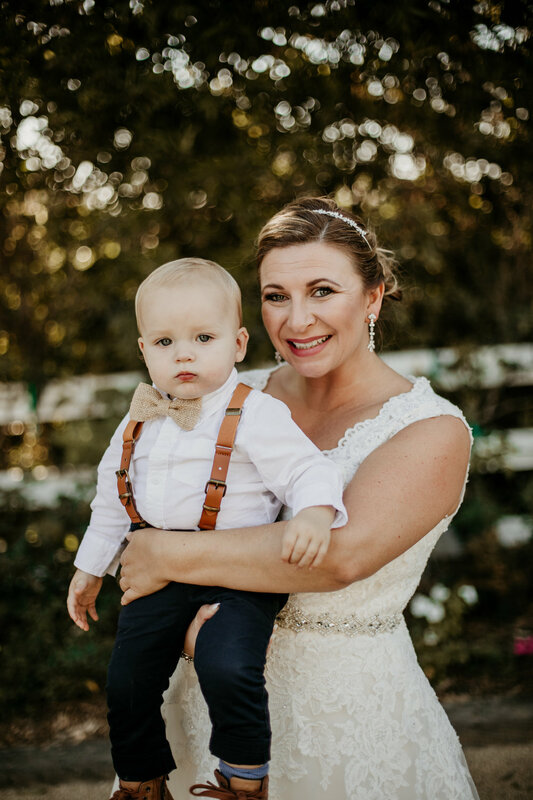 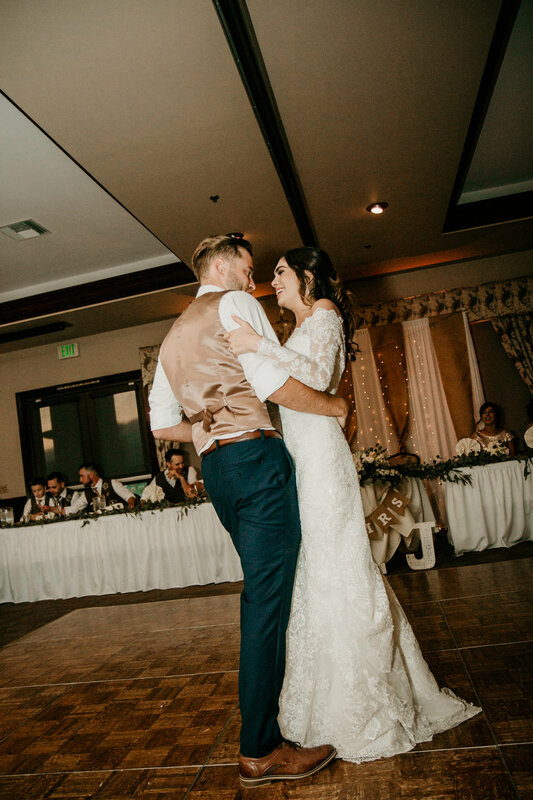 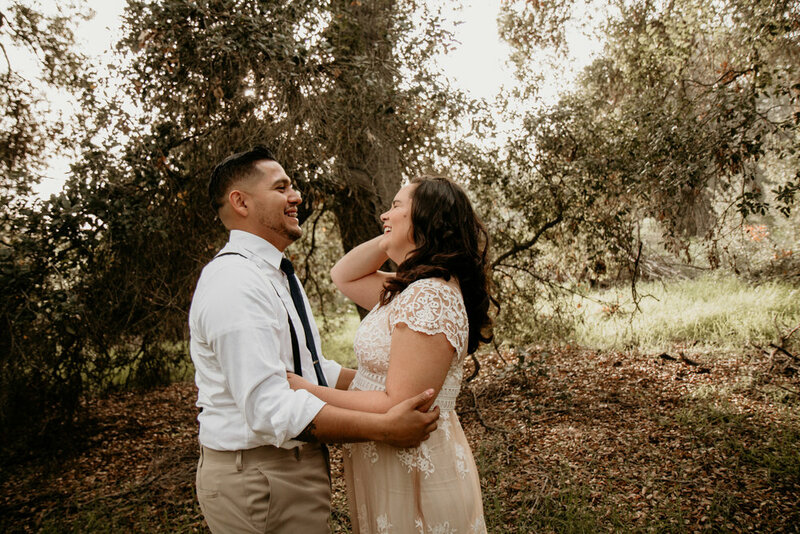 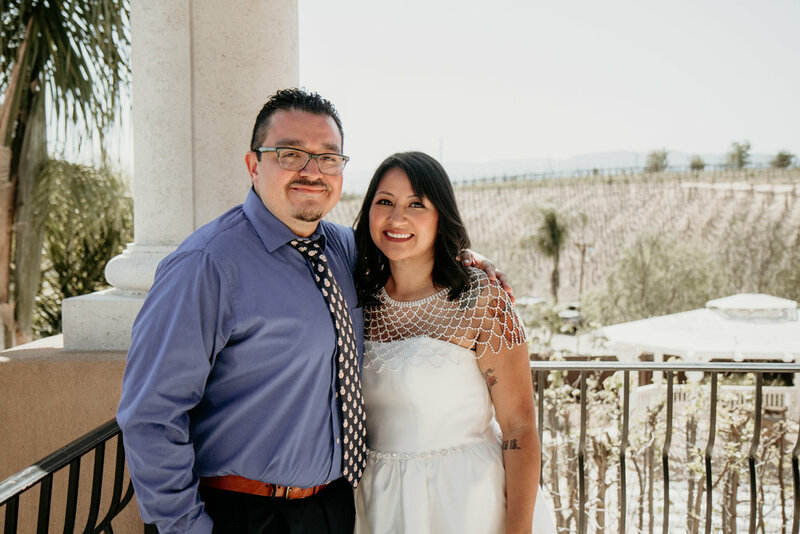 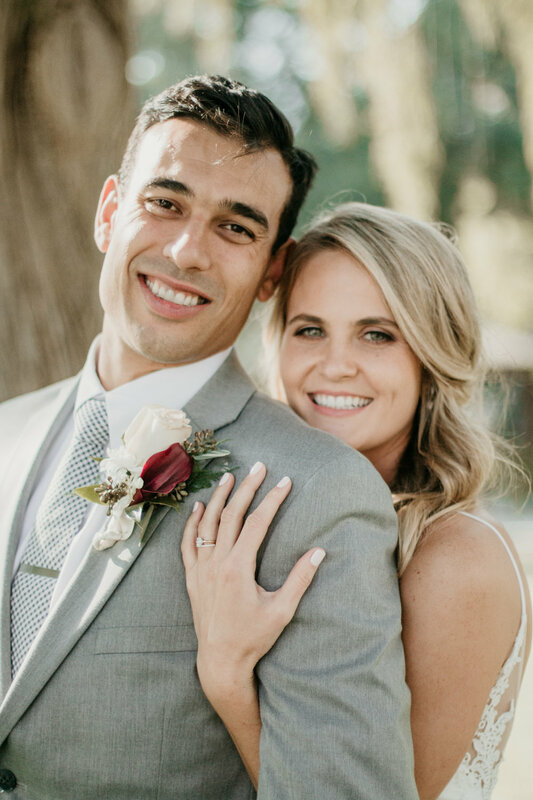 Wedding photography in Redlands is a lot of fun and we truly enjoyed The Mitten and can not wait to capture more weddings in April at this venue. 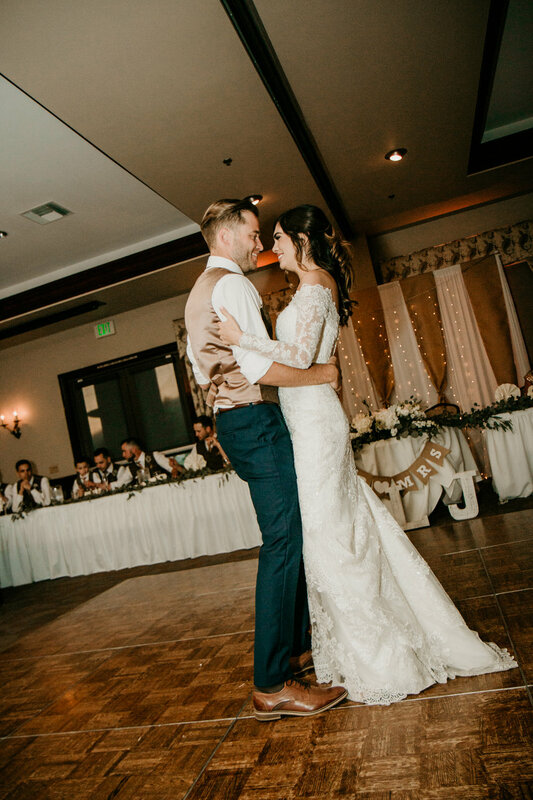 Congratulations to our bride and groom! 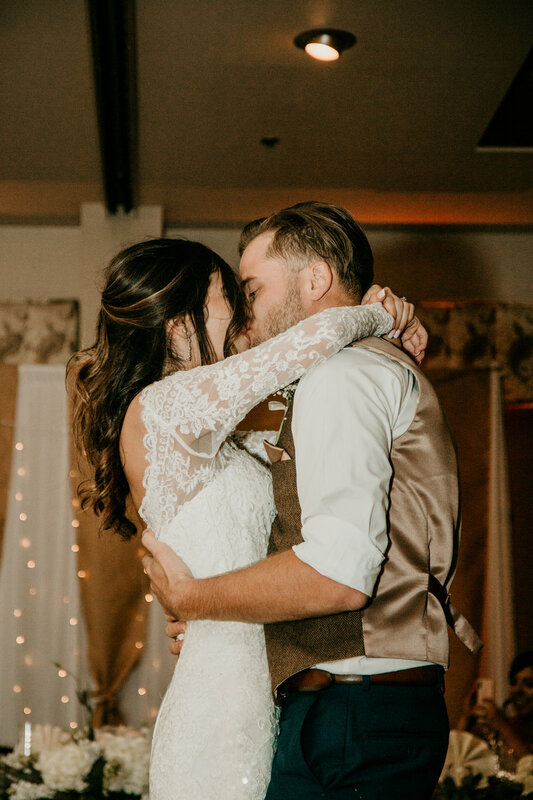 We know your love for each other will last a lifetime!